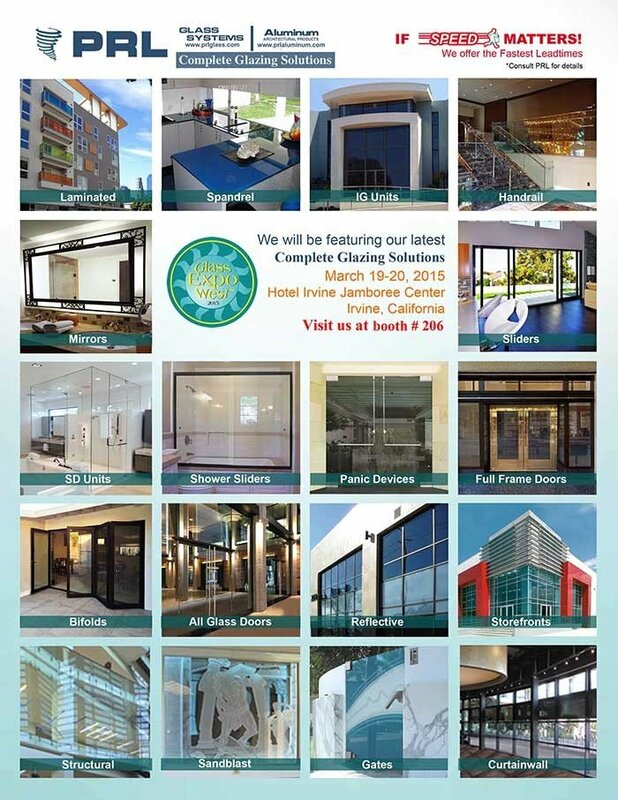 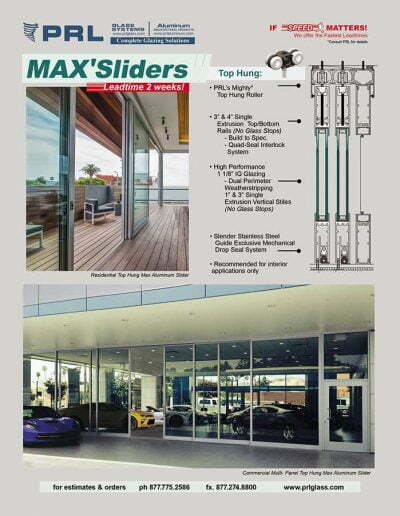 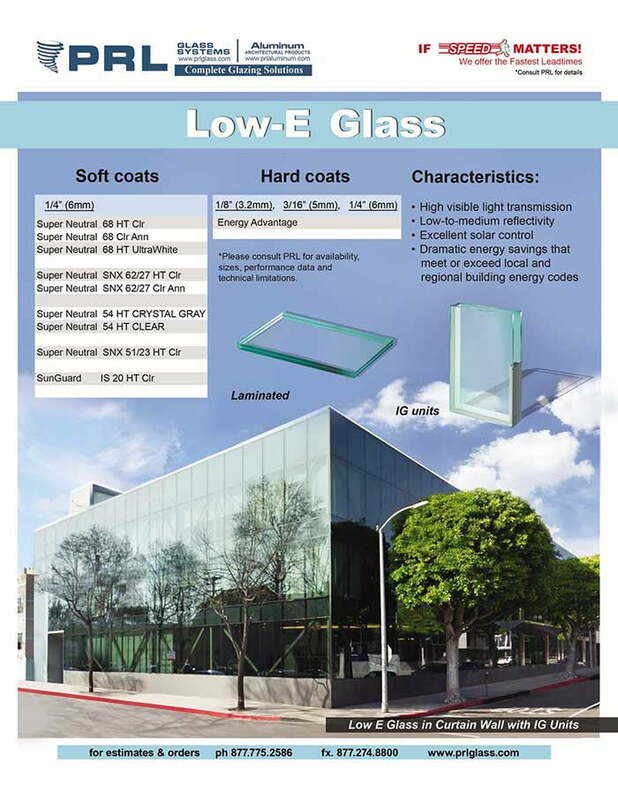 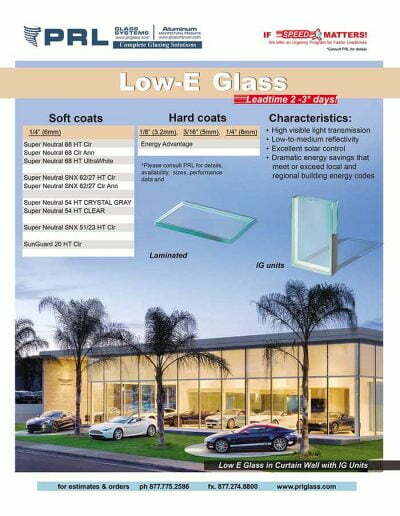 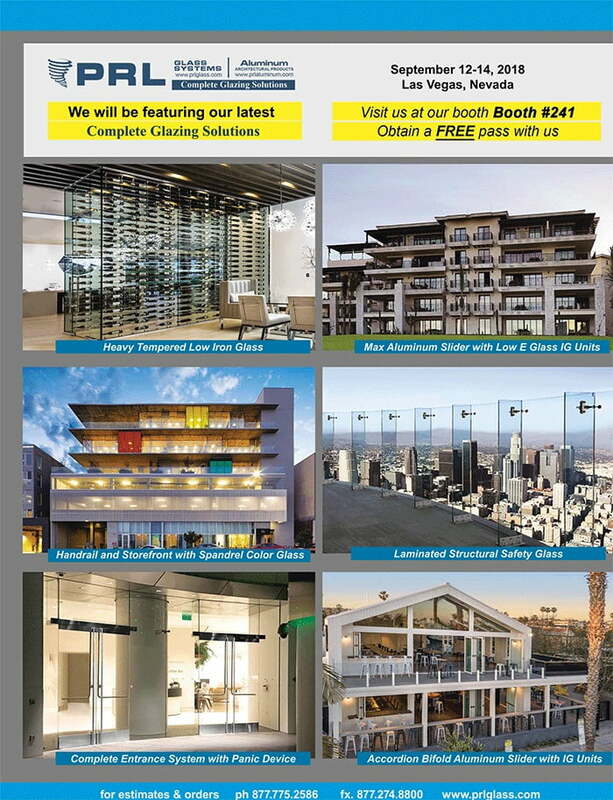 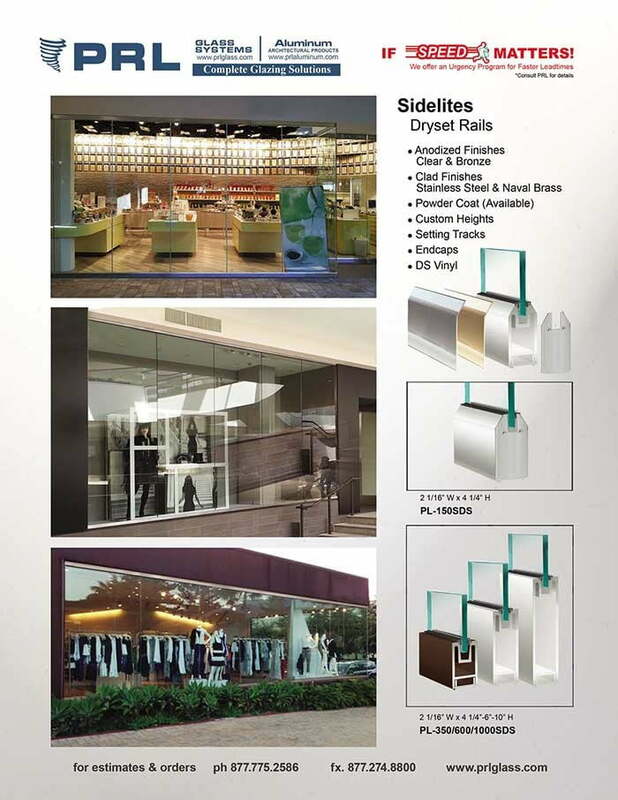 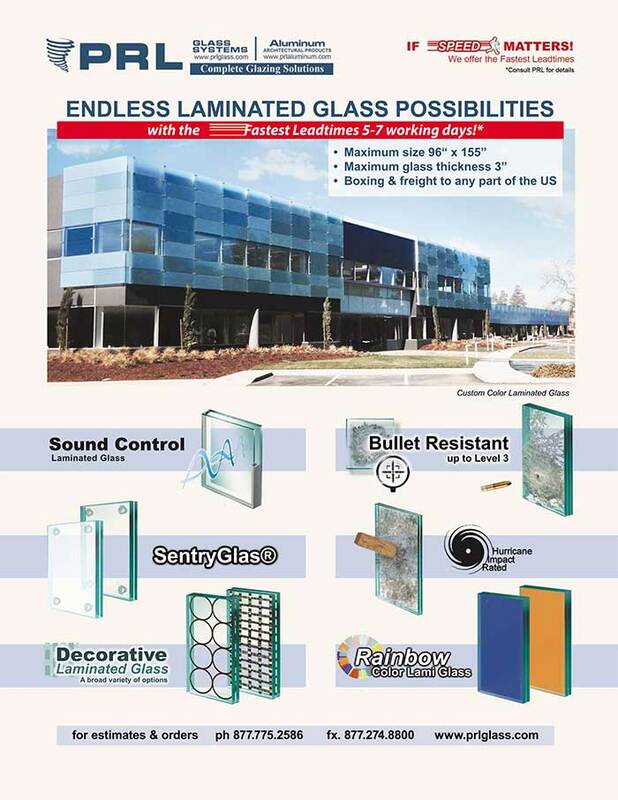 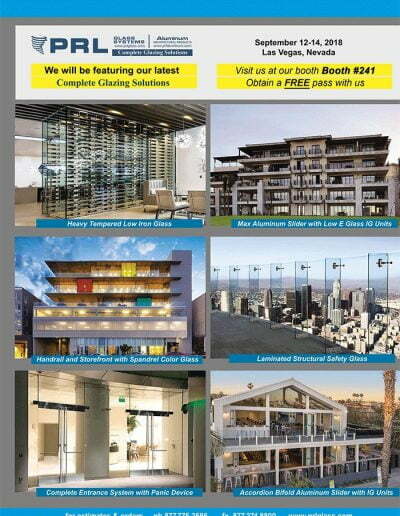 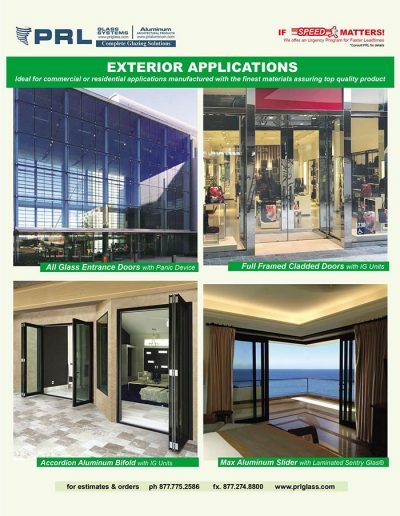 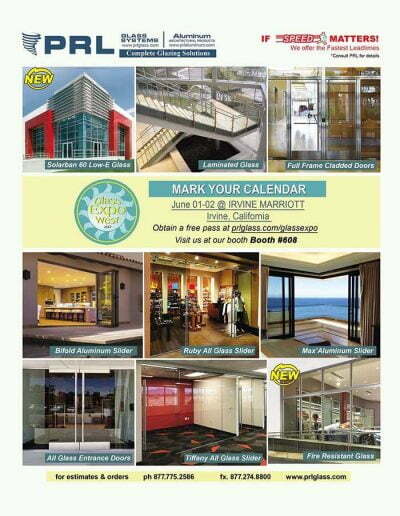 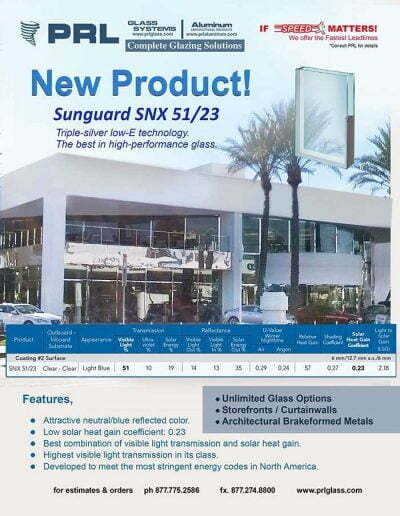 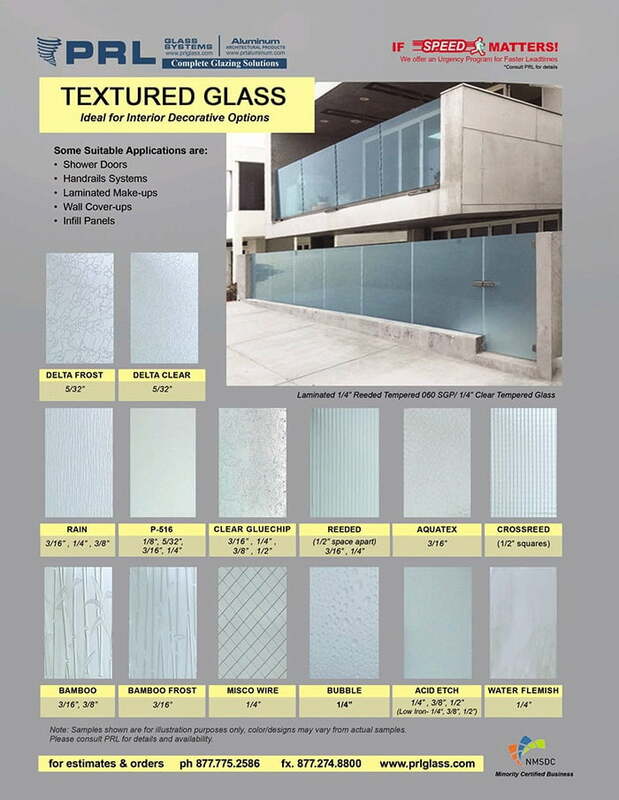 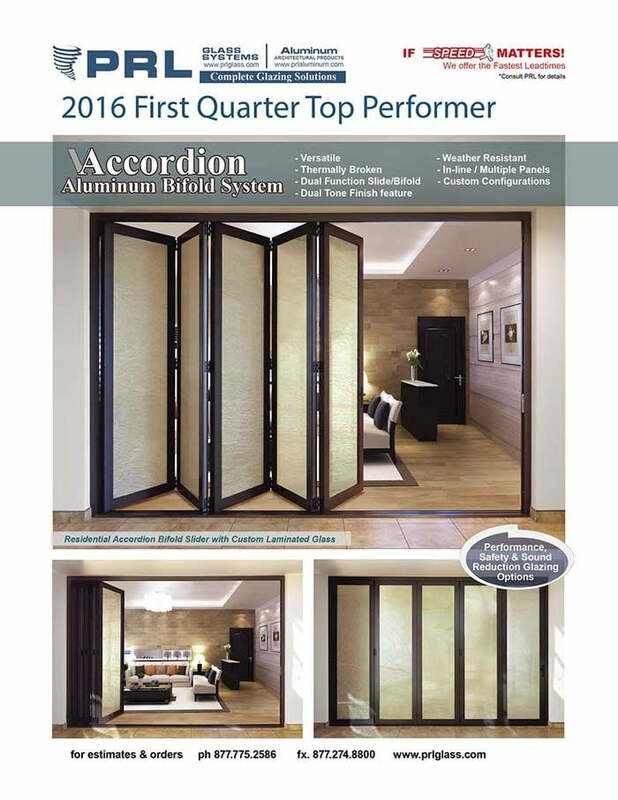 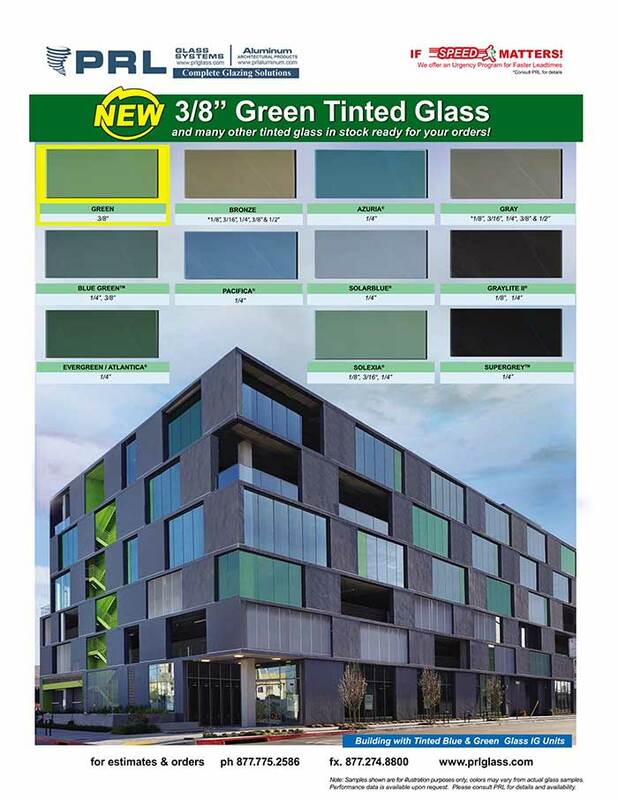 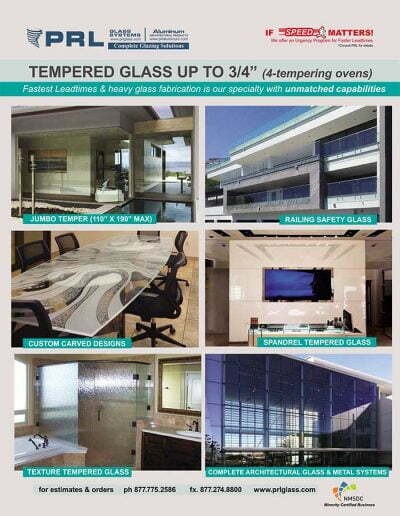 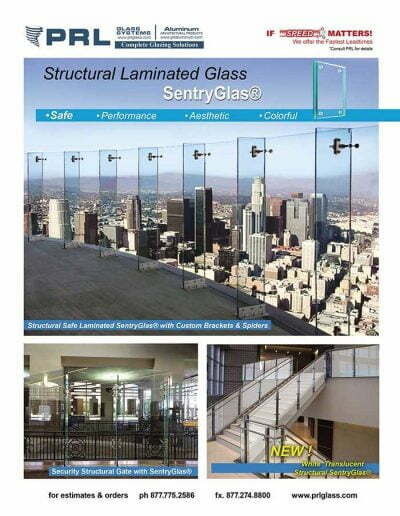 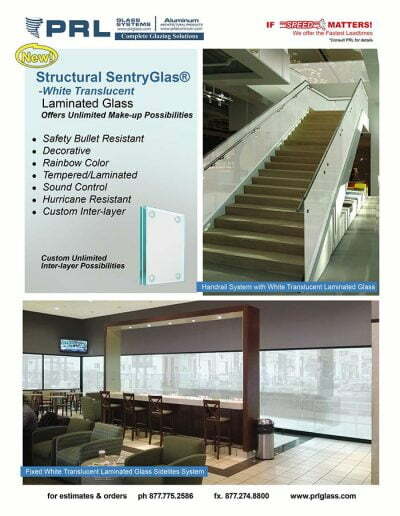 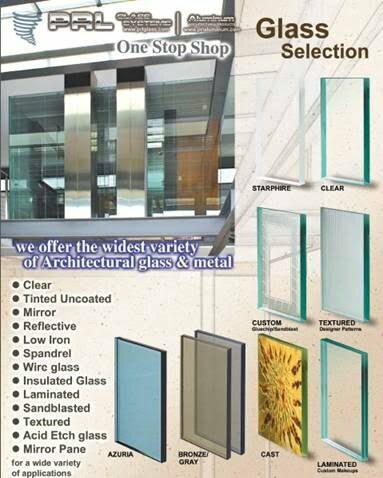 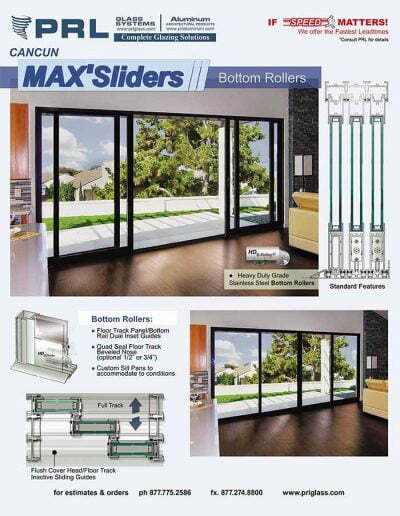 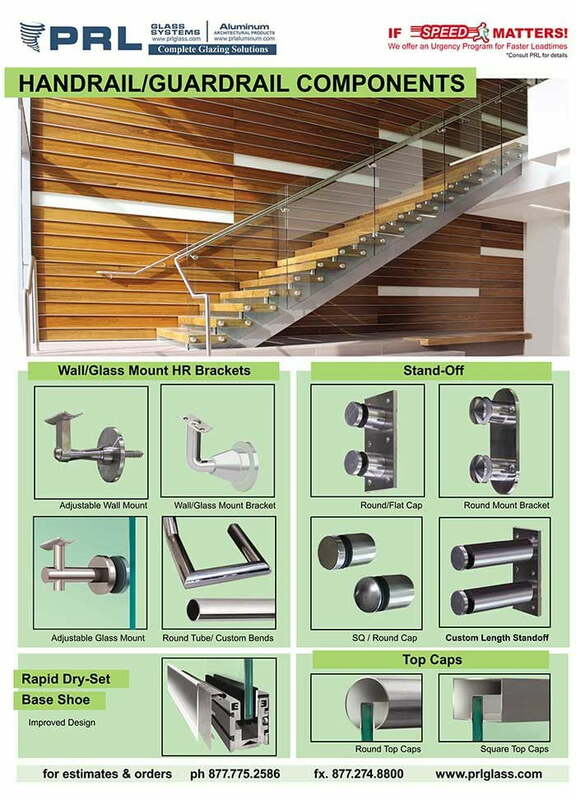 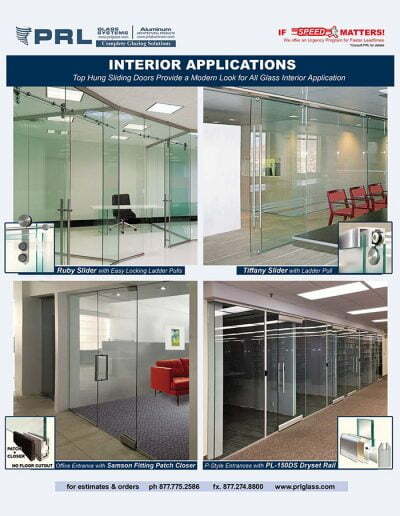 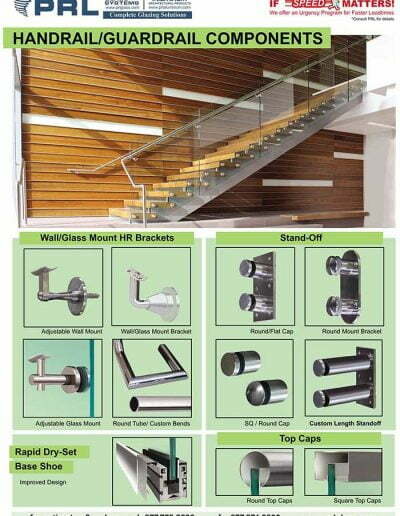 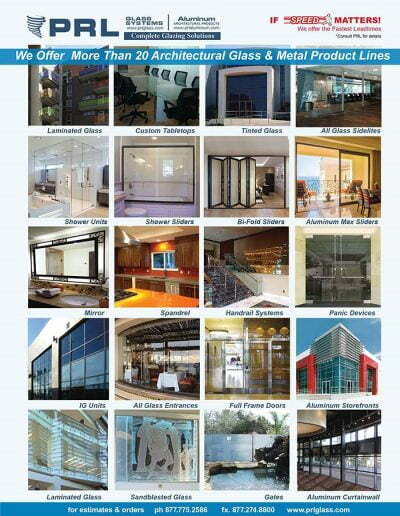 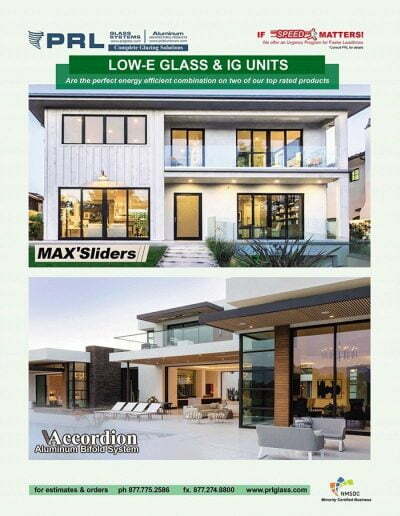 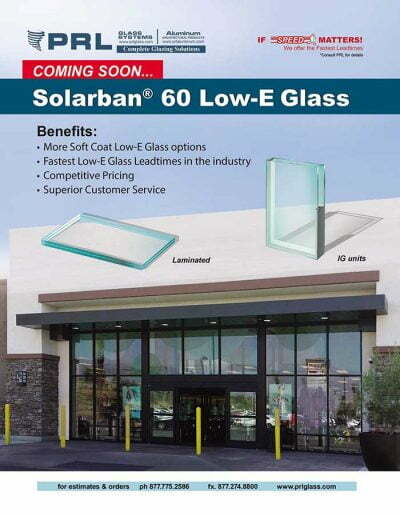 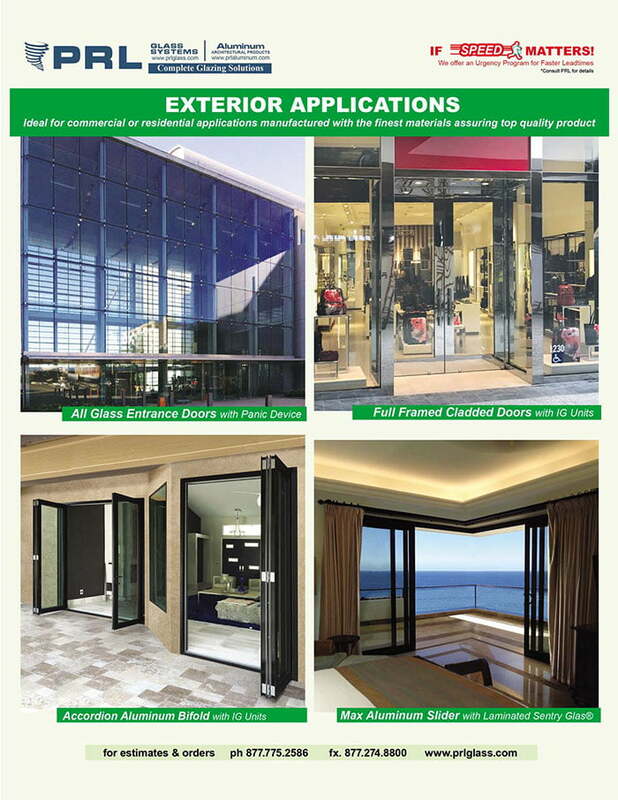 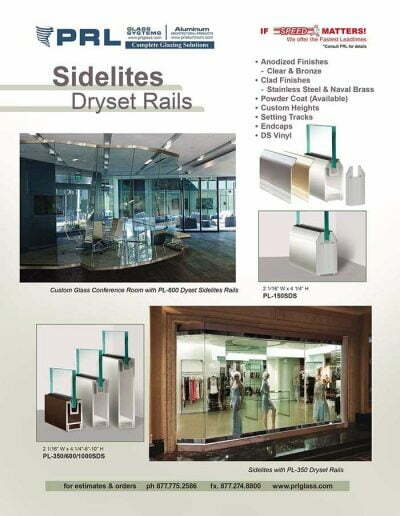 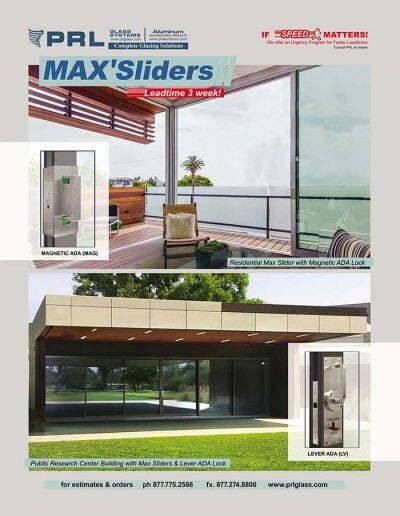 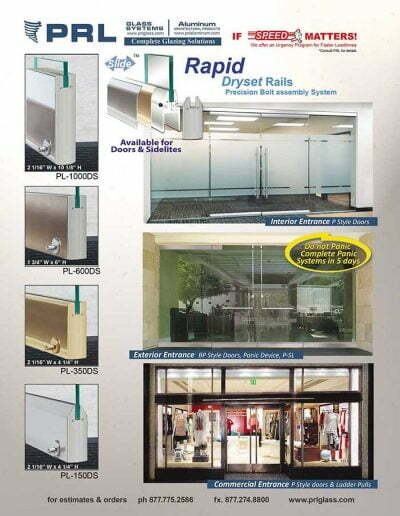 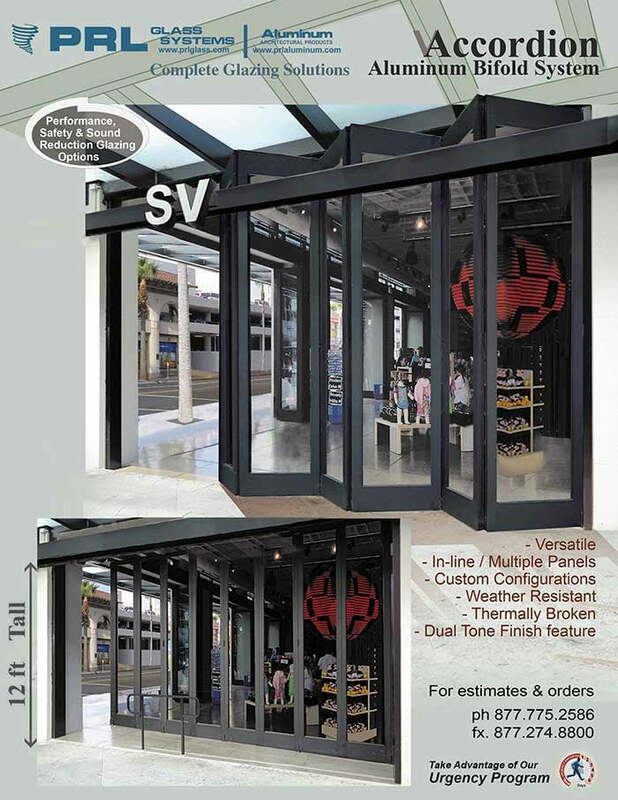 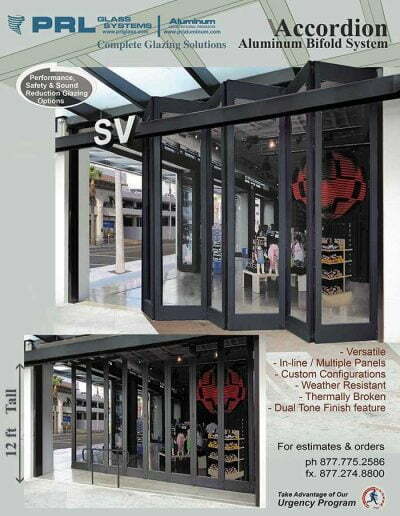 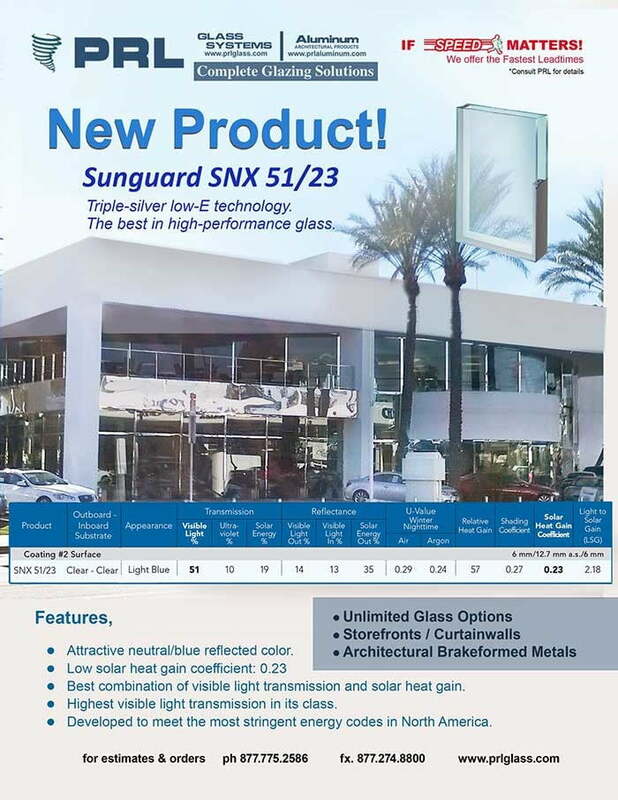 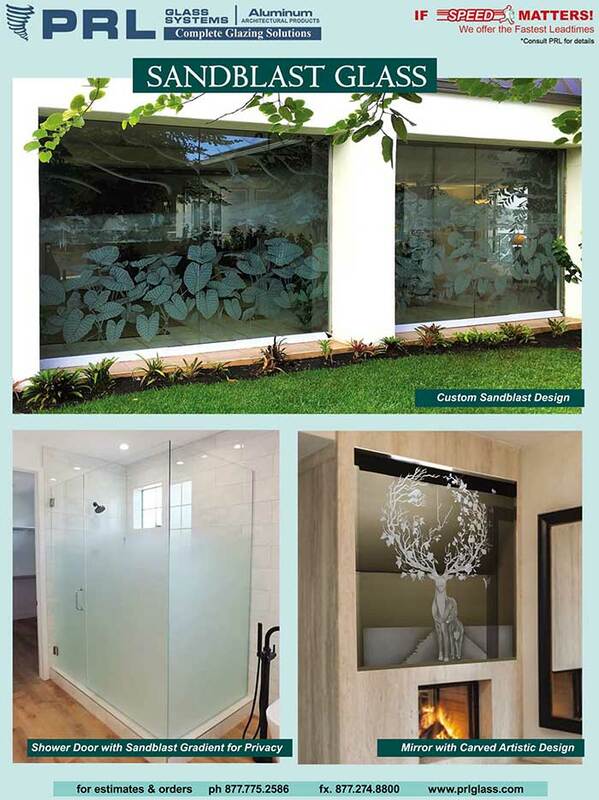 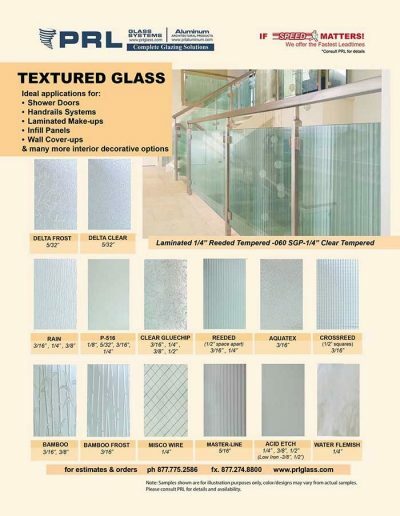 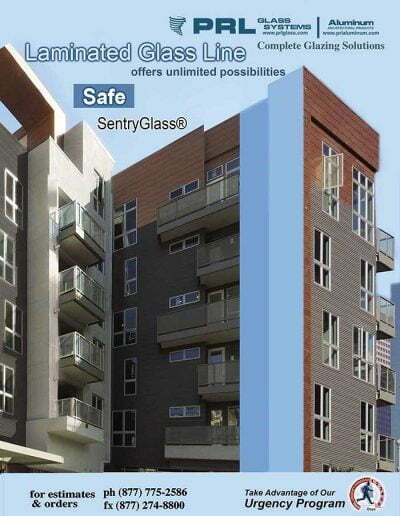 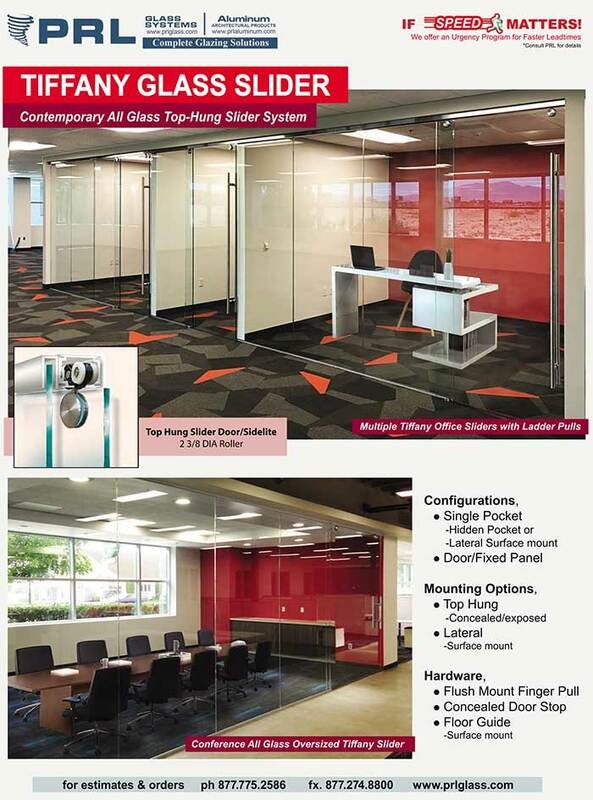 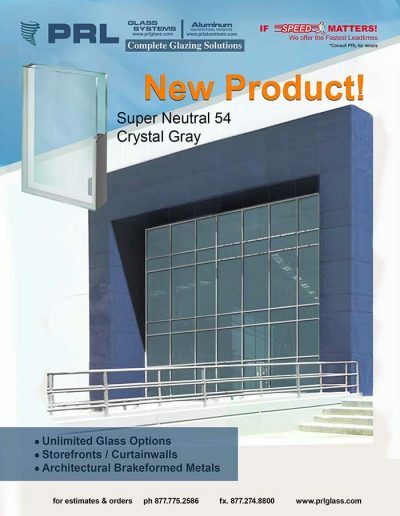 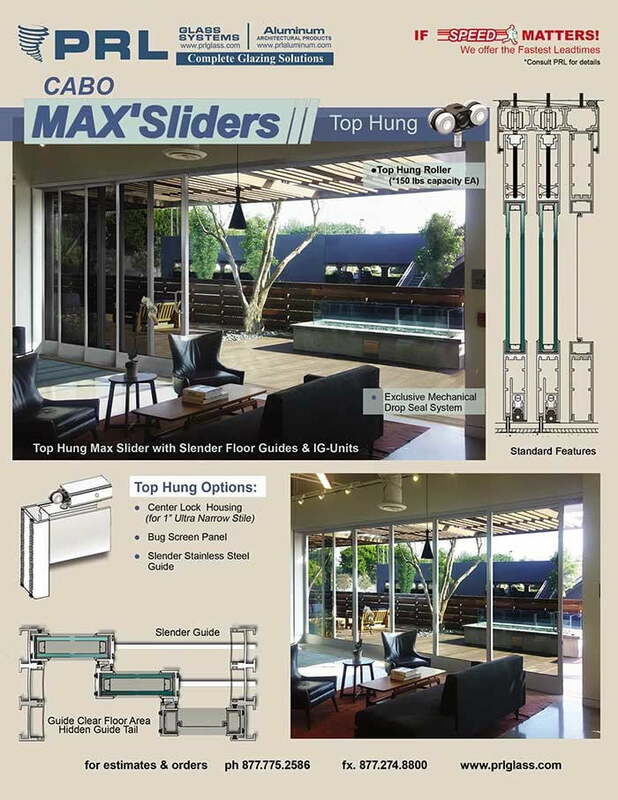 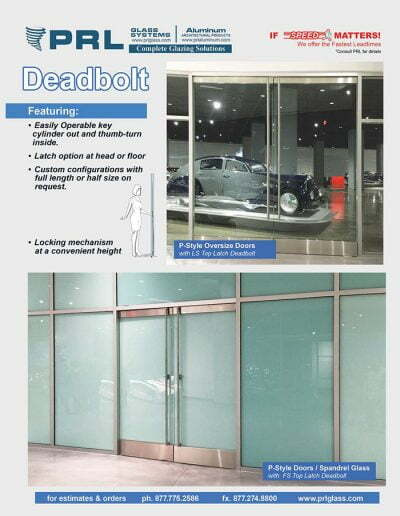 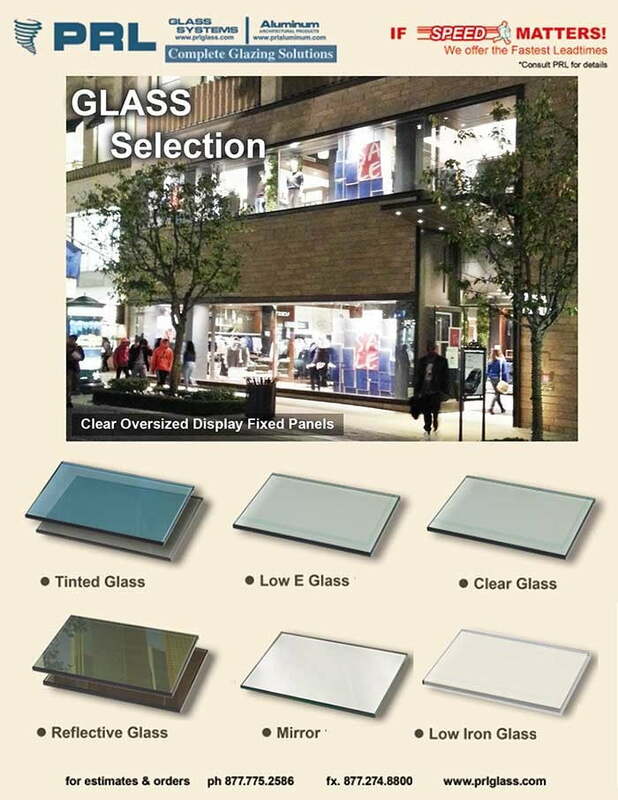 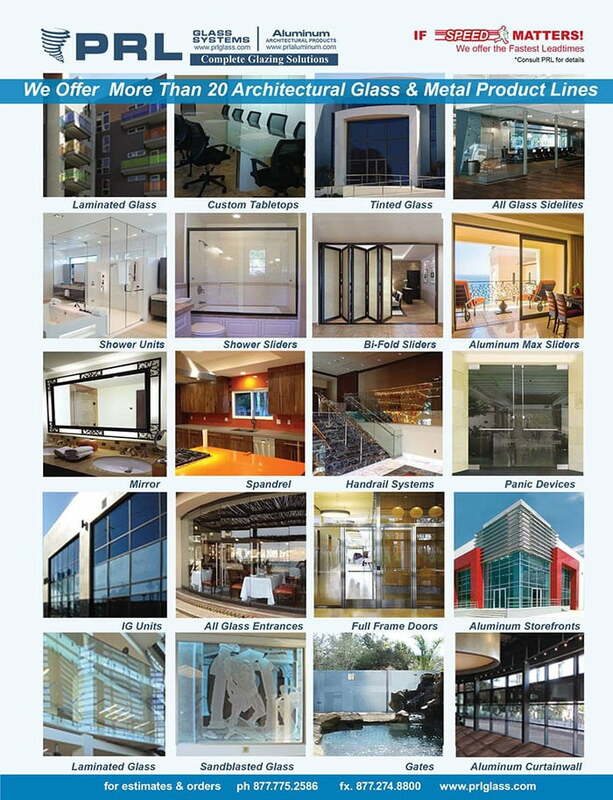 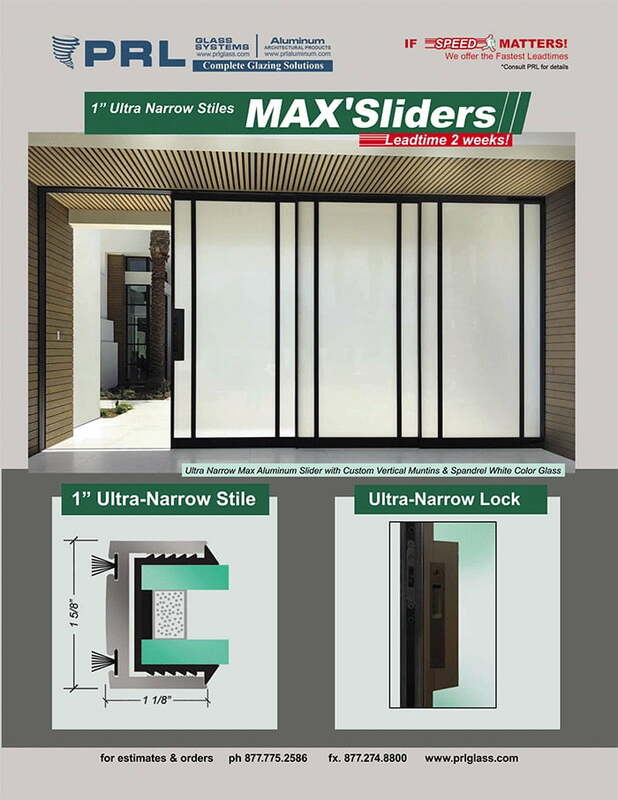 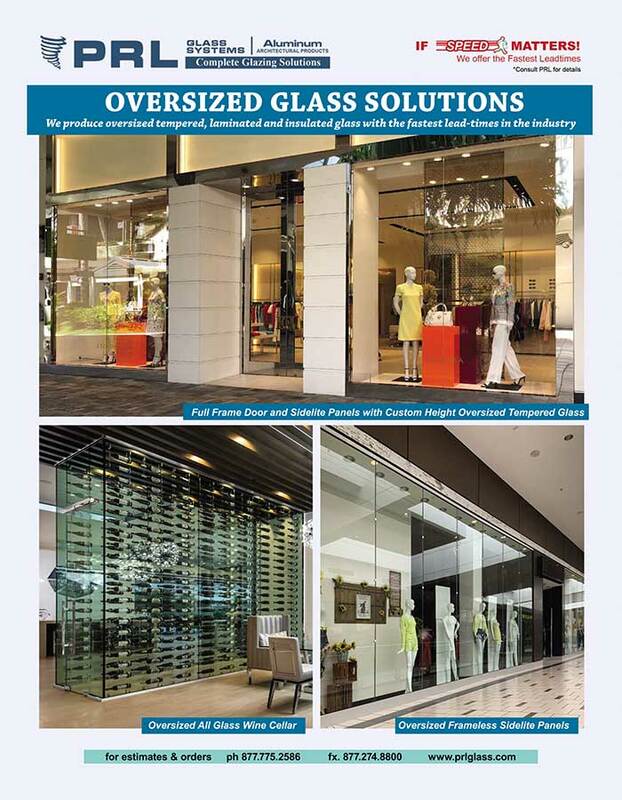 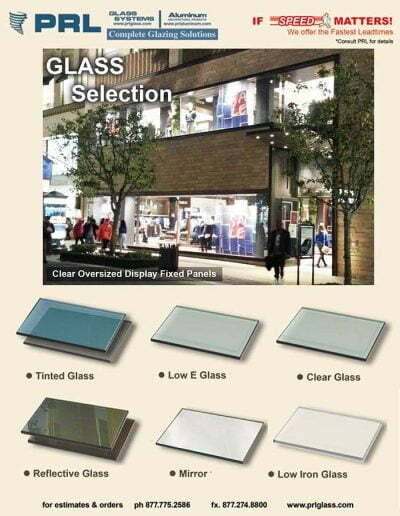 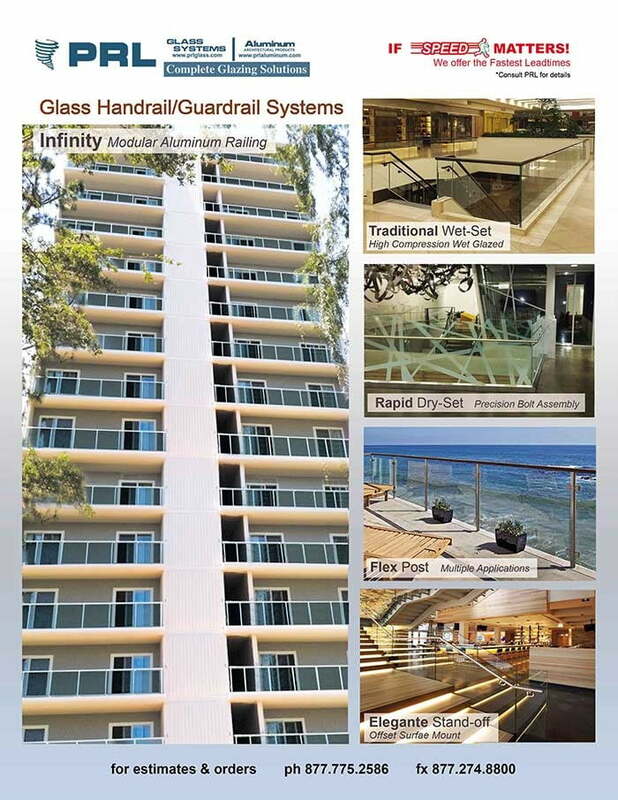 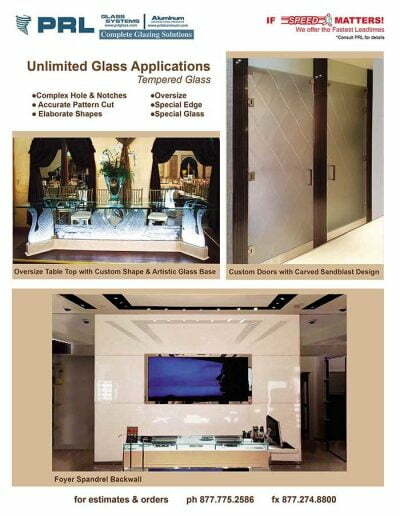 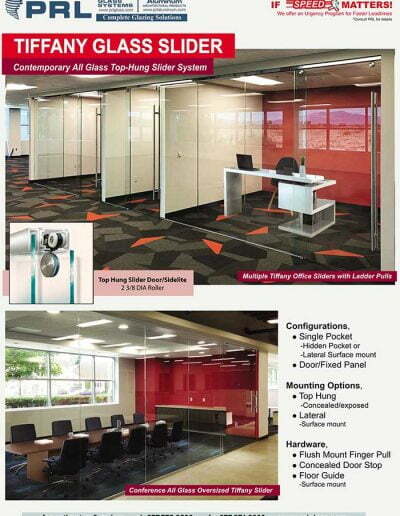 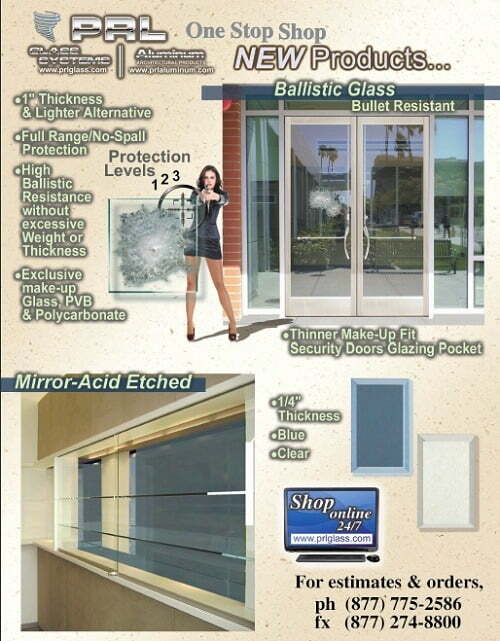 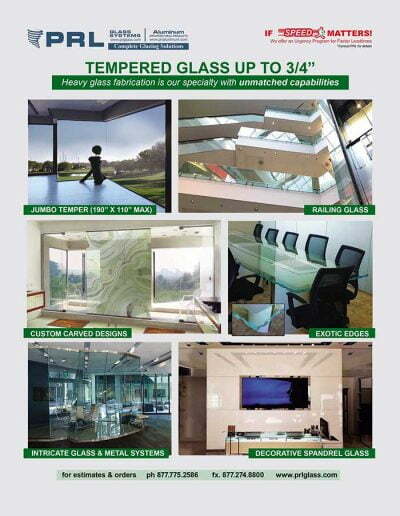 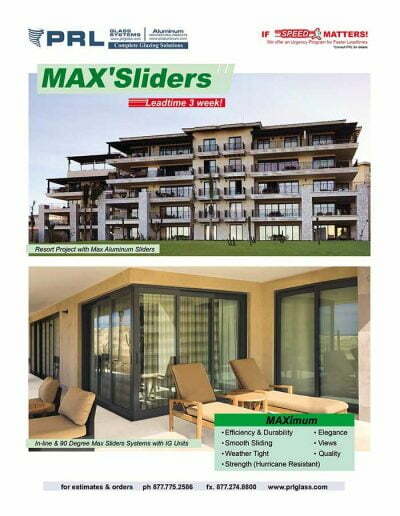 250 Series, 251 Series, 400 Series and 450 Series are high performing window wall storefront systems for exterior and interior use. 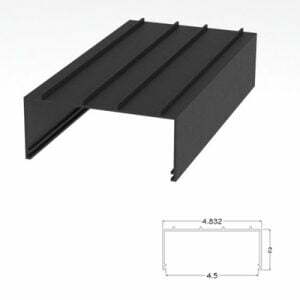 The stock lengths are normally 24 foot long. 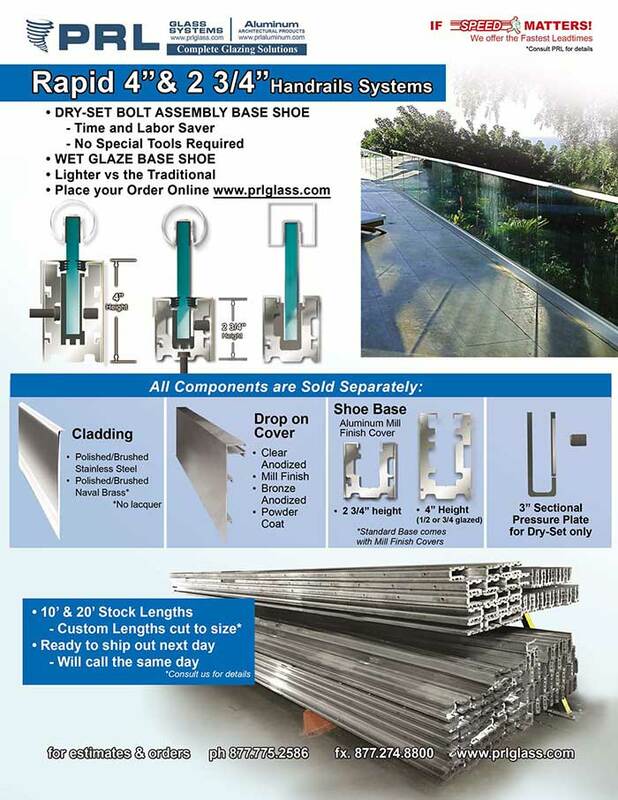 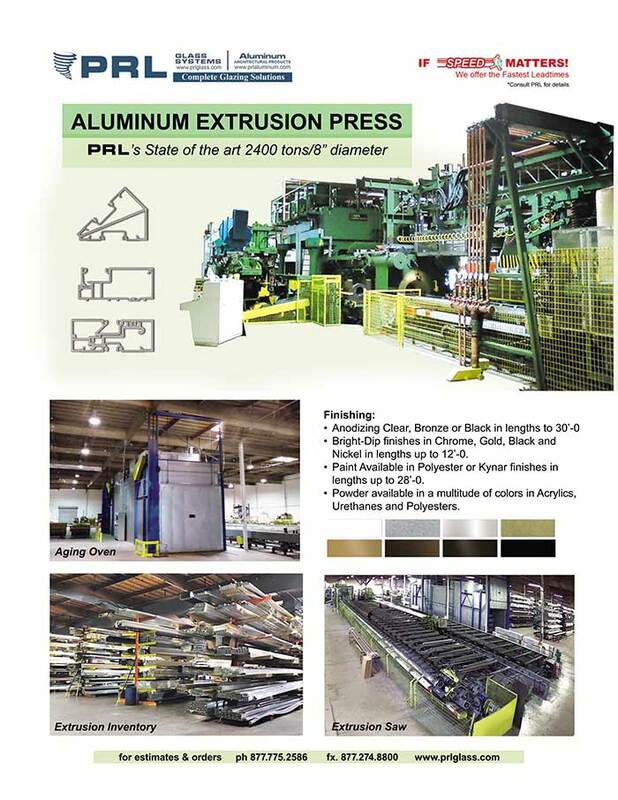 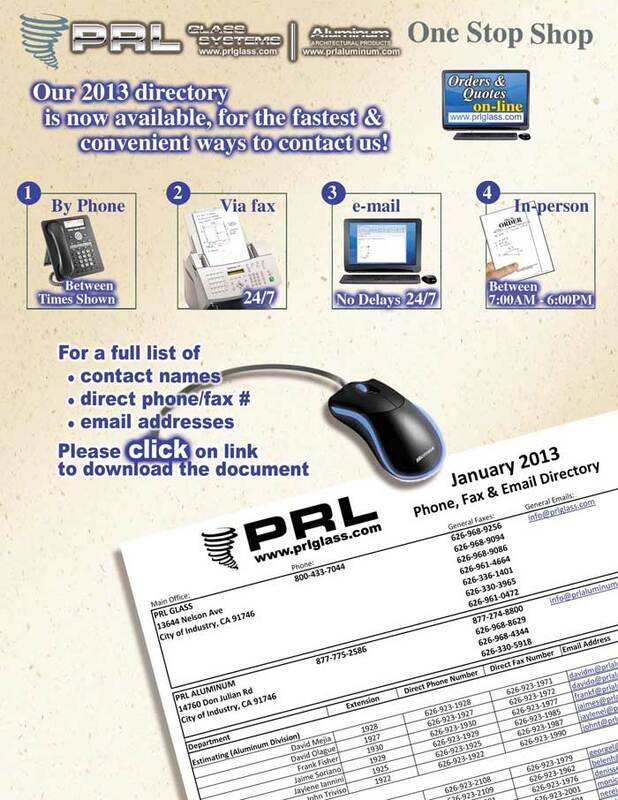 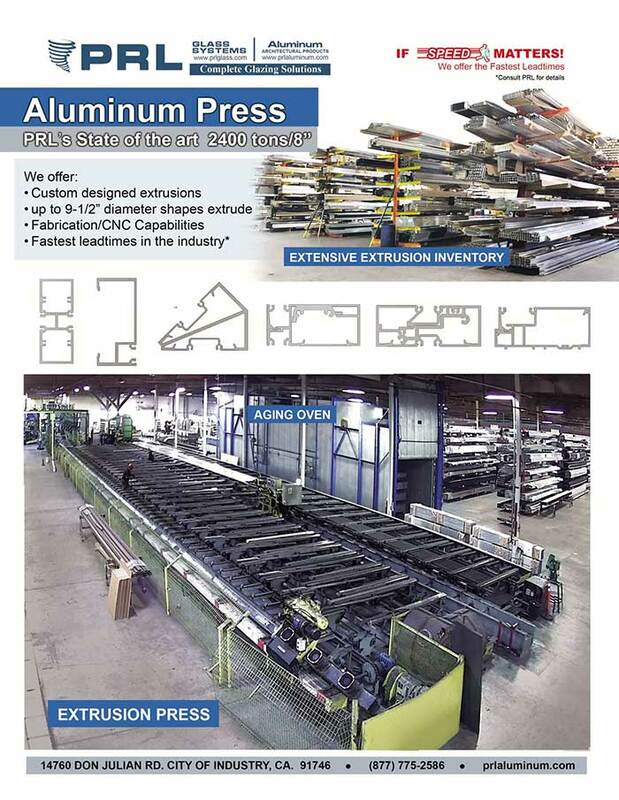 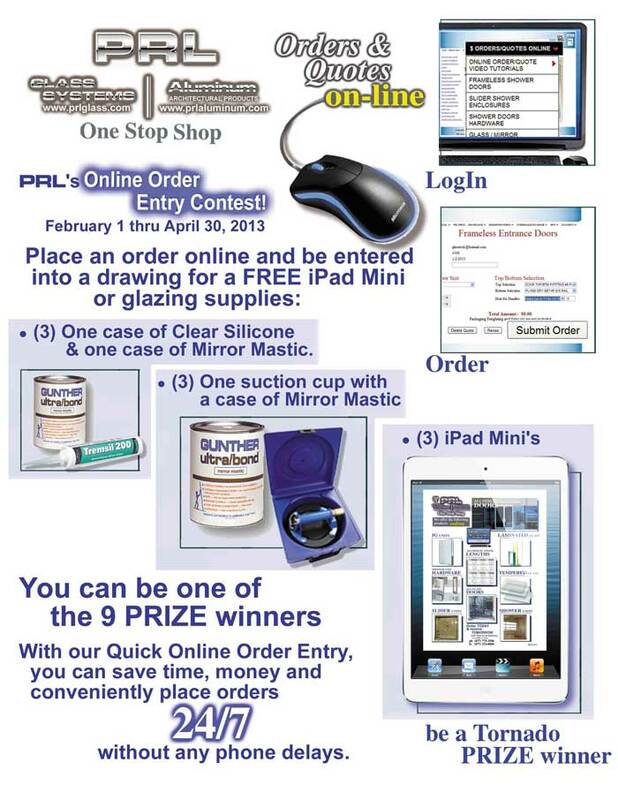 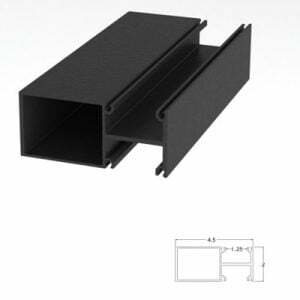 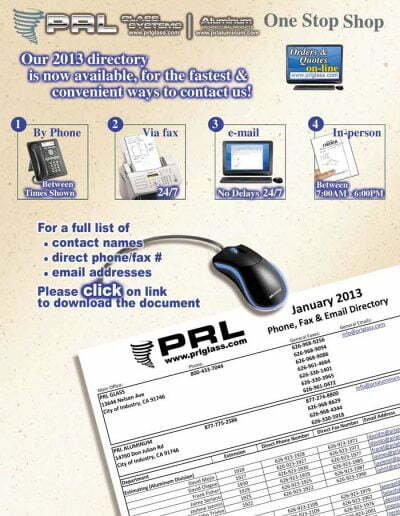 PRL can extrude custom aluminum lengths due having our own extrusion press in house. 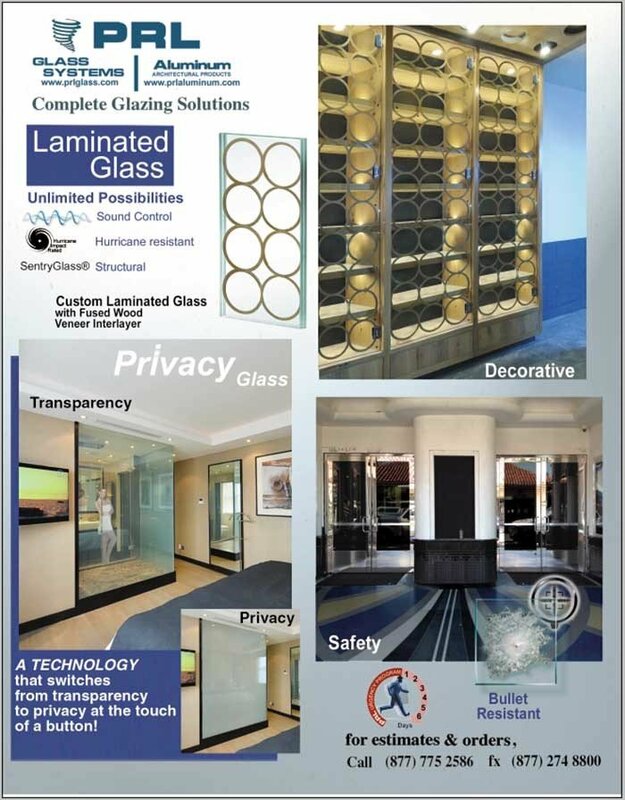 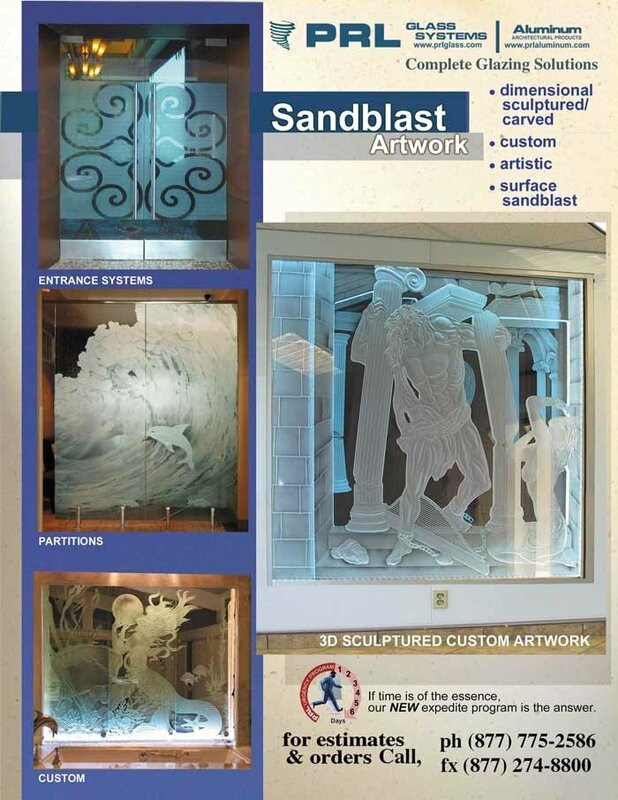 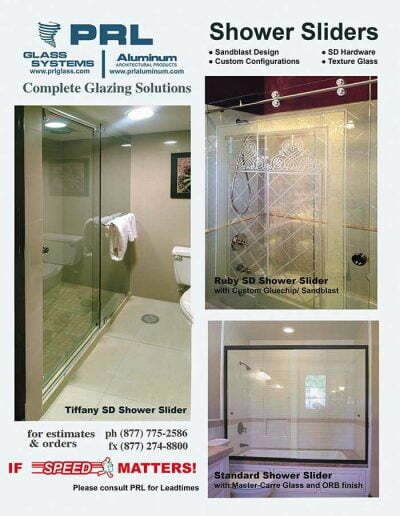 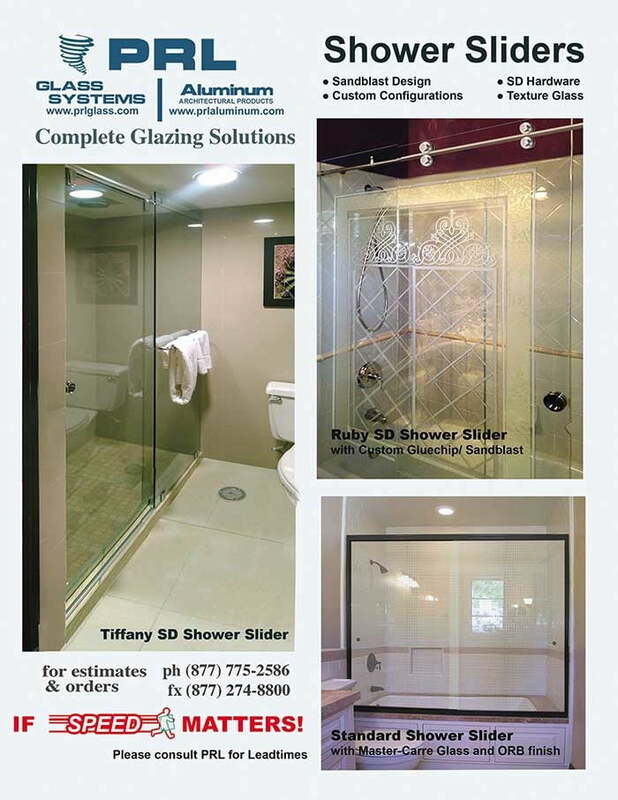 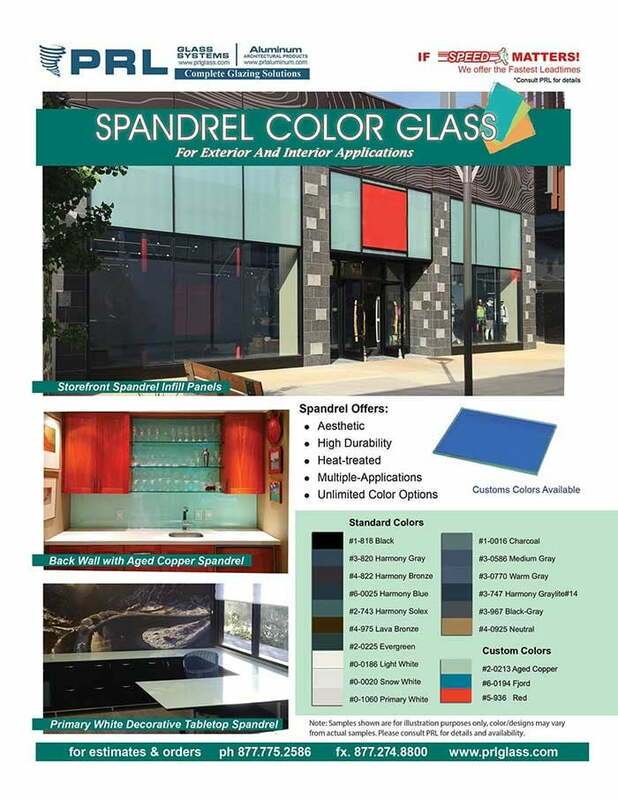 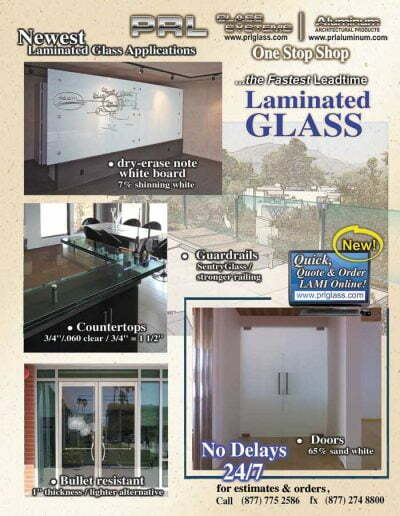 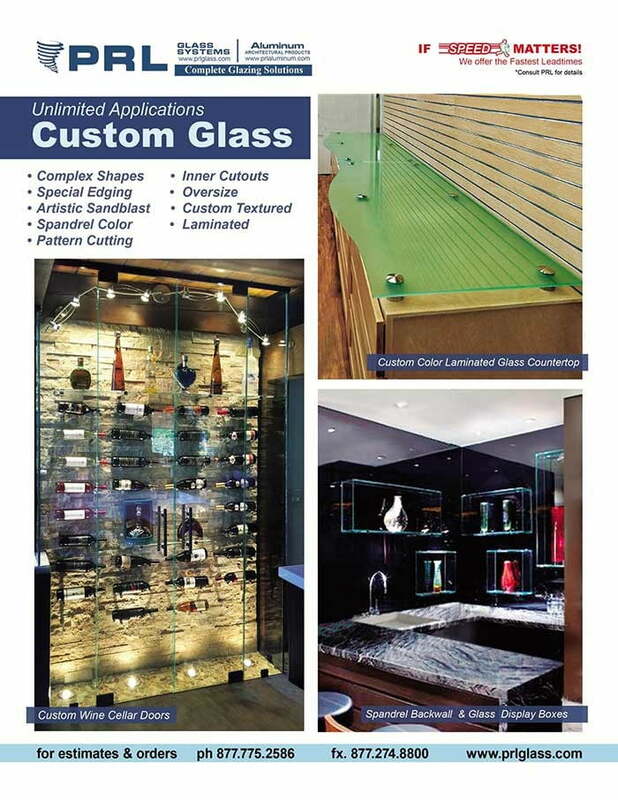 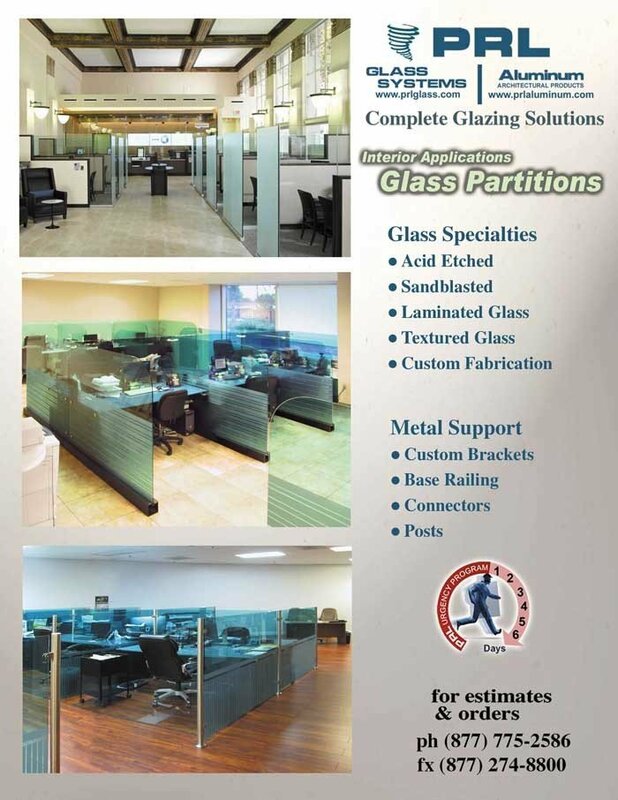 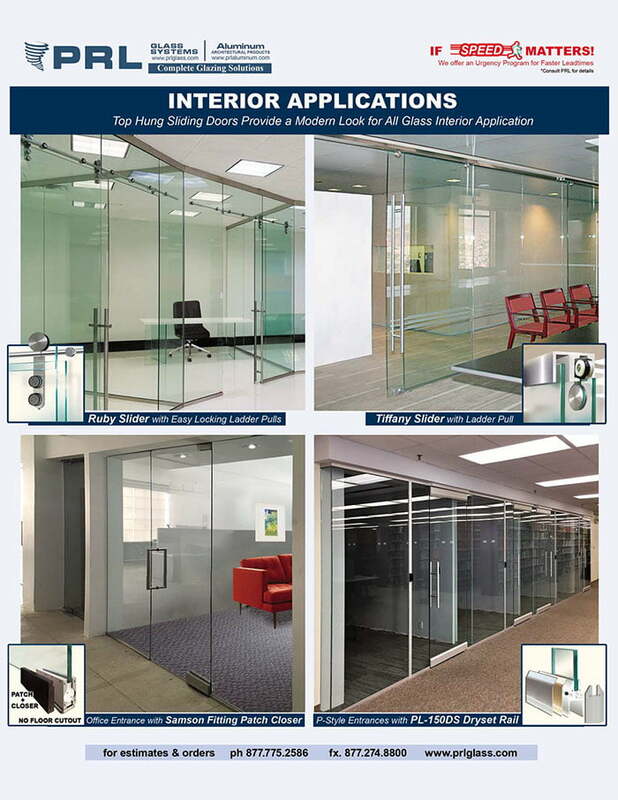 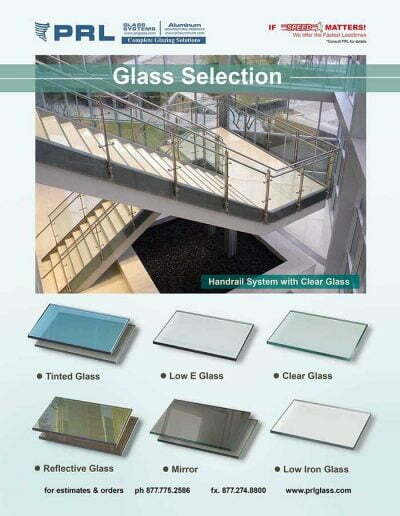 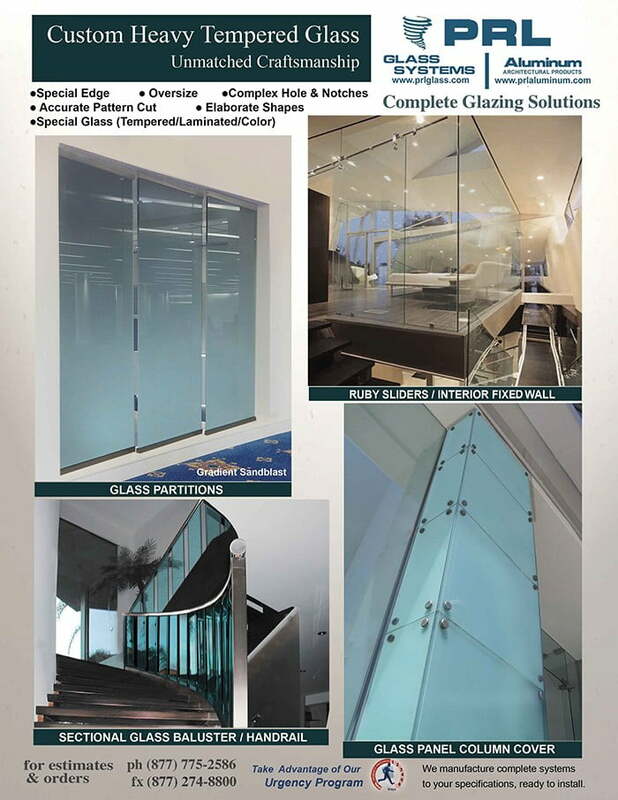 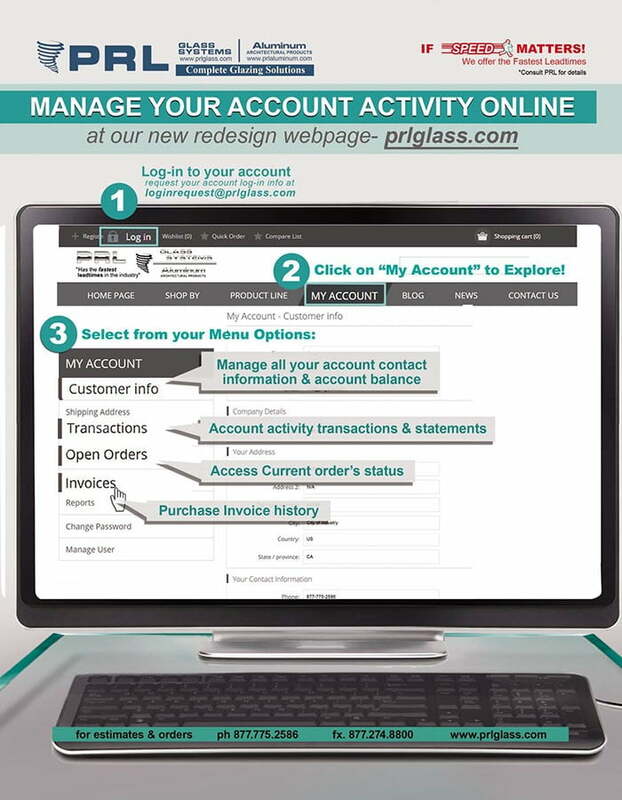 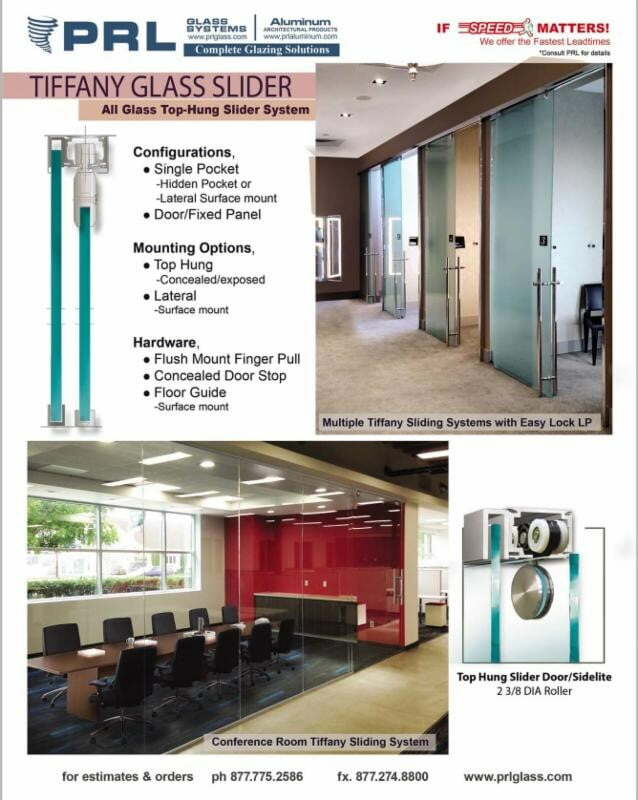 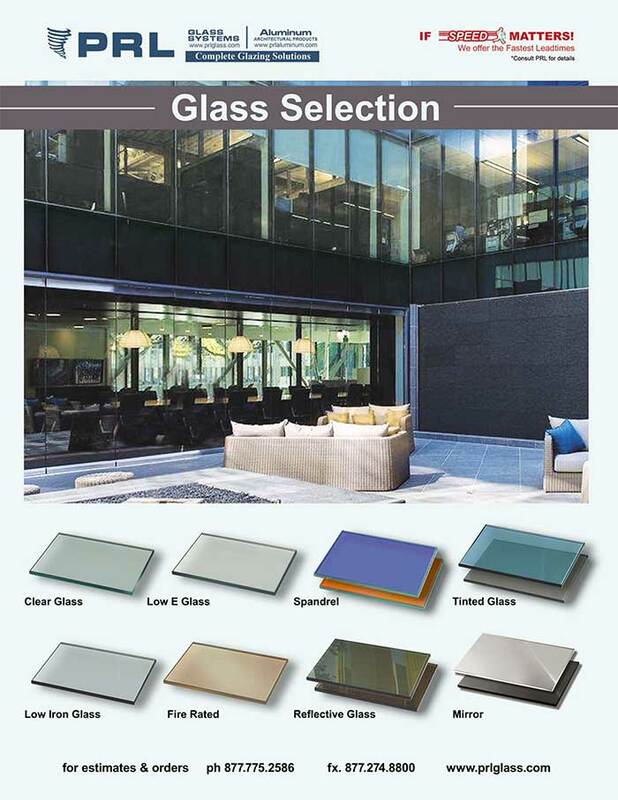 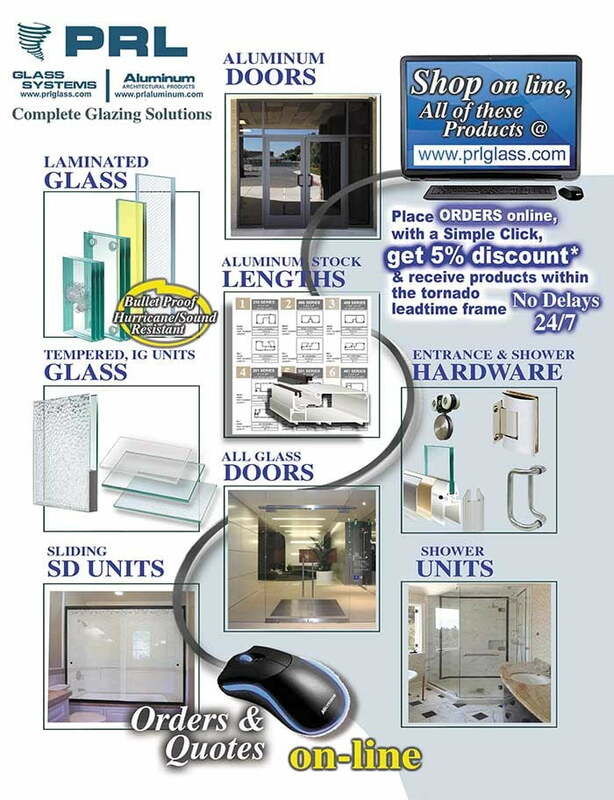 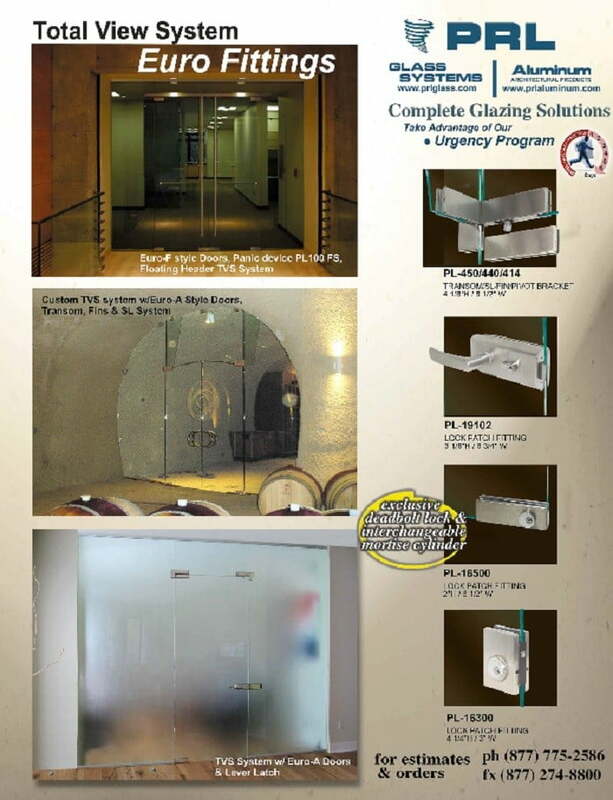 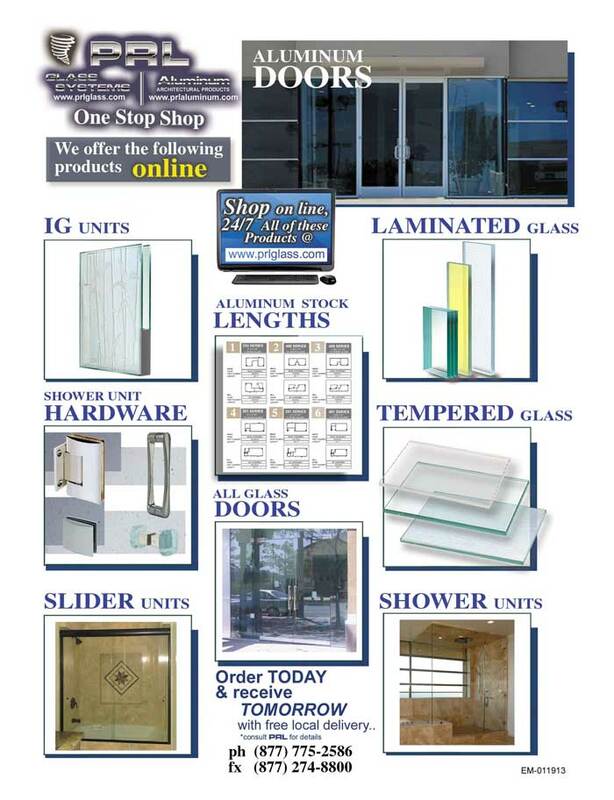 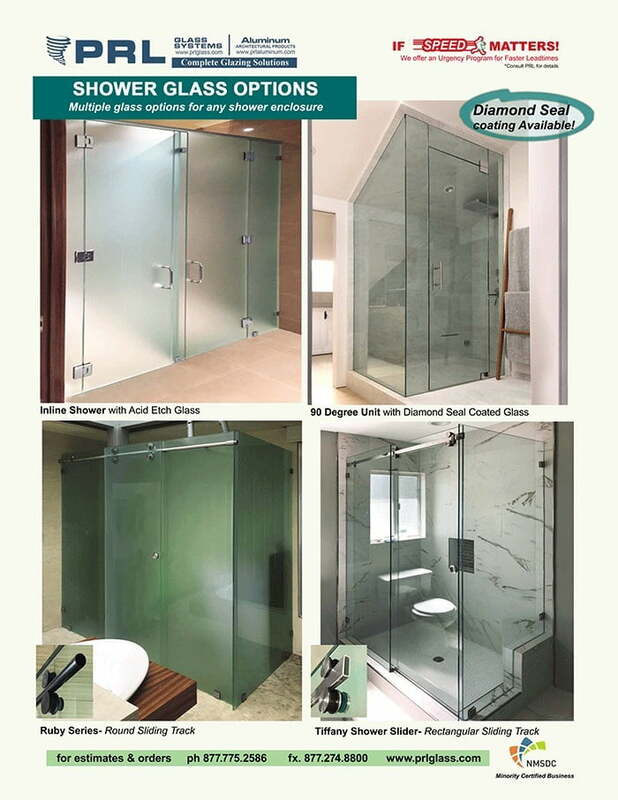 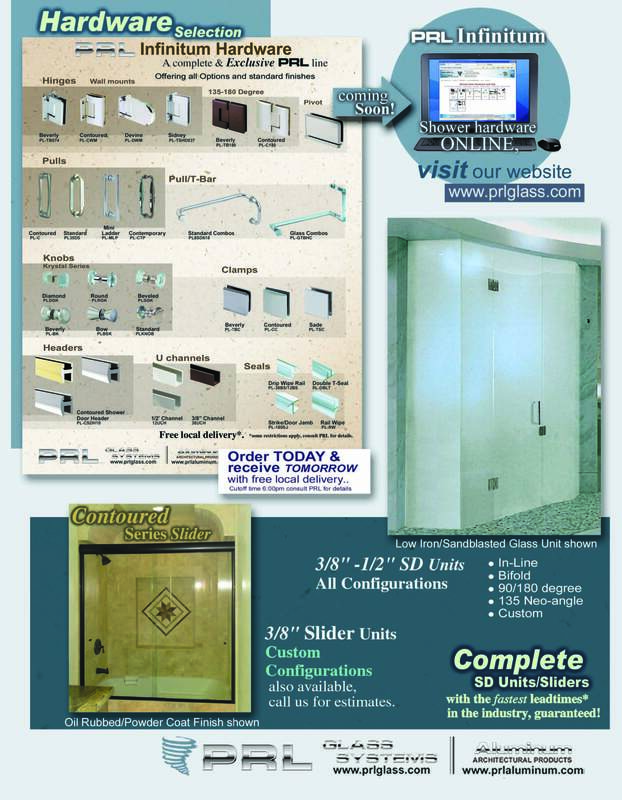 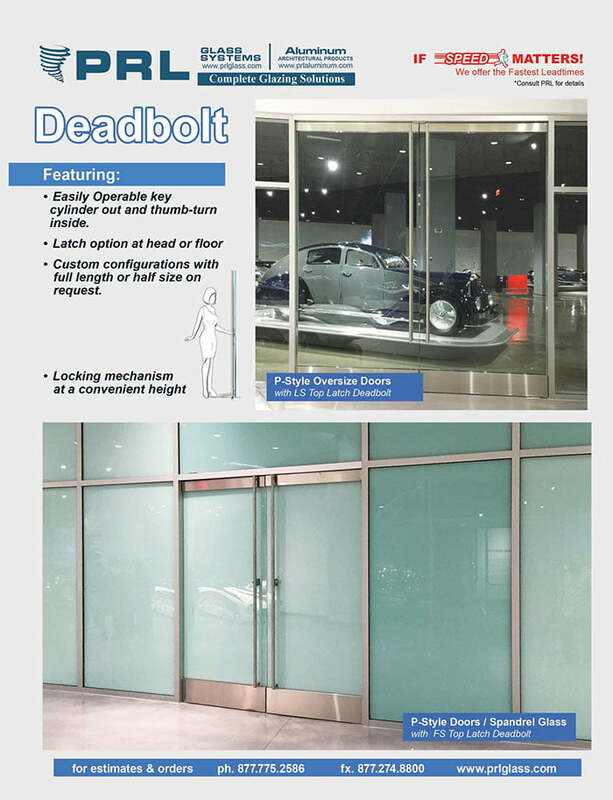 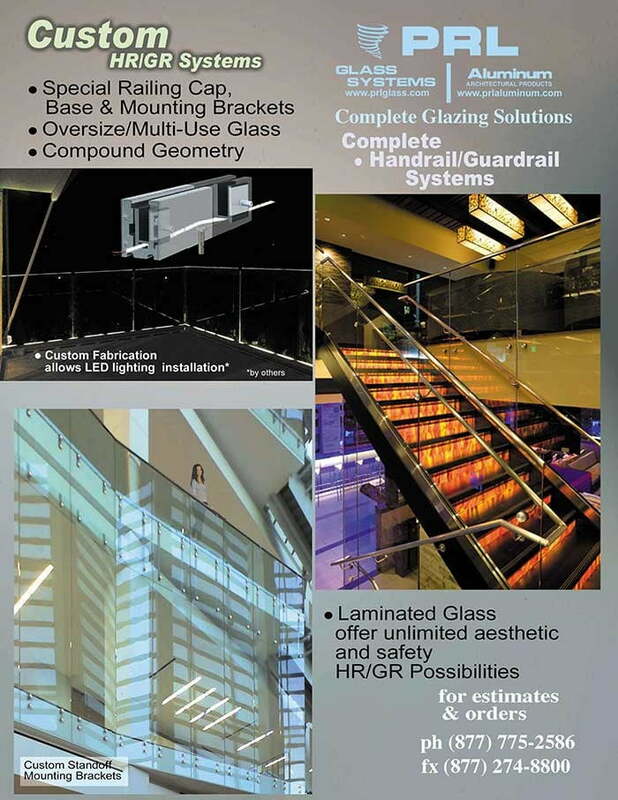 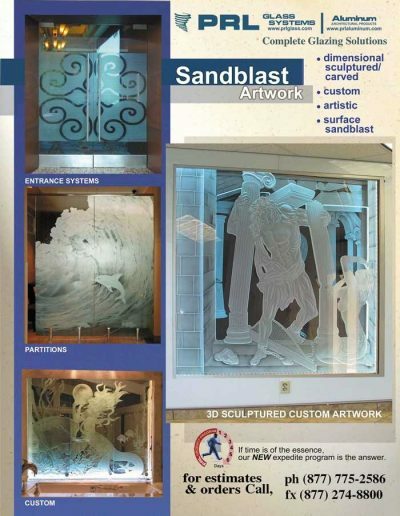 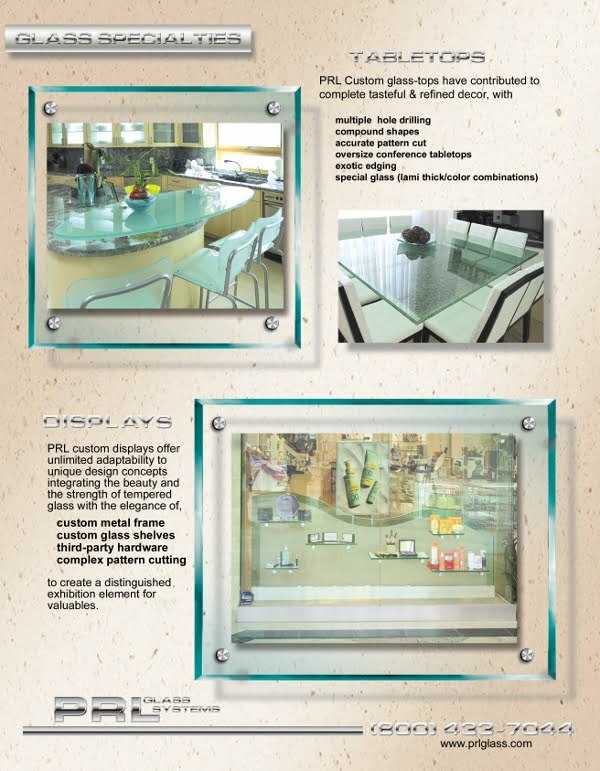 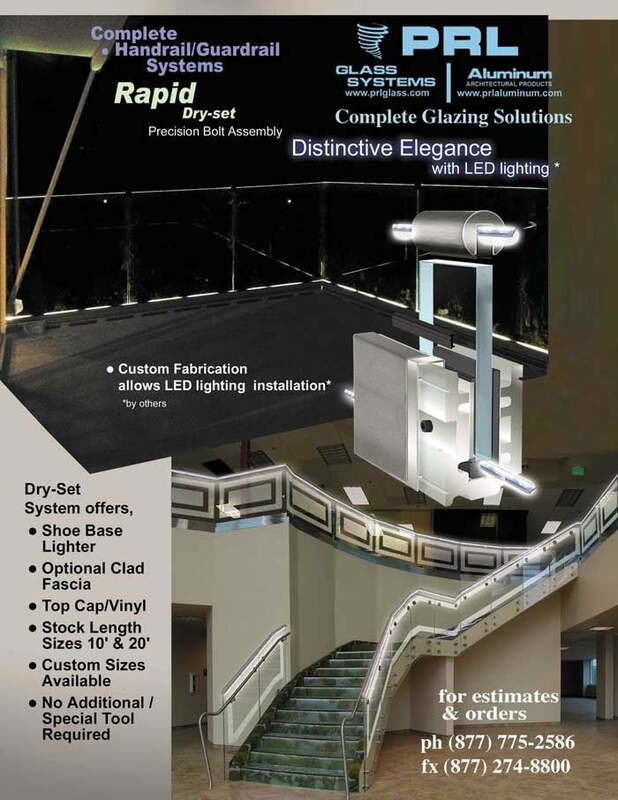 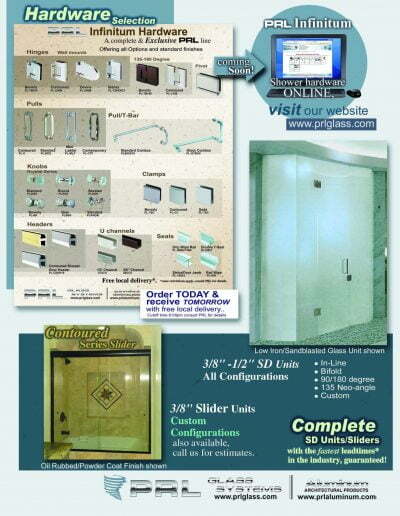 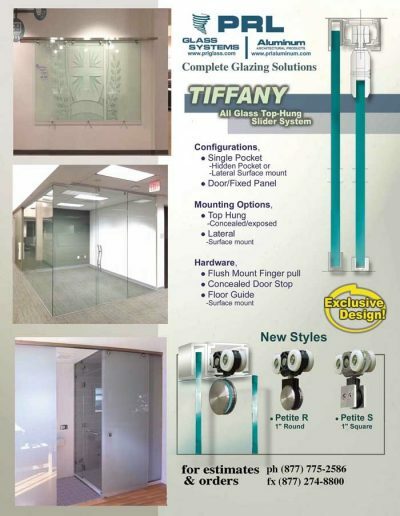 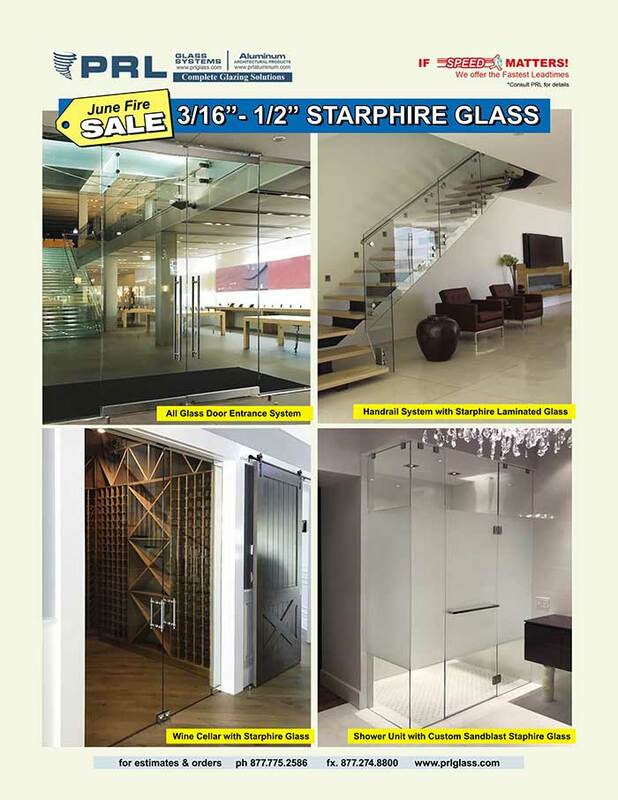 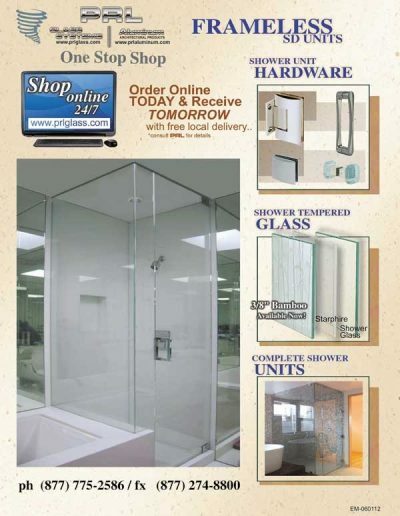 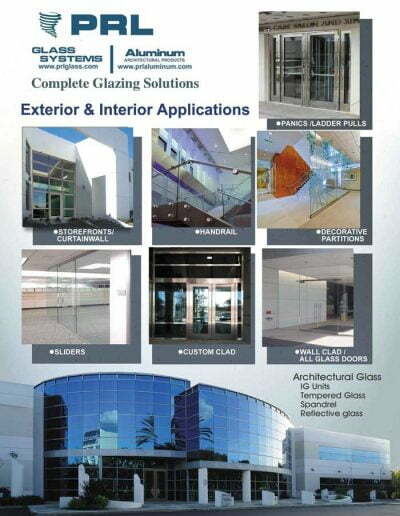 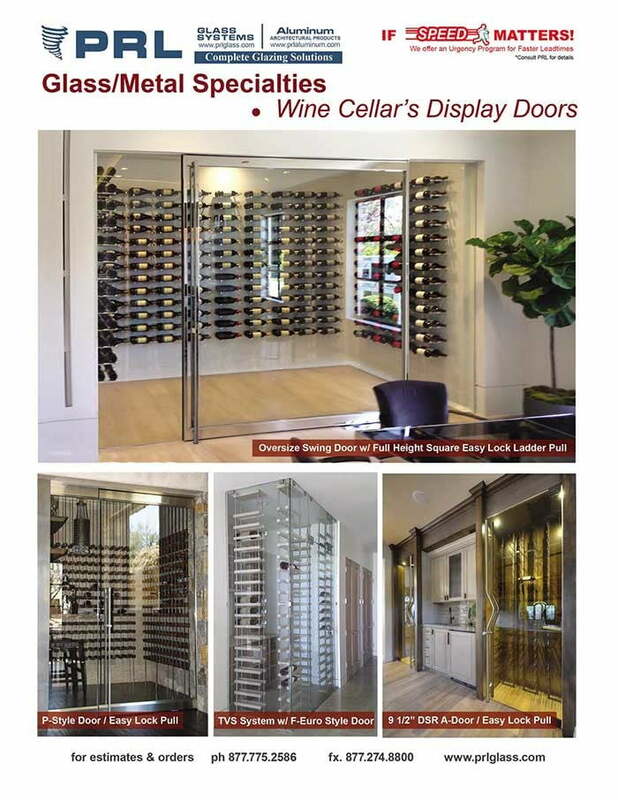 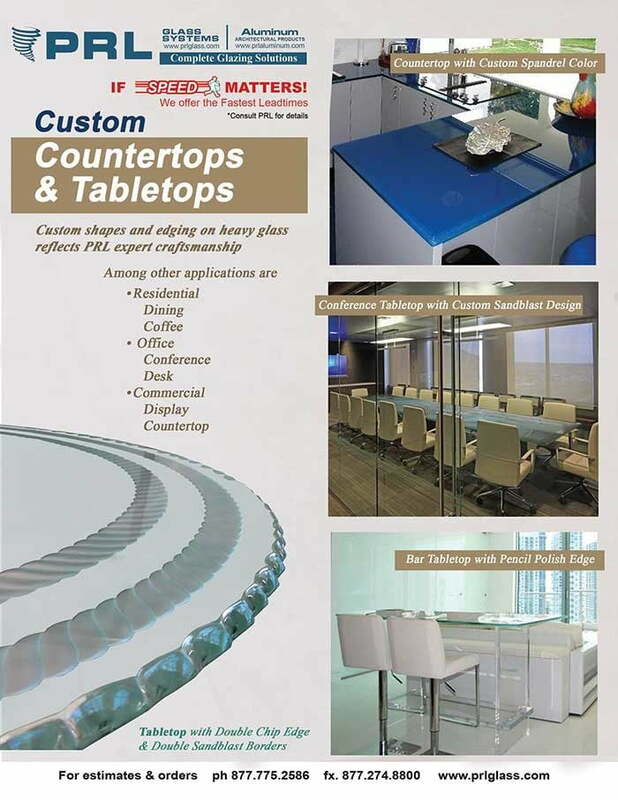 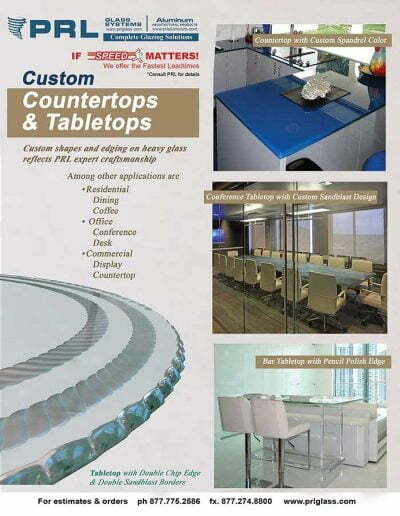 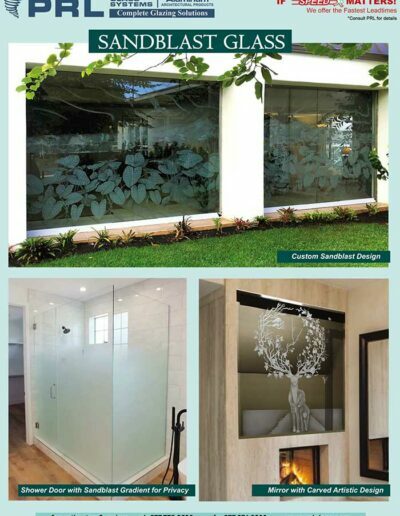 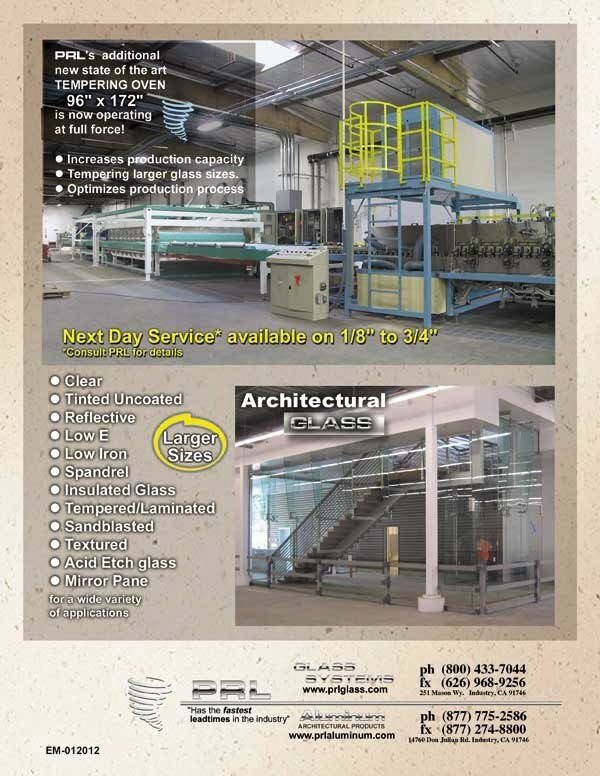 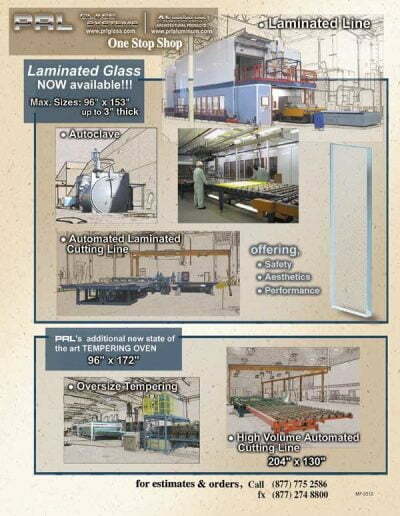 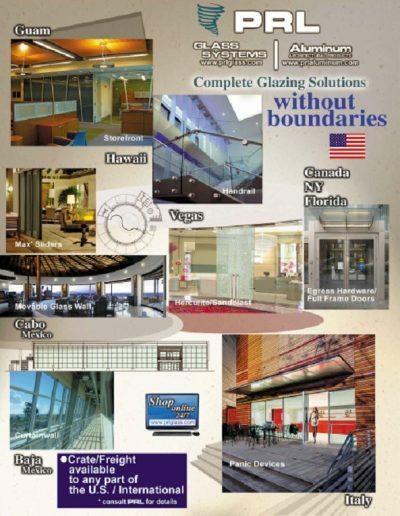 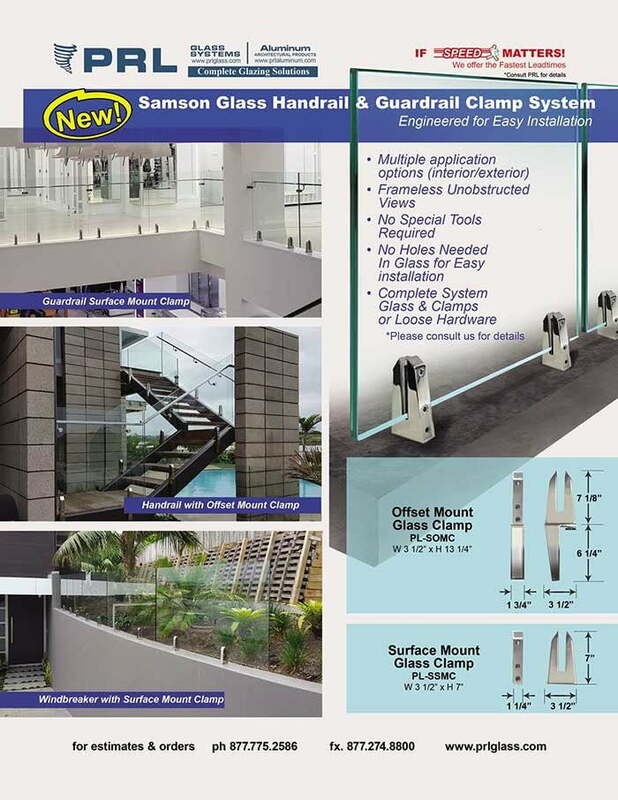 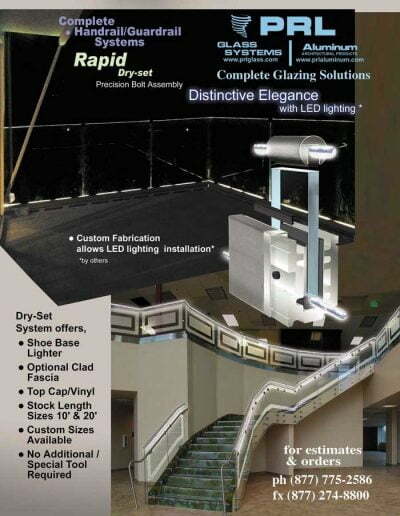 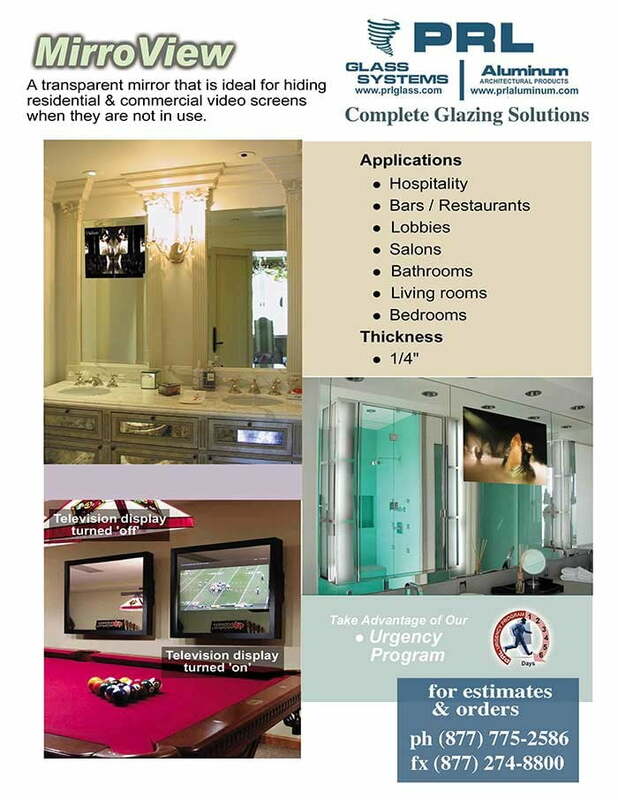 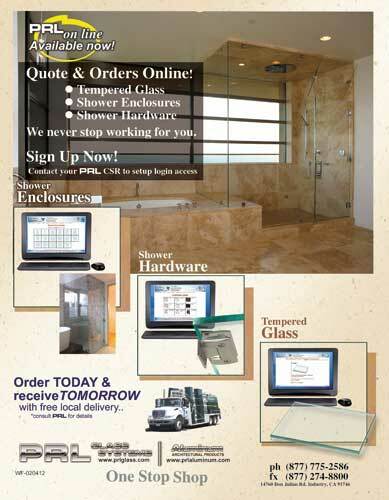 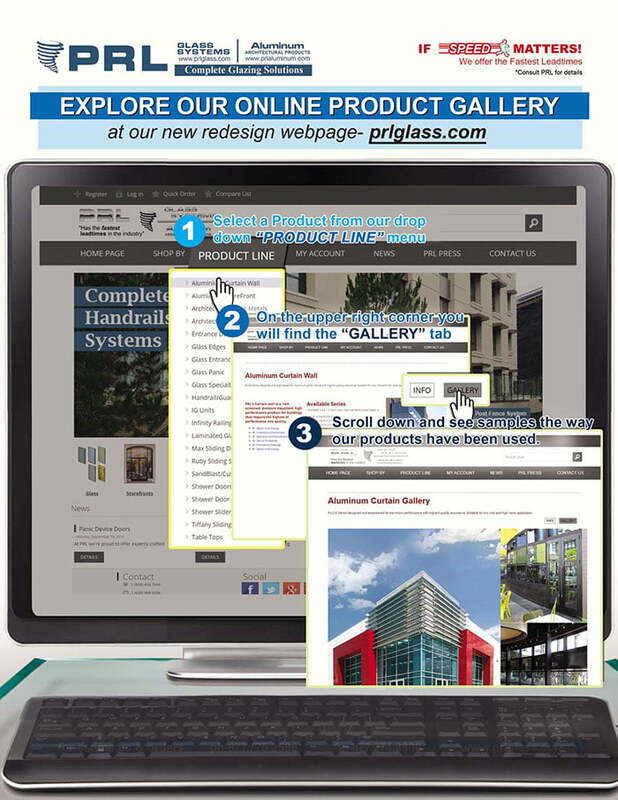 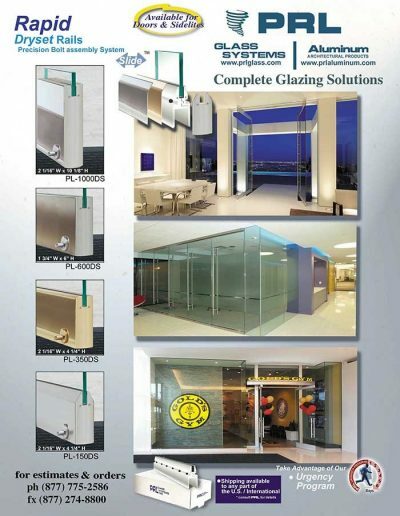 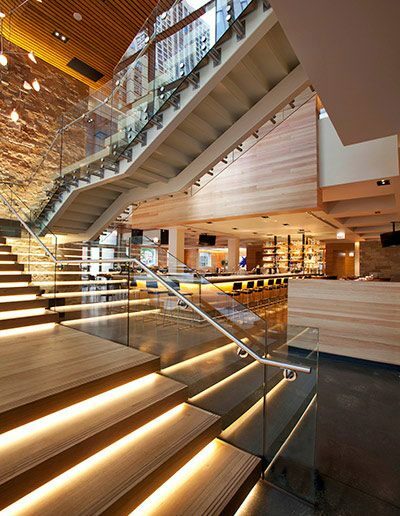 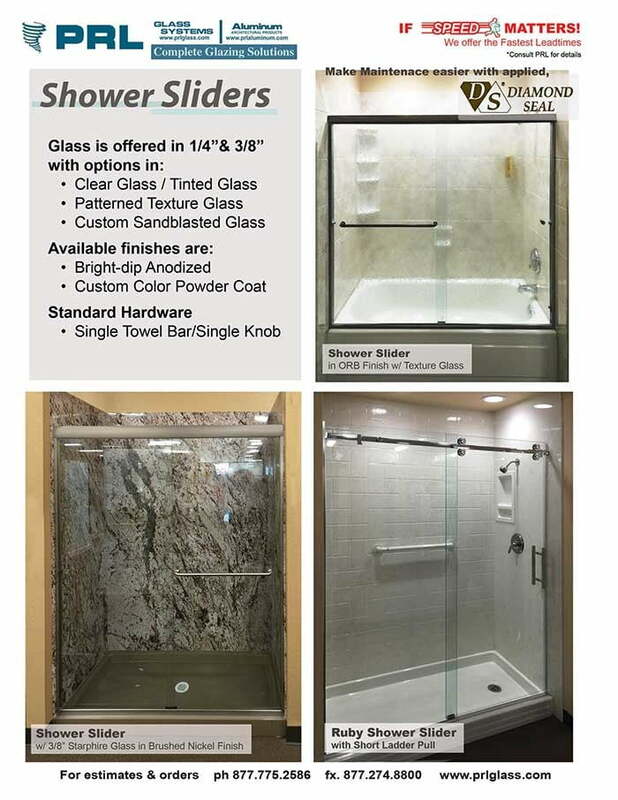 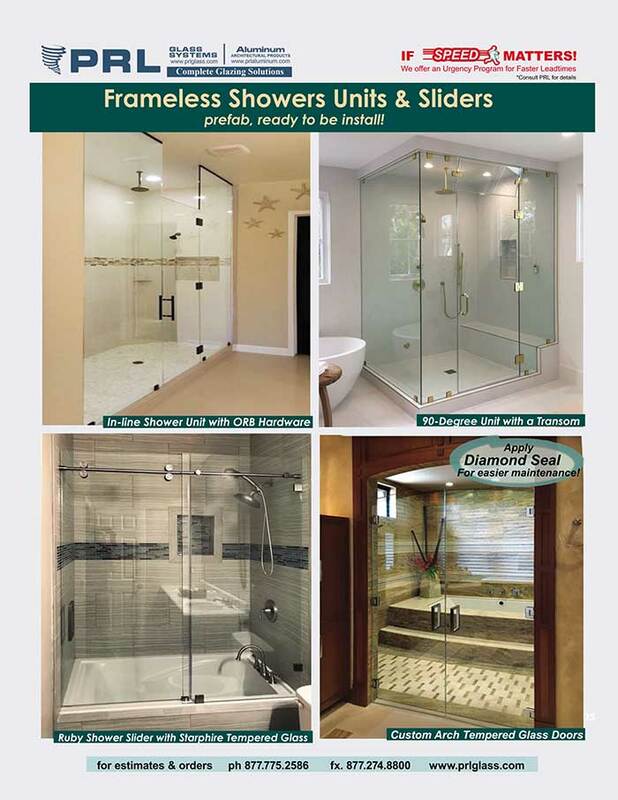 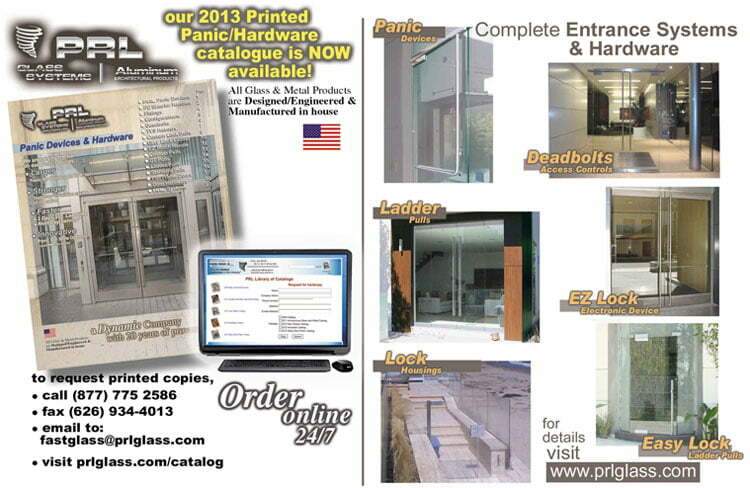 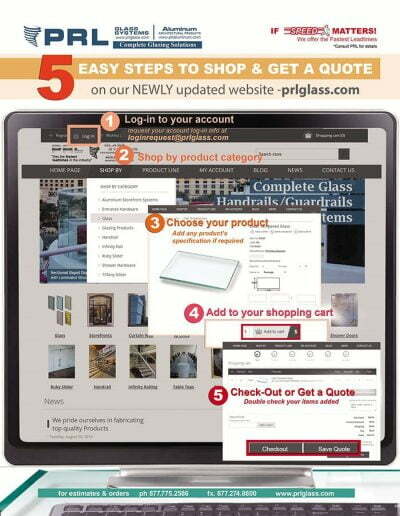 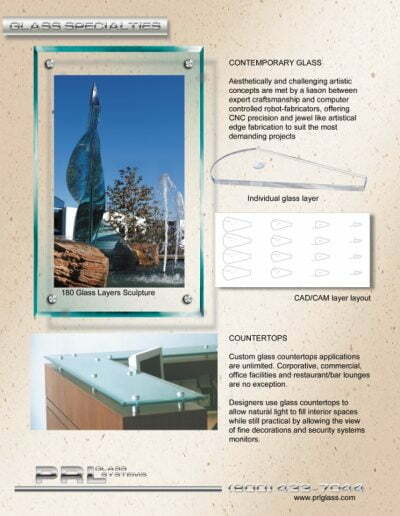 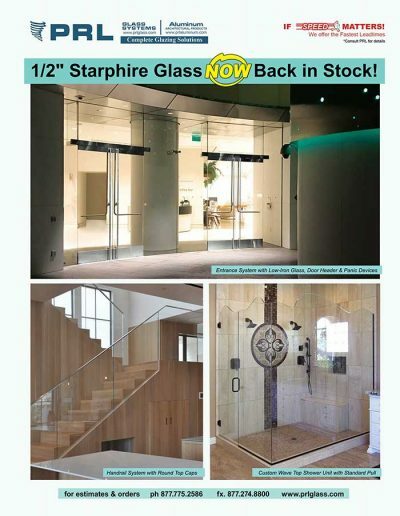 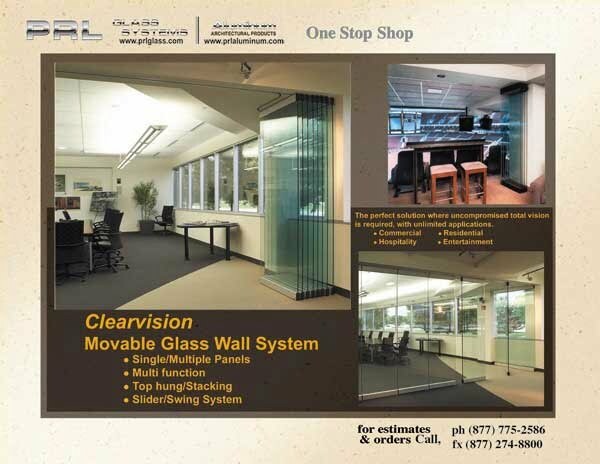 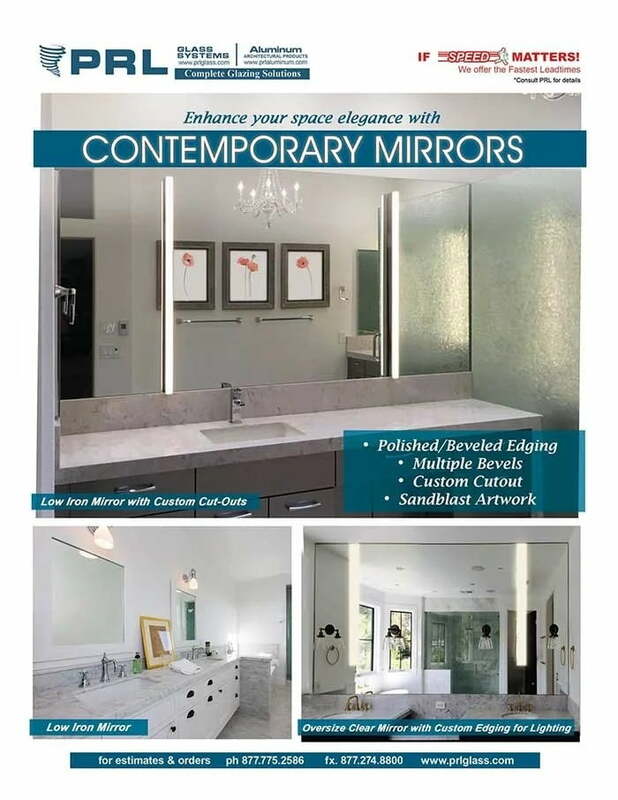 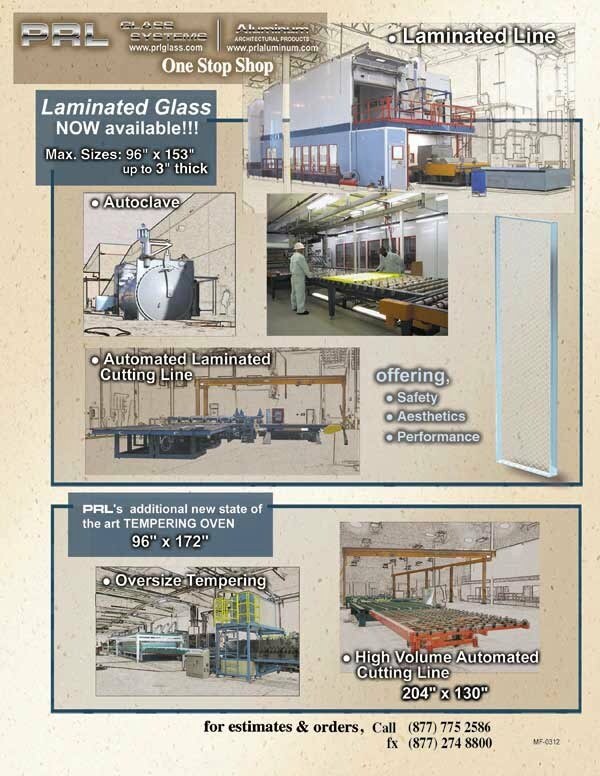 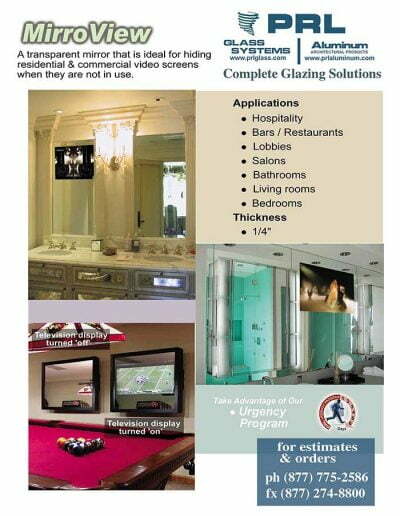 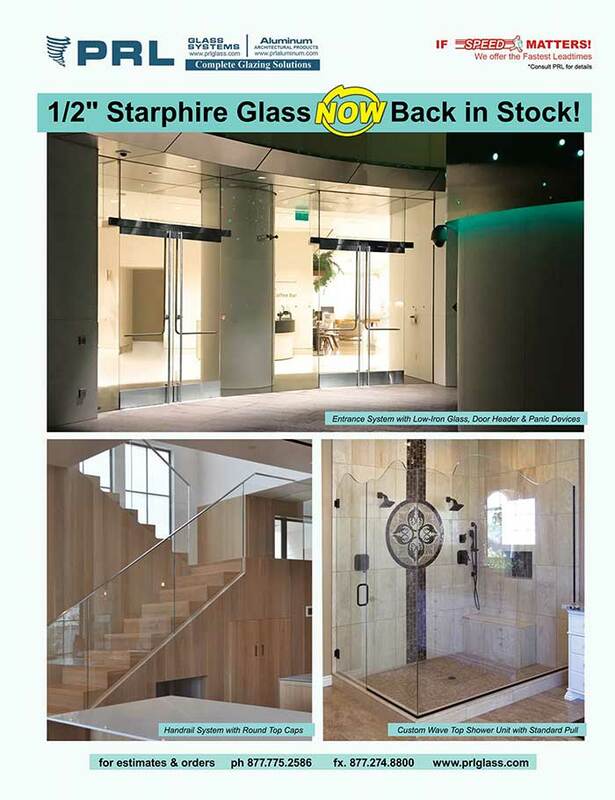 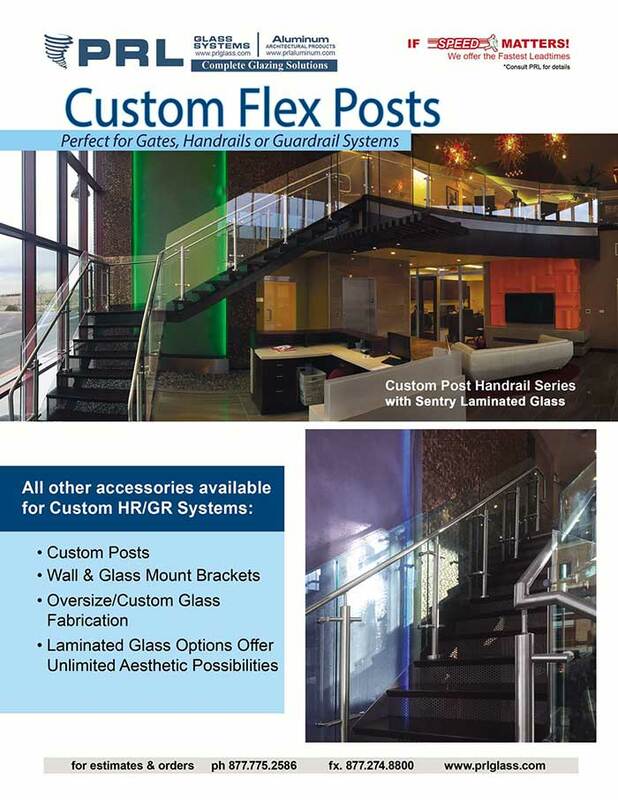 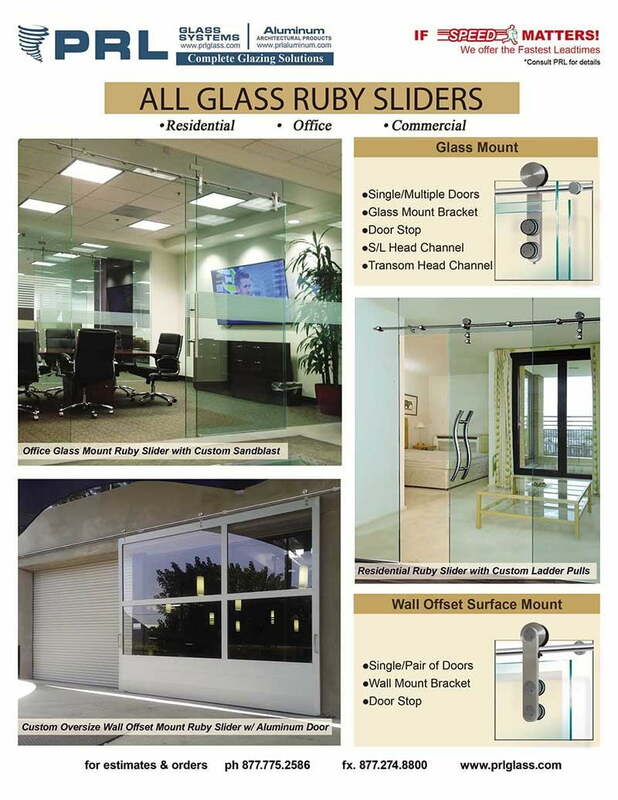 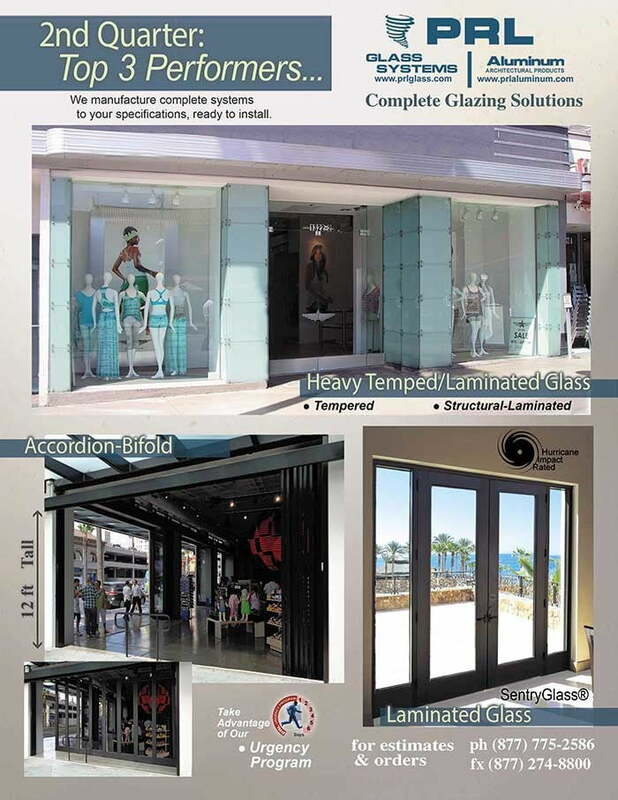 Our storefront systems feature traditional center set glass planes and front set glass planes, for insulating glass or monolithic annealed/ tempered glass. 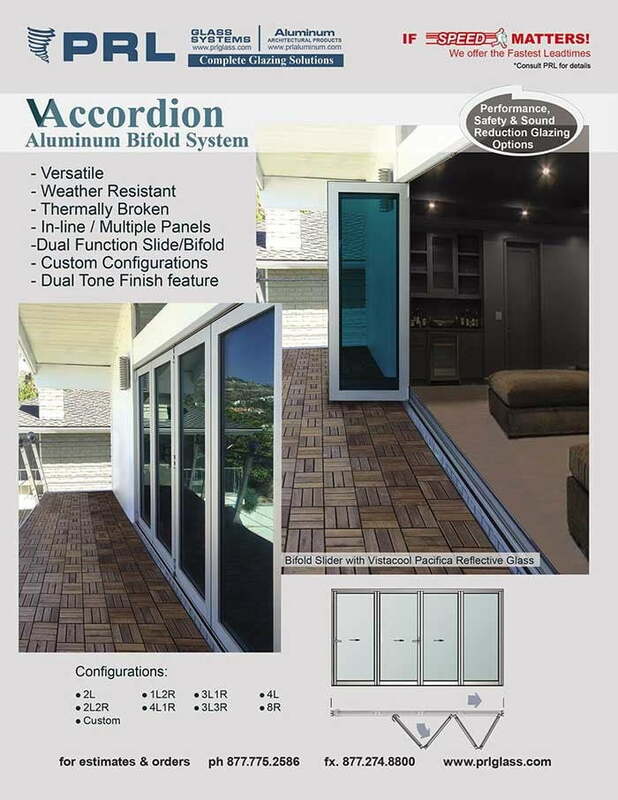 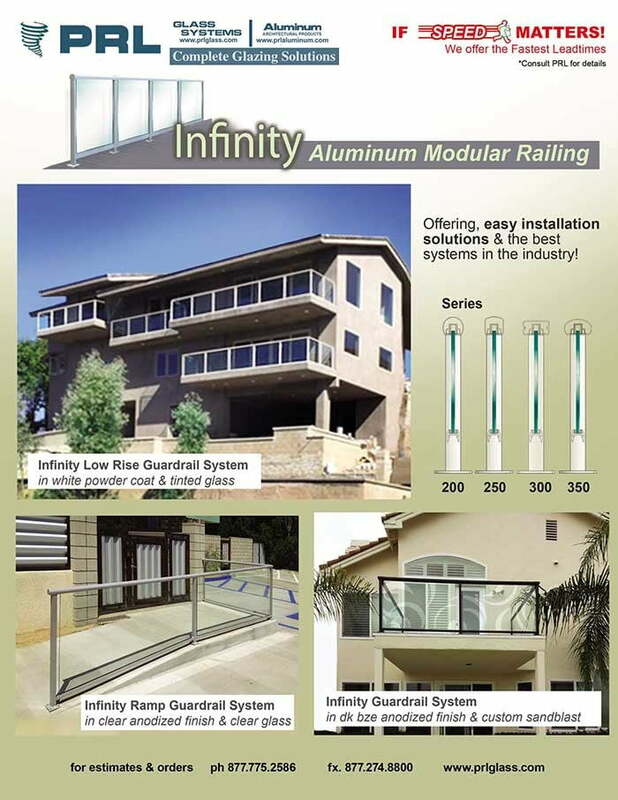 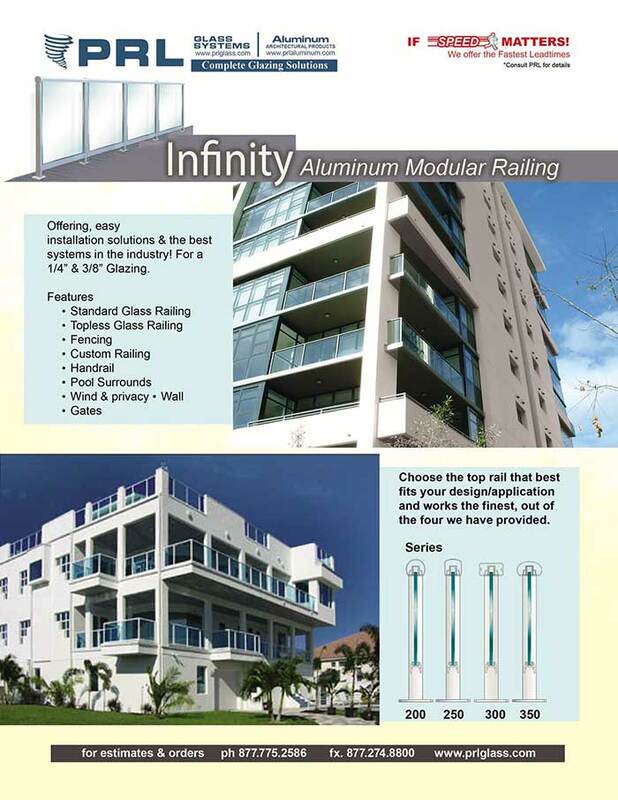 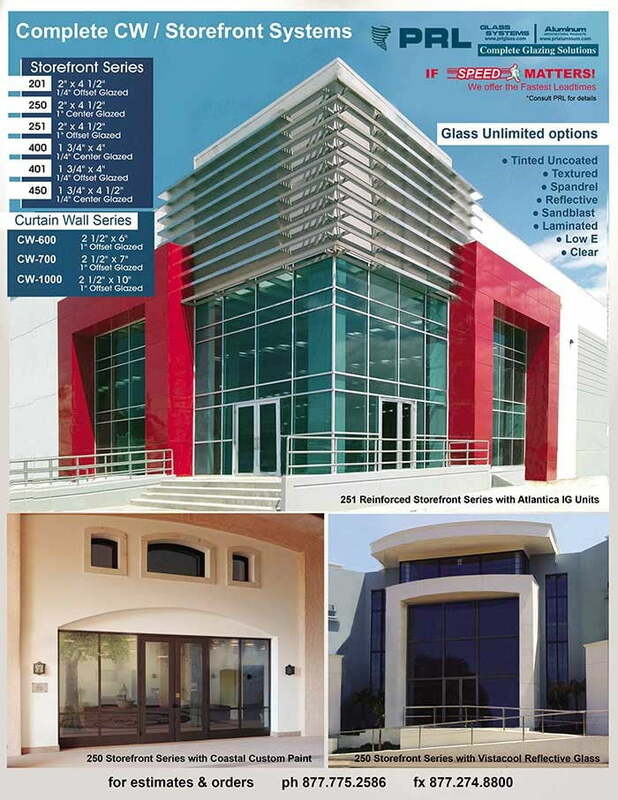 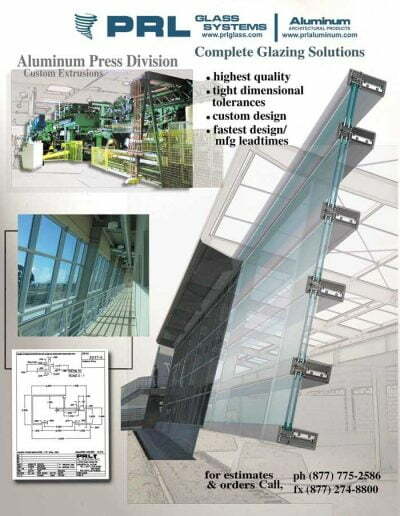 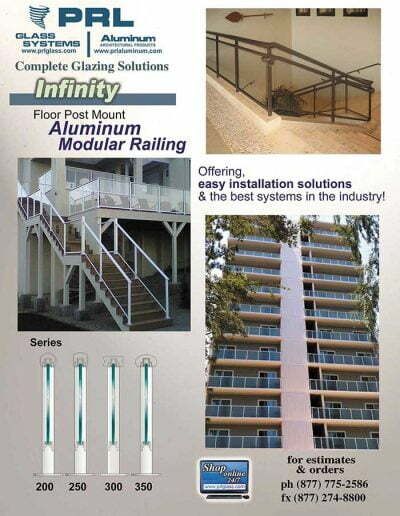 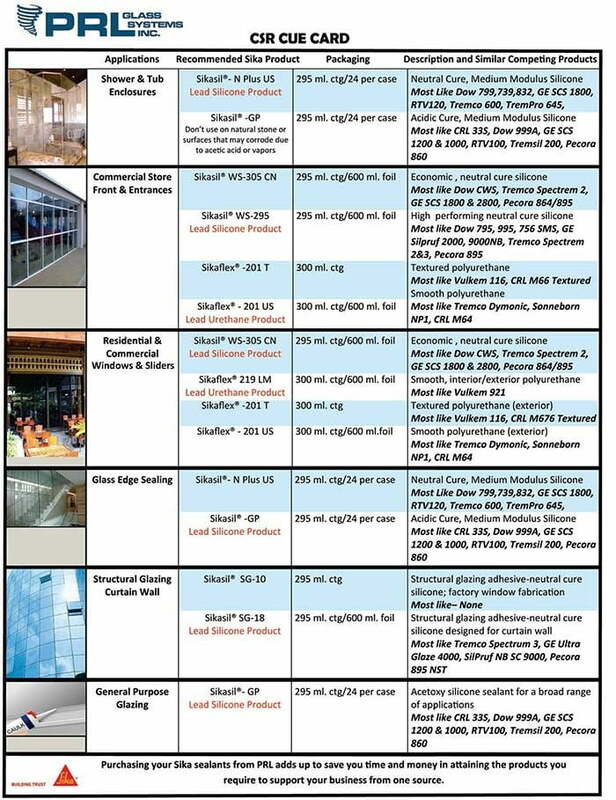 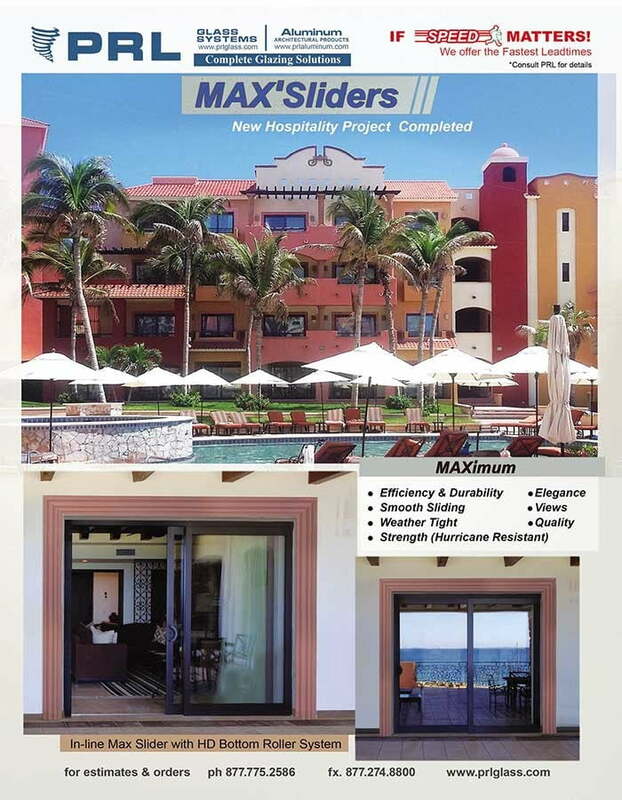 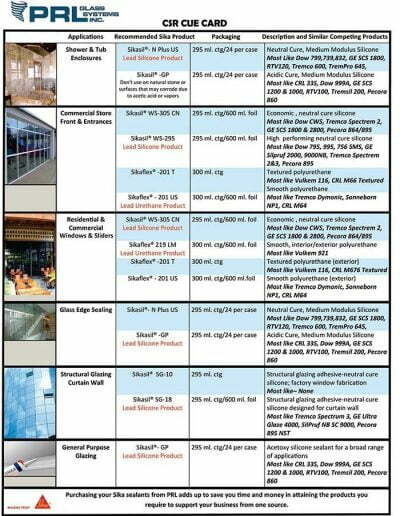 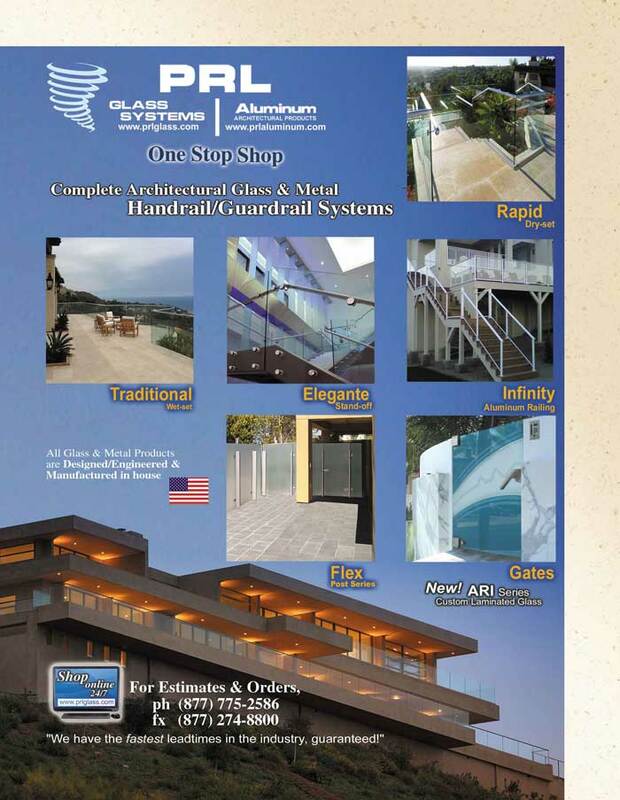 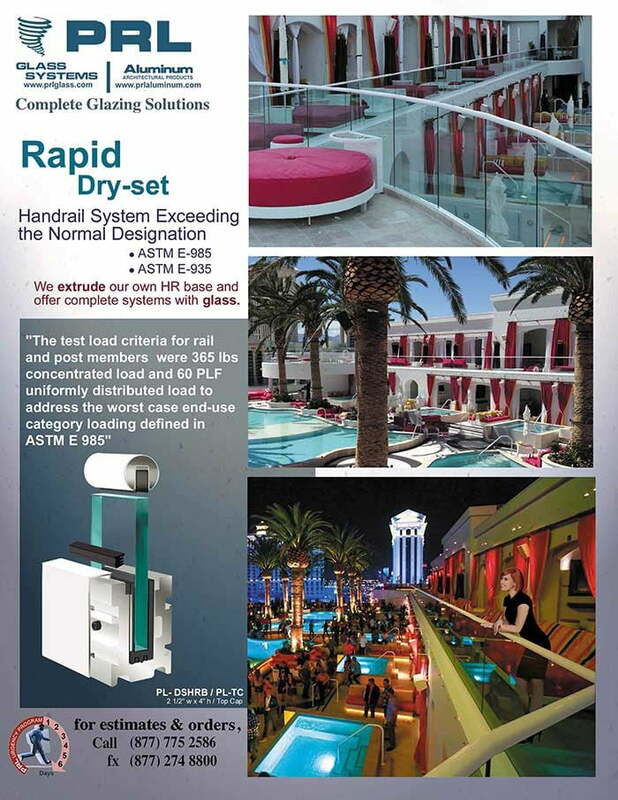 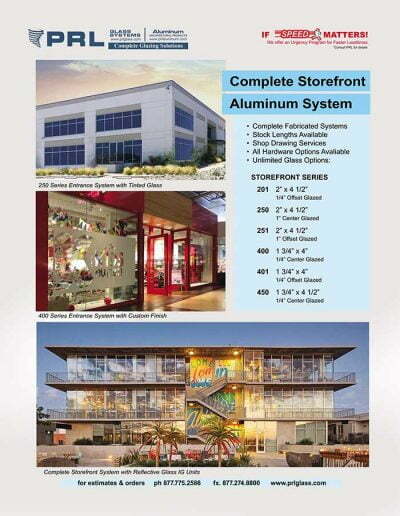 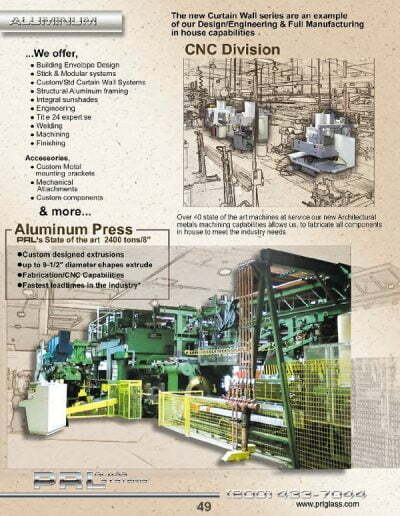 Our aluminum storefront systems performance is excellent for air infiltration, water infiltration, structural wind loads, seismic design and hurricane impact resistance. 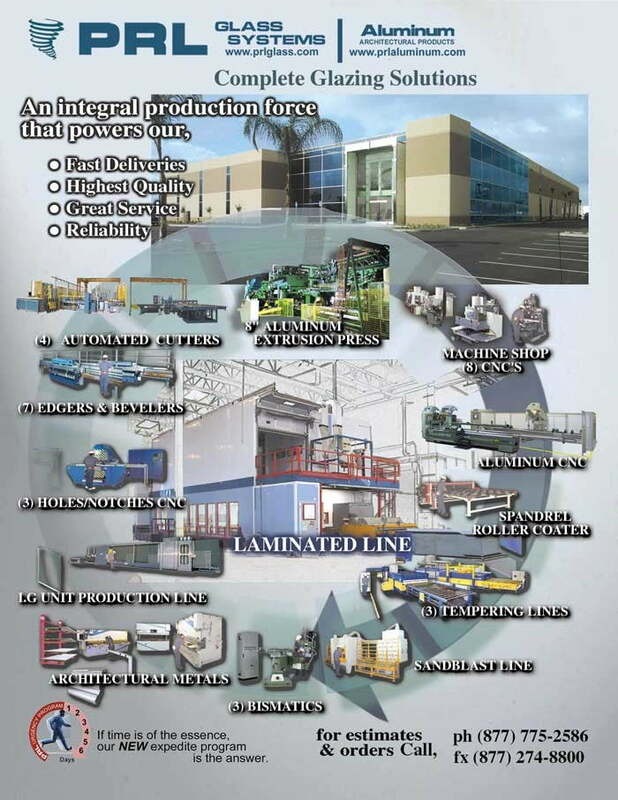 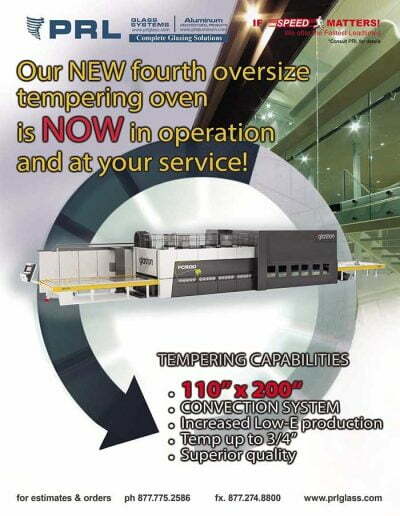 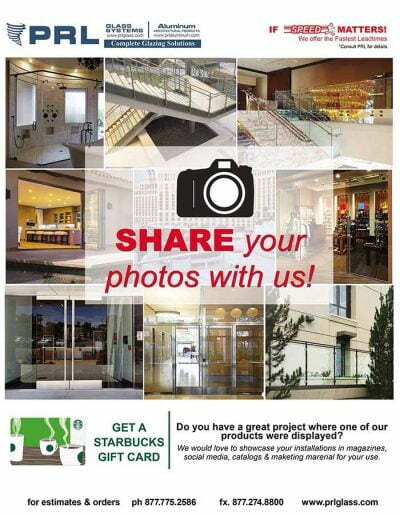 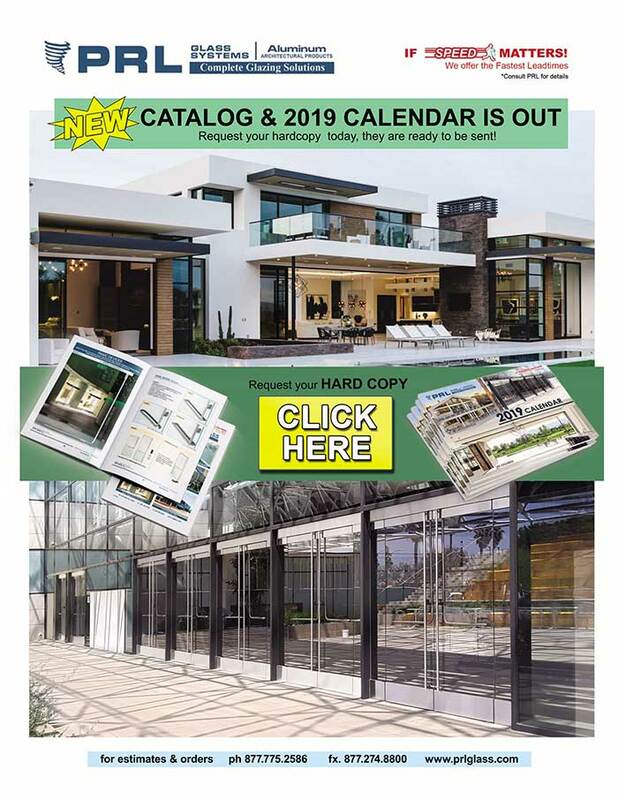 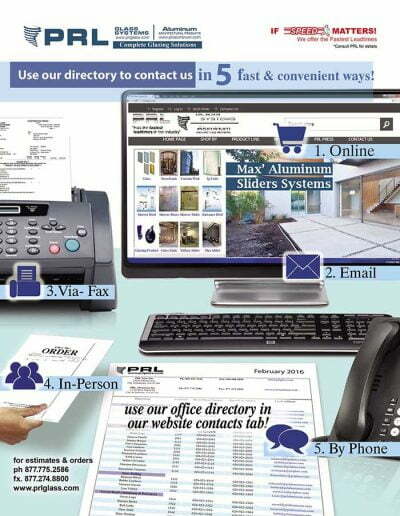 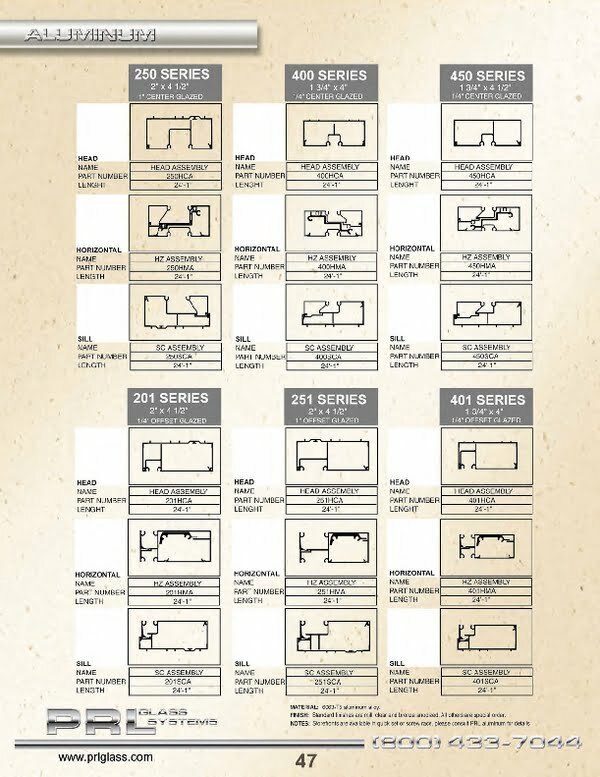 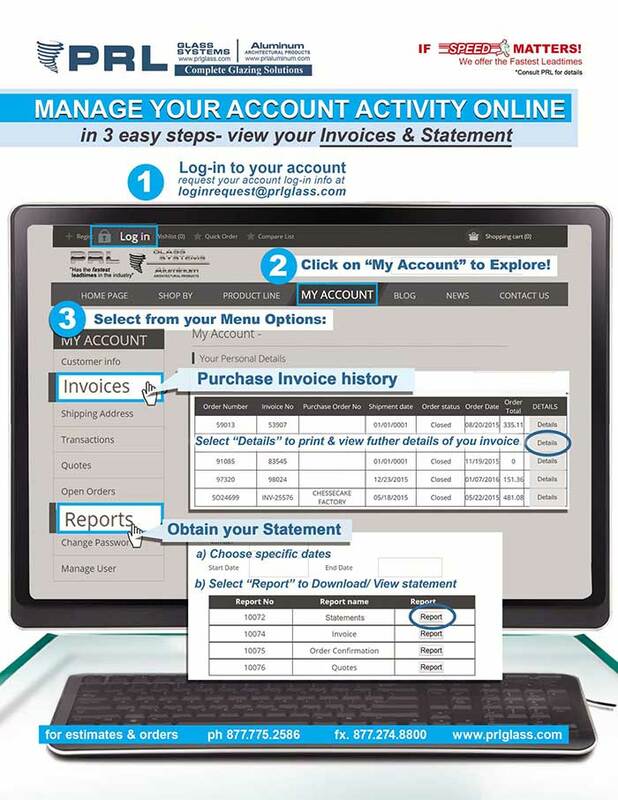 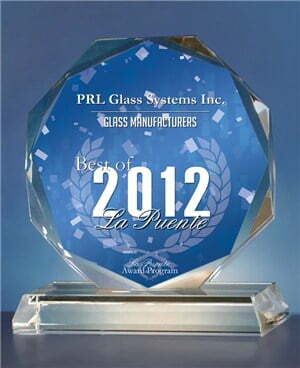 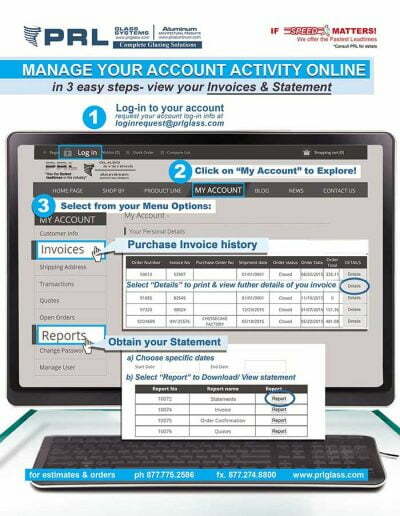 They provide the finest quality at an affordable cost. 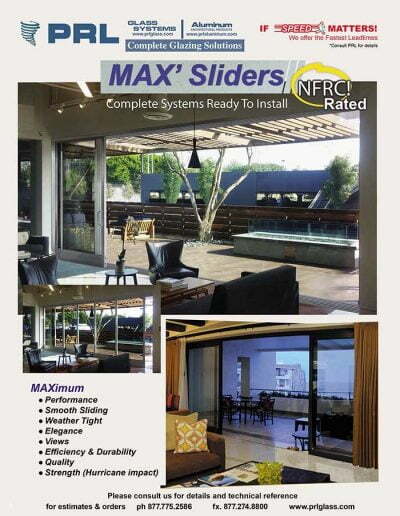 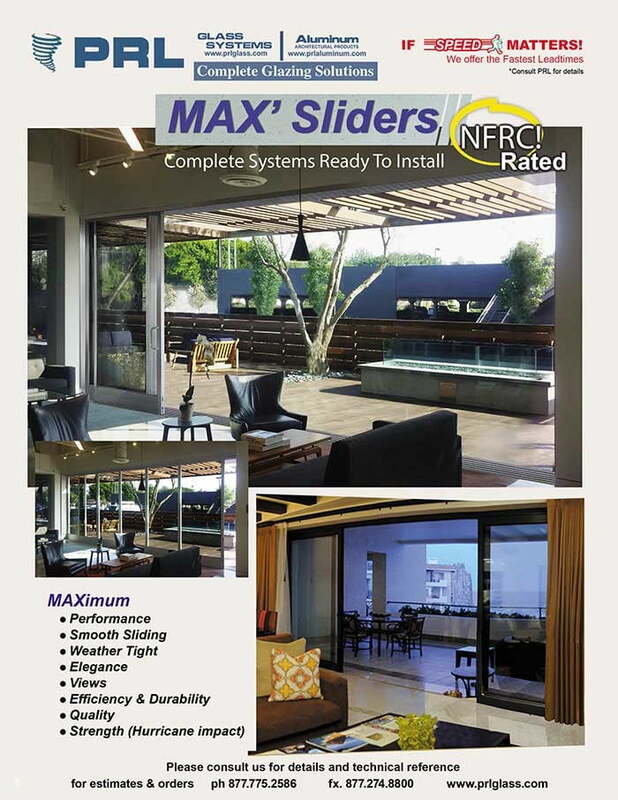 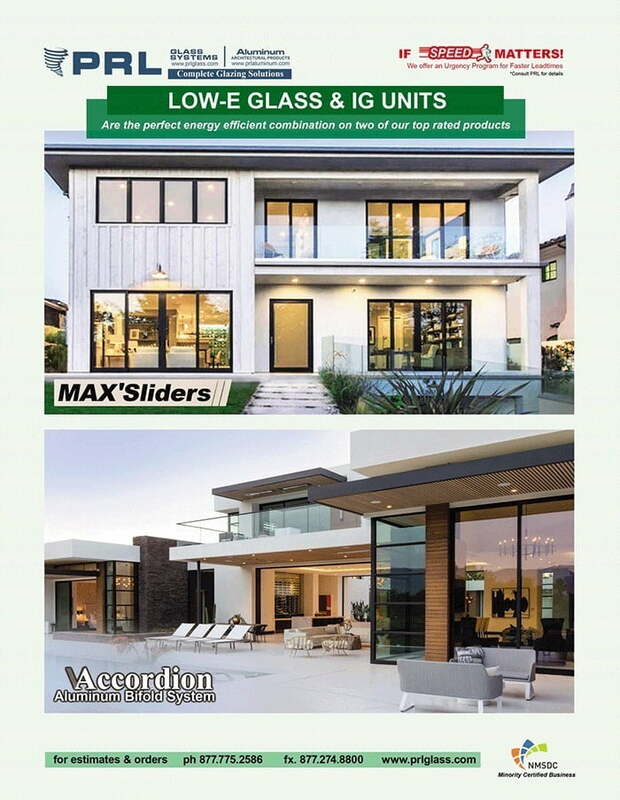 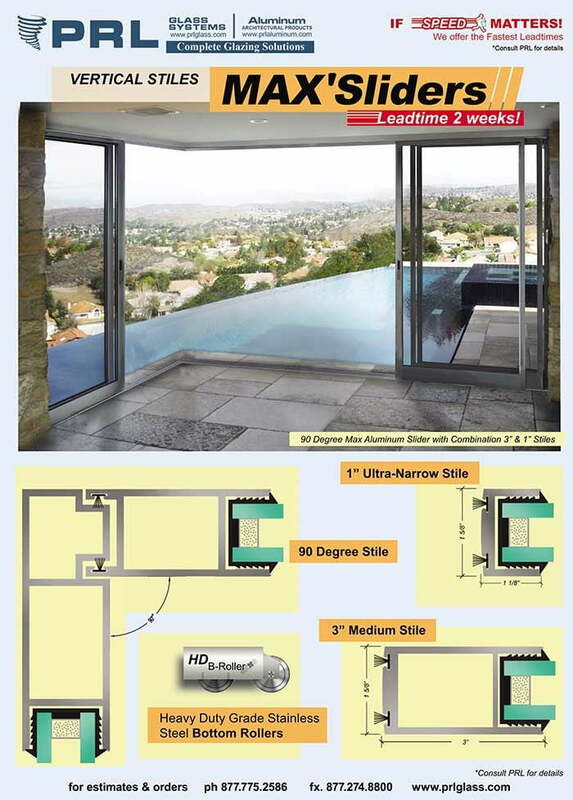 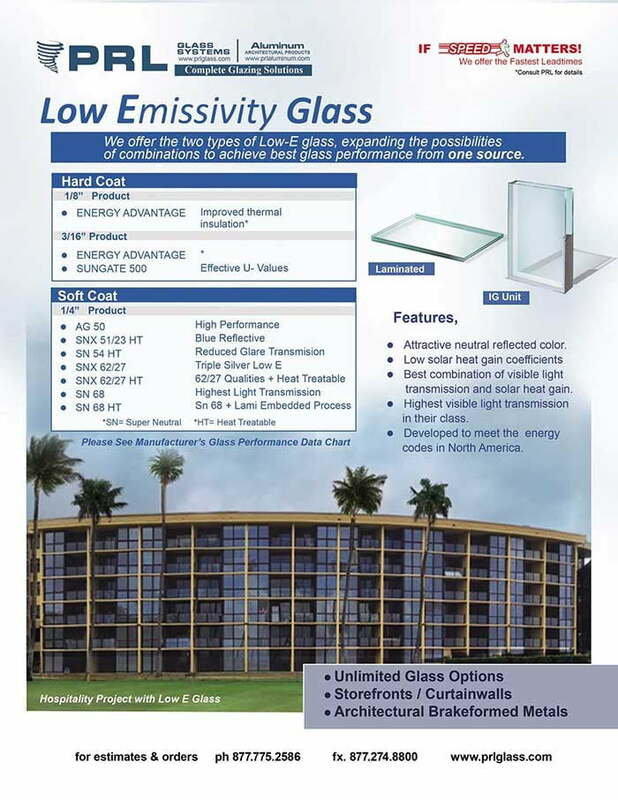 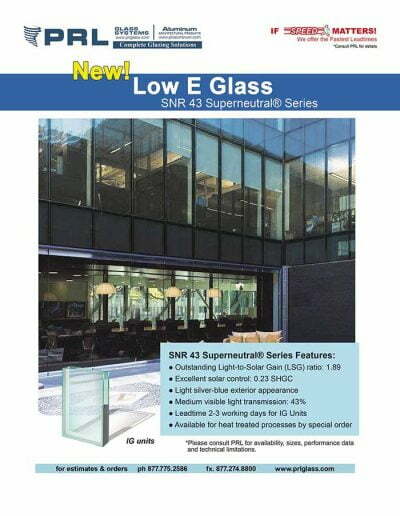 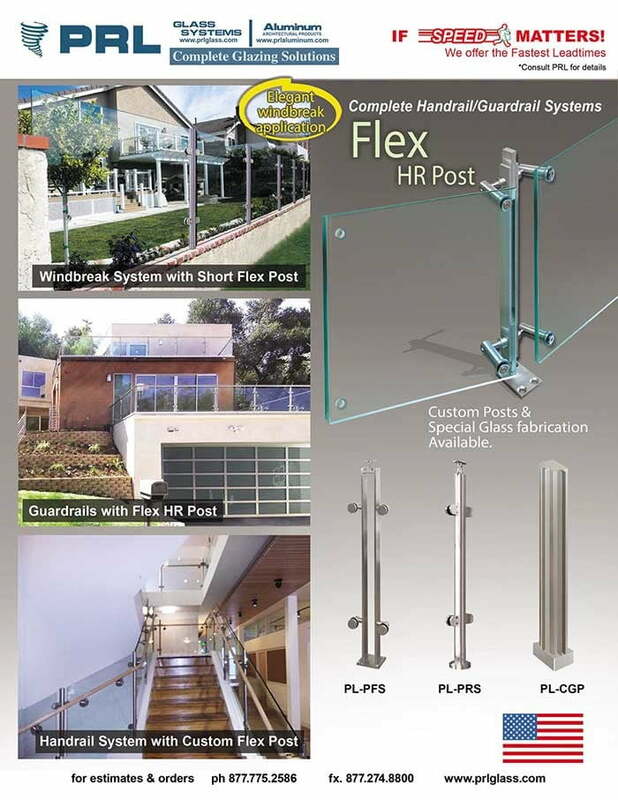 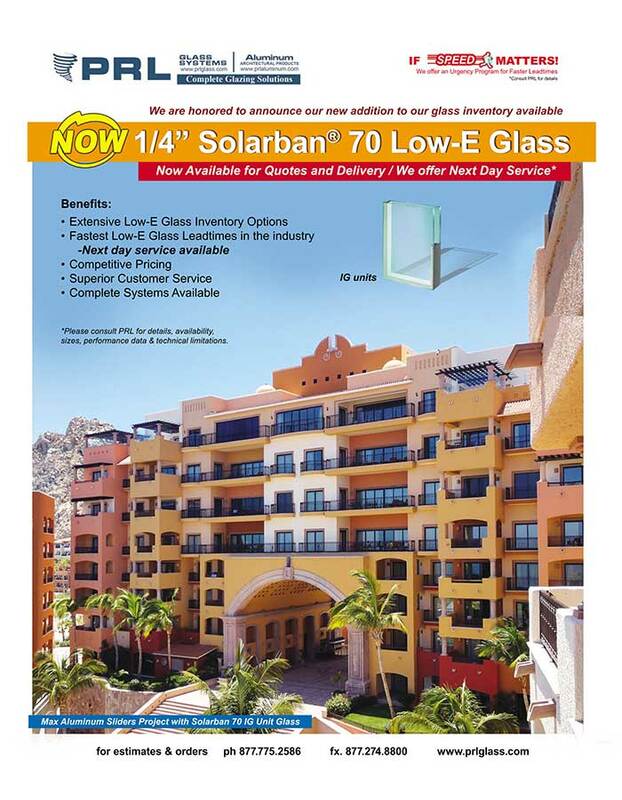 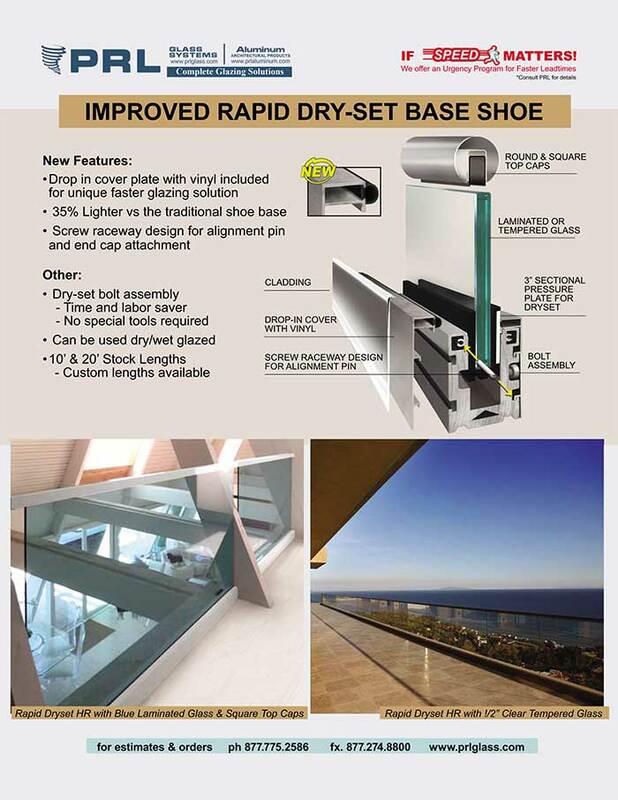 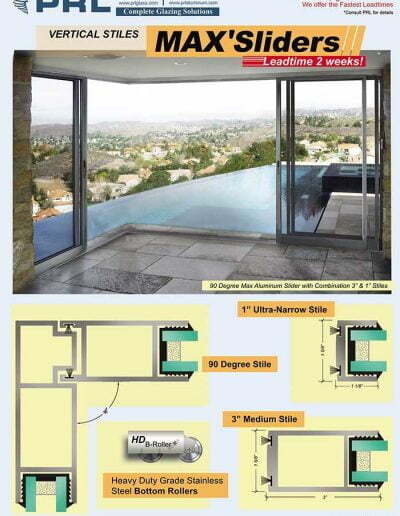 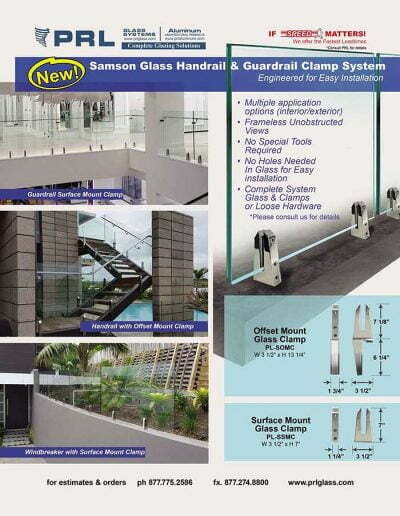 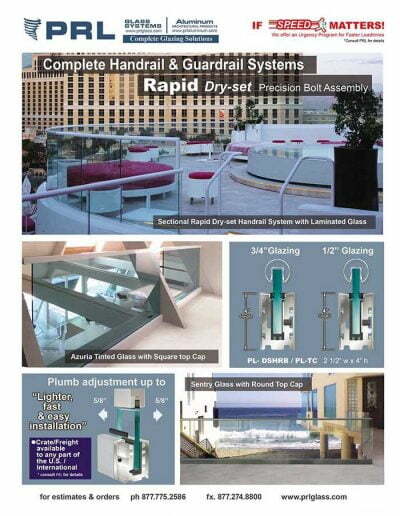 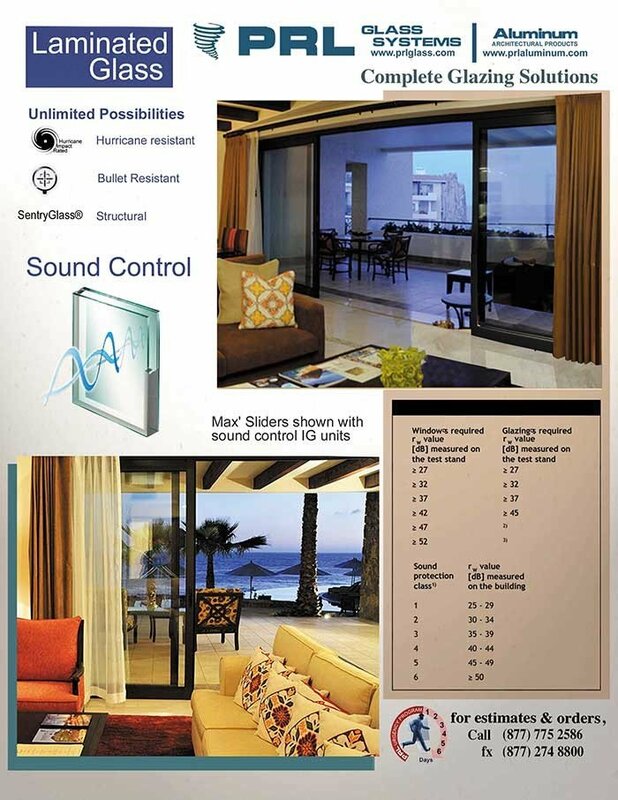 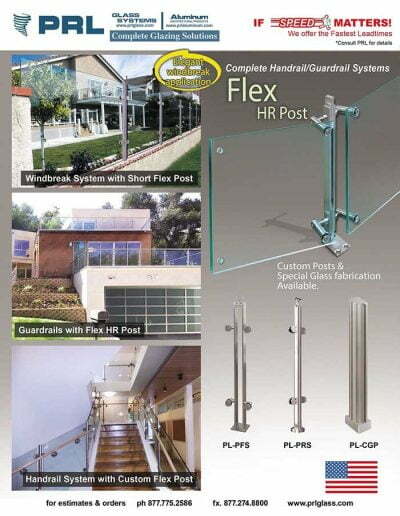 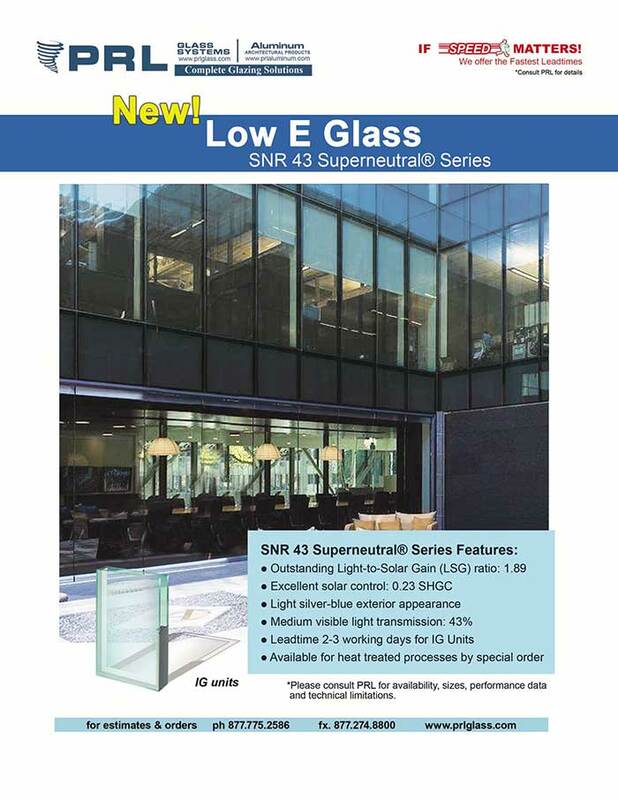 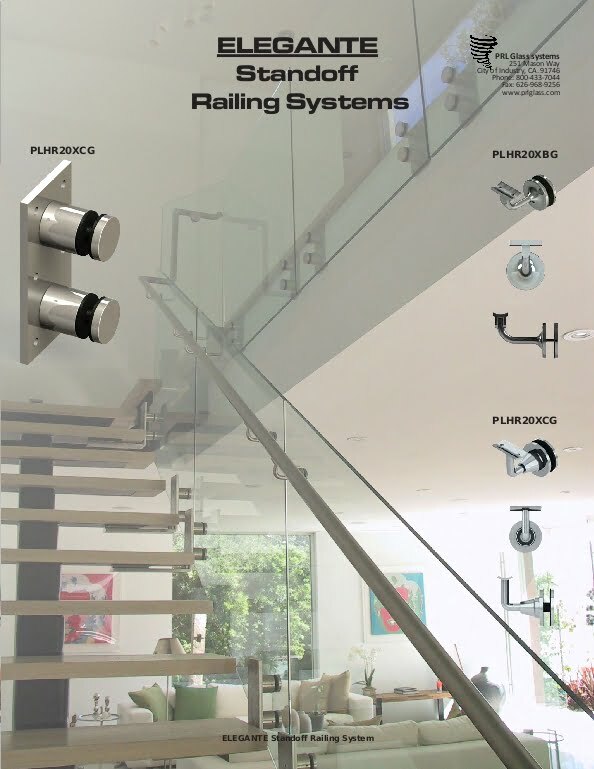 When combined with high performance glass or insulated glass units will give excellent energy efficiency and can be NFRC certified. 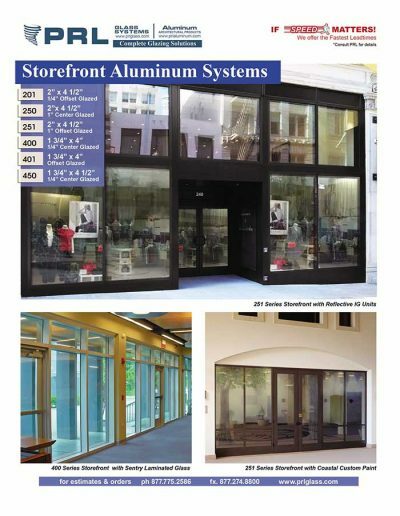 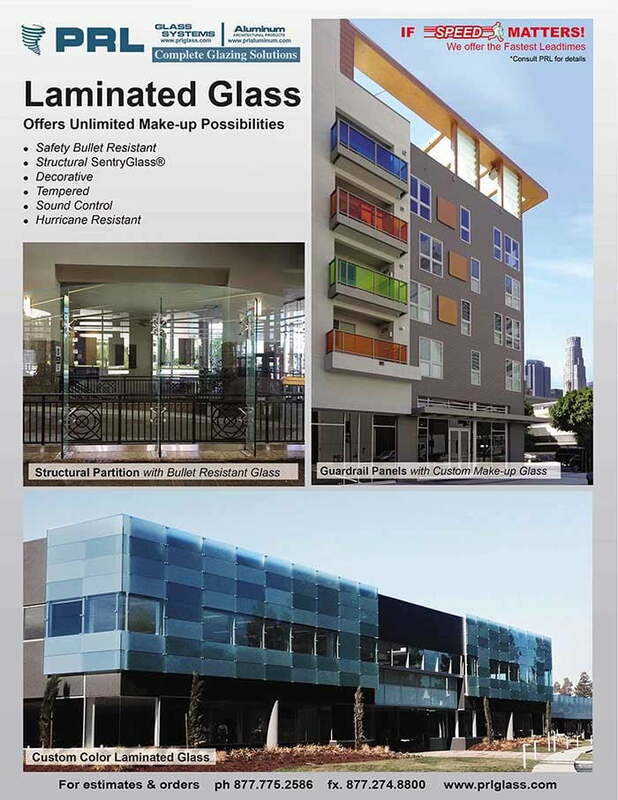 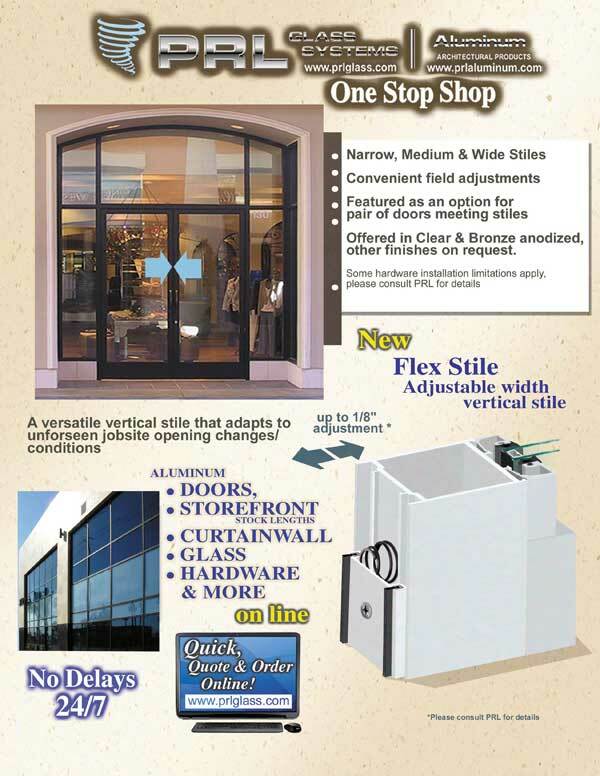 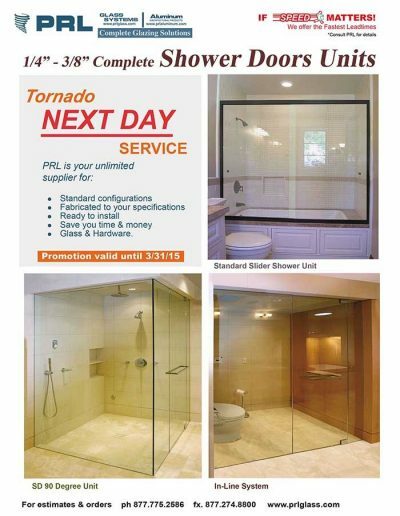 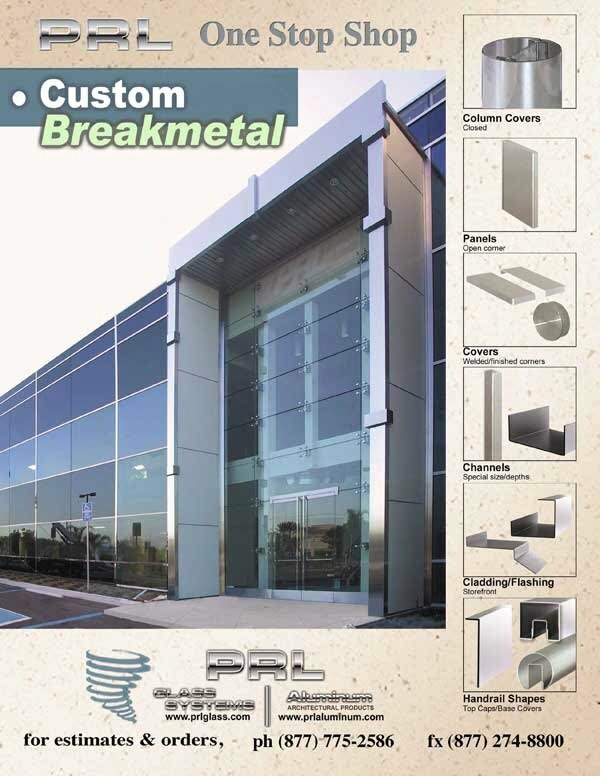 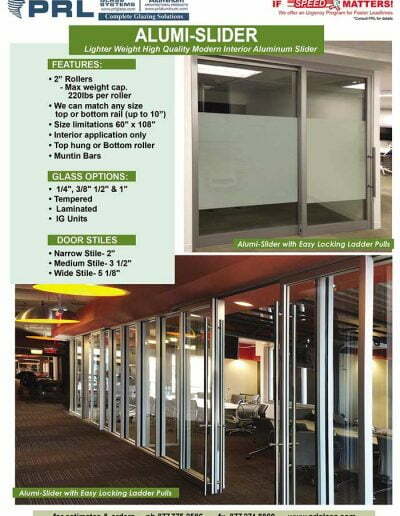 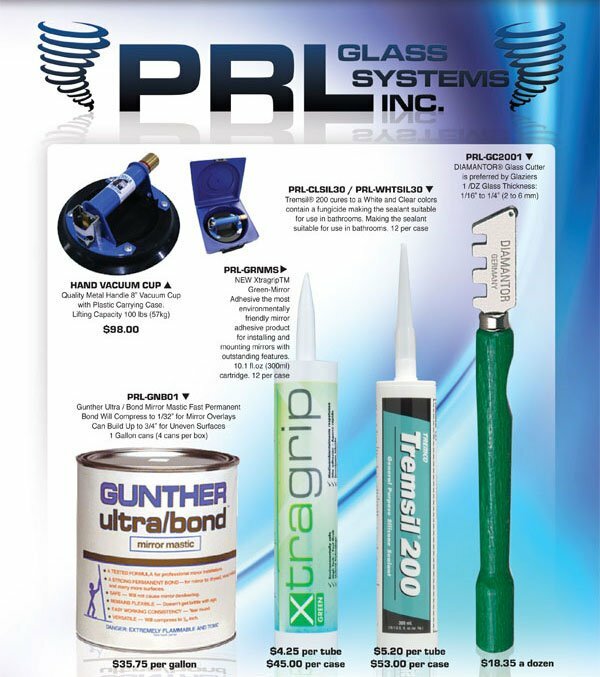 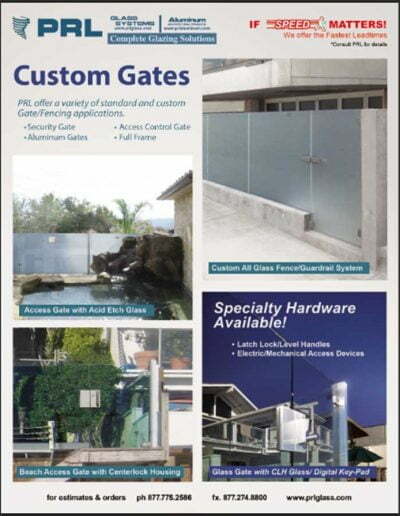 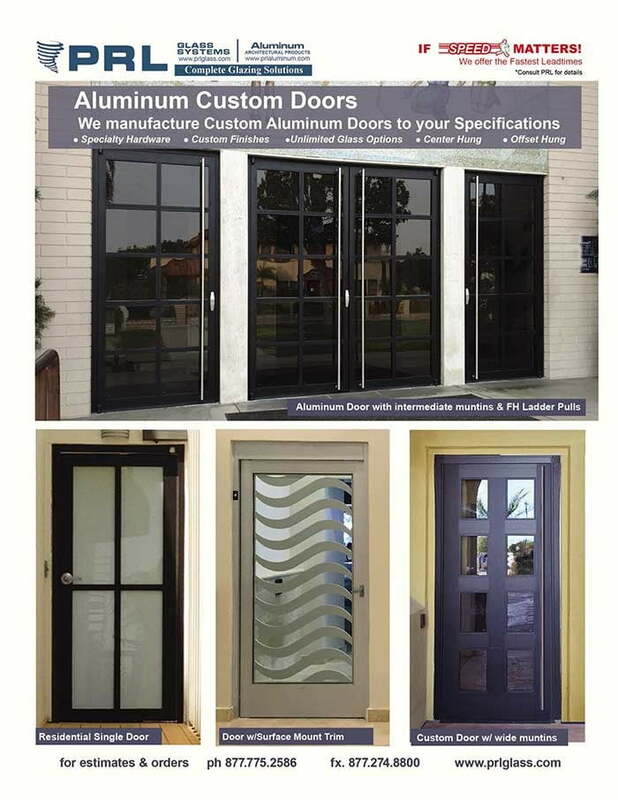 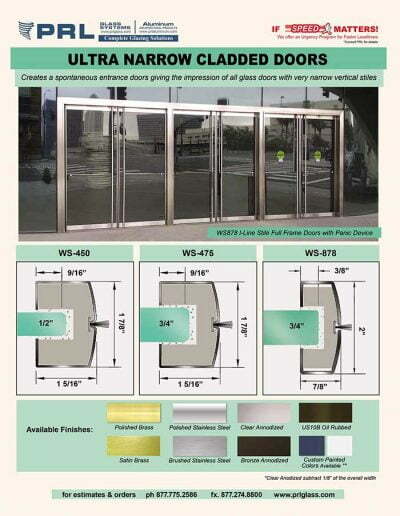 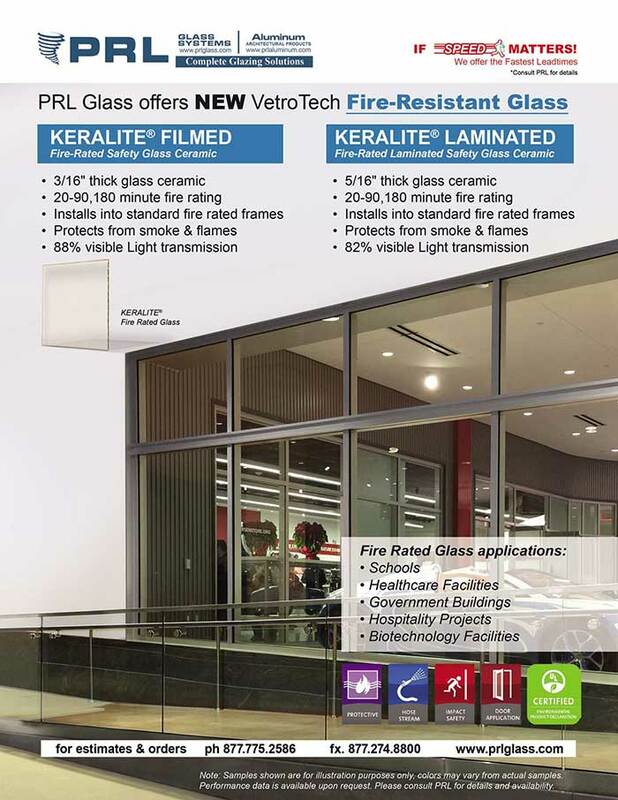 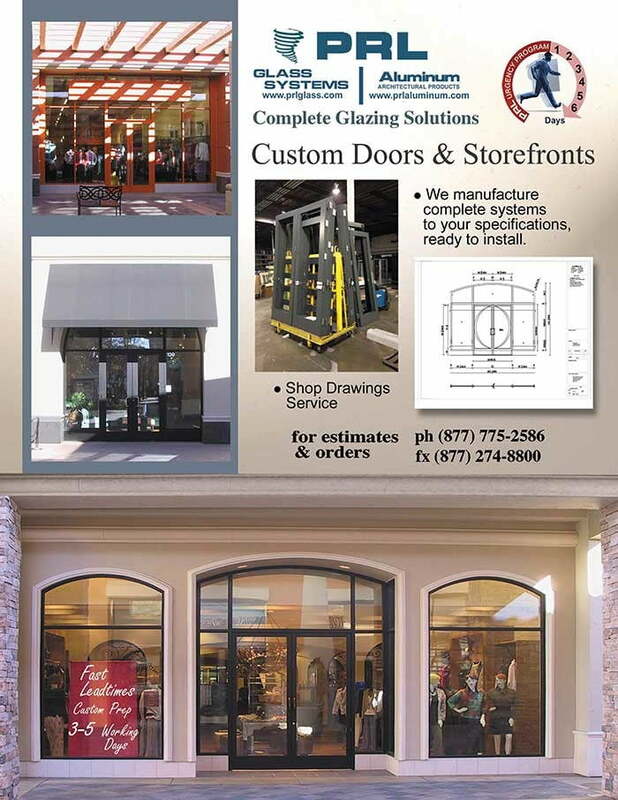 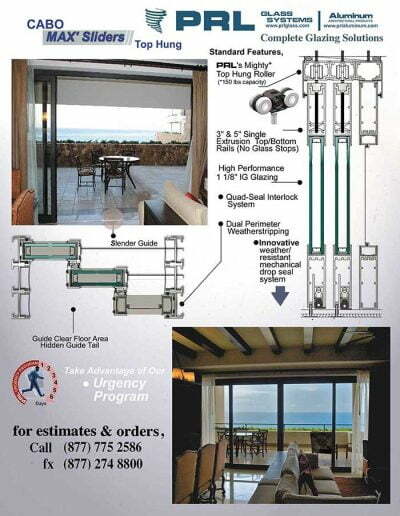 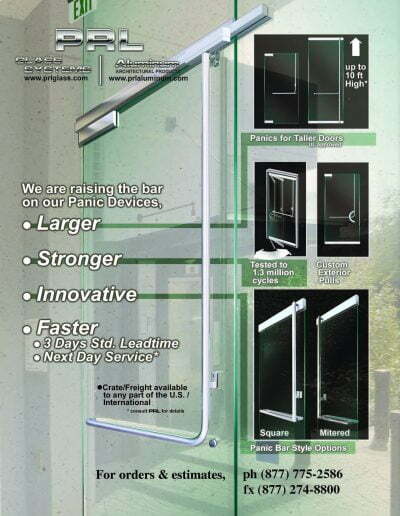 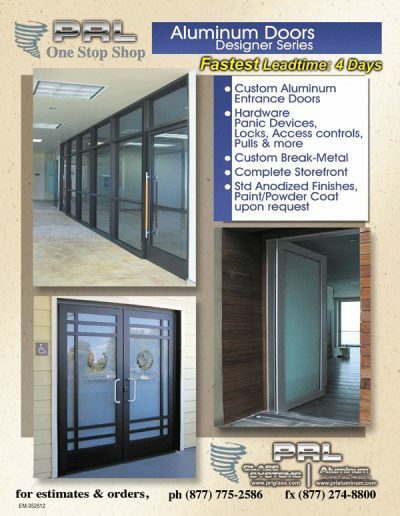 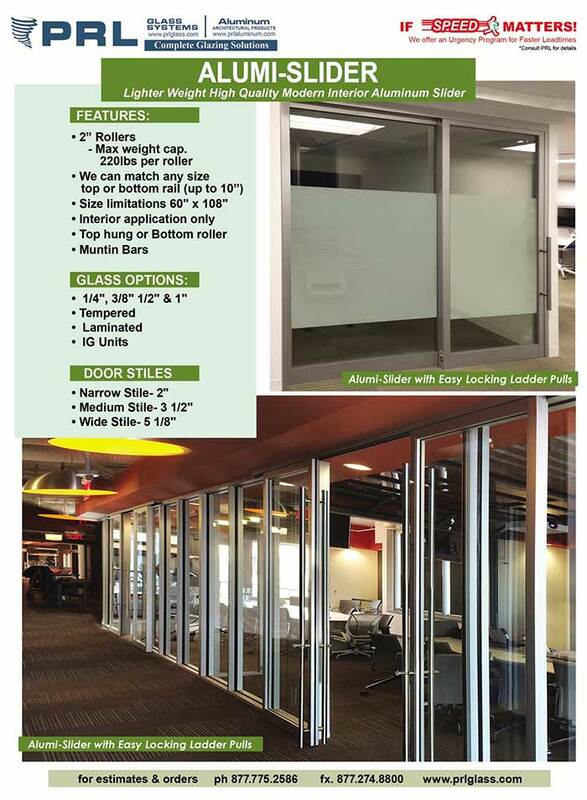 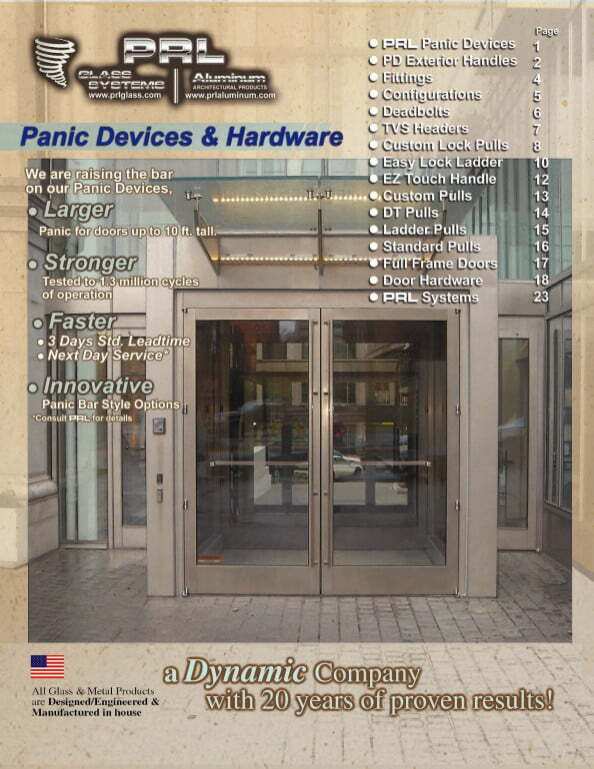 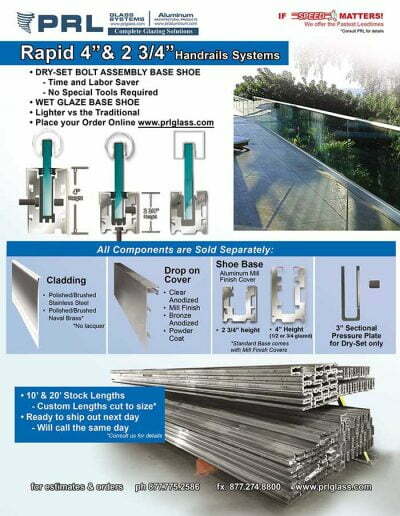 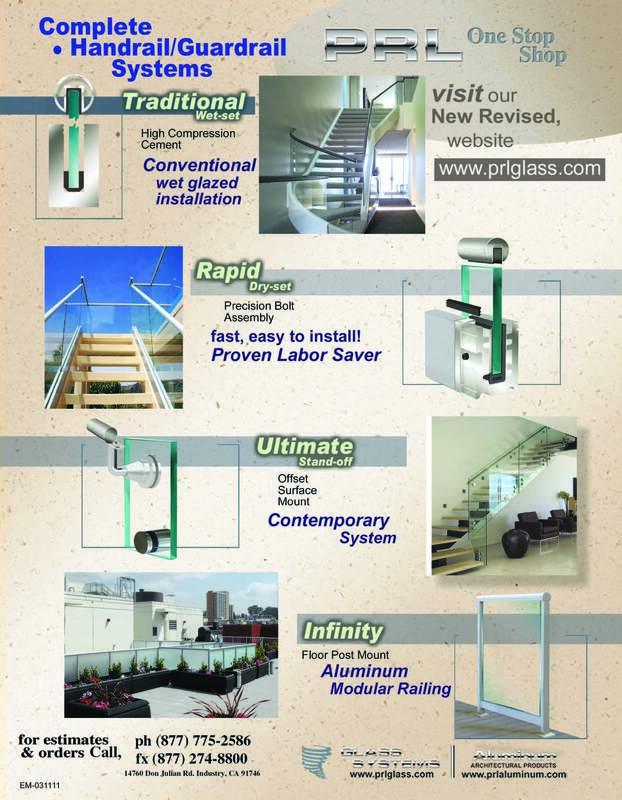 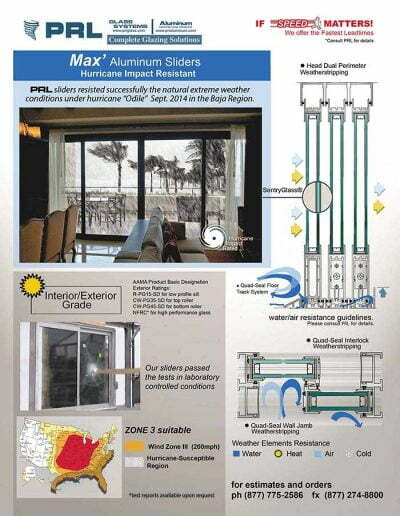 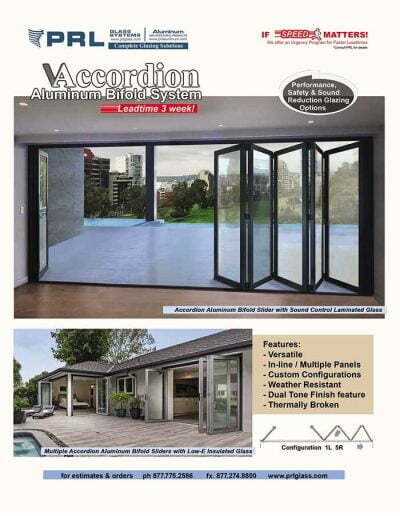 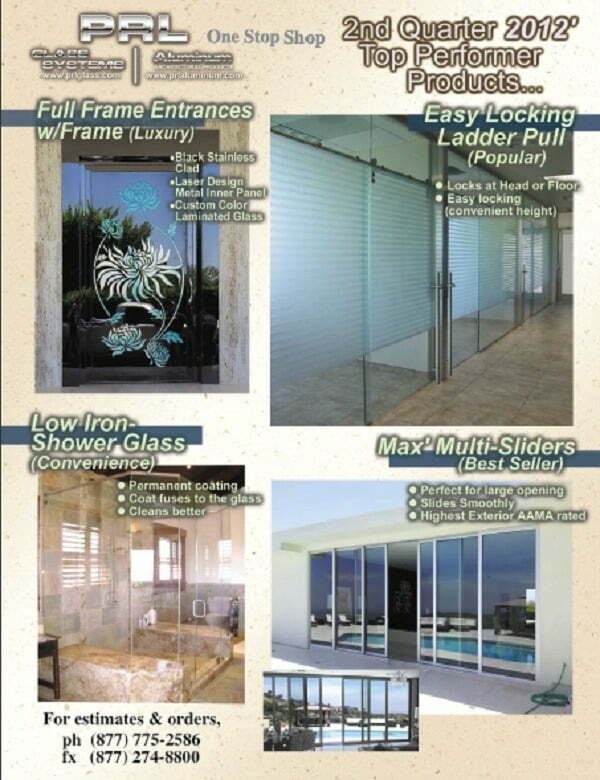 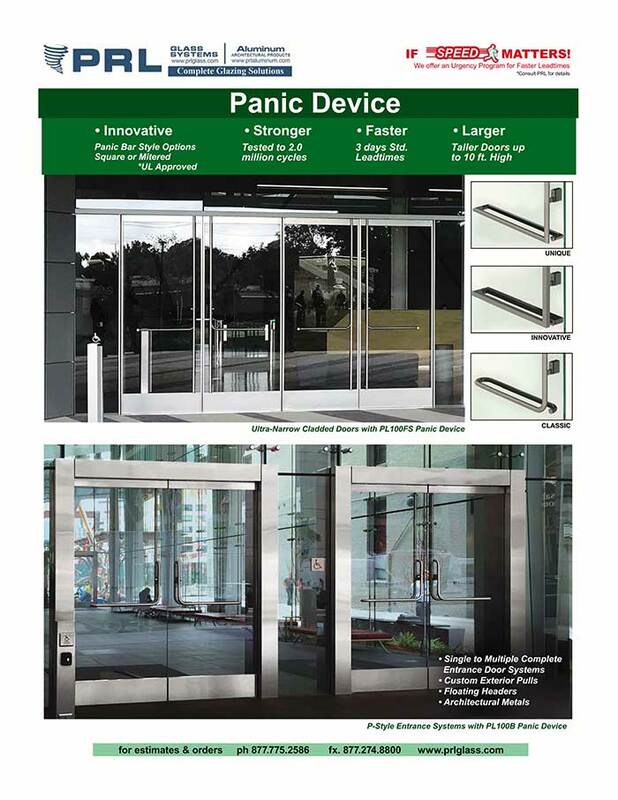 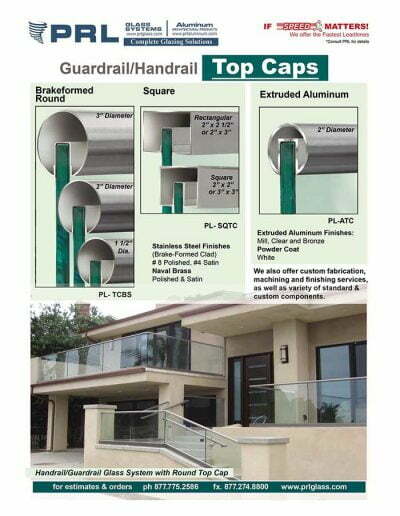 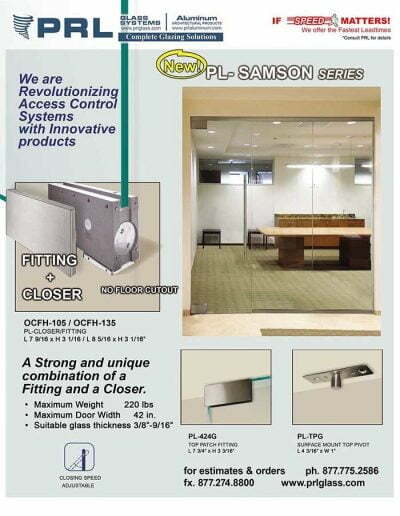 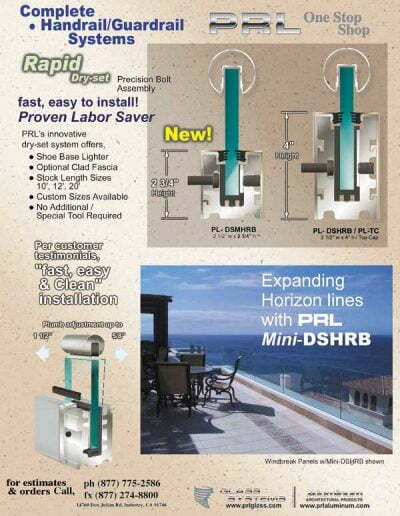 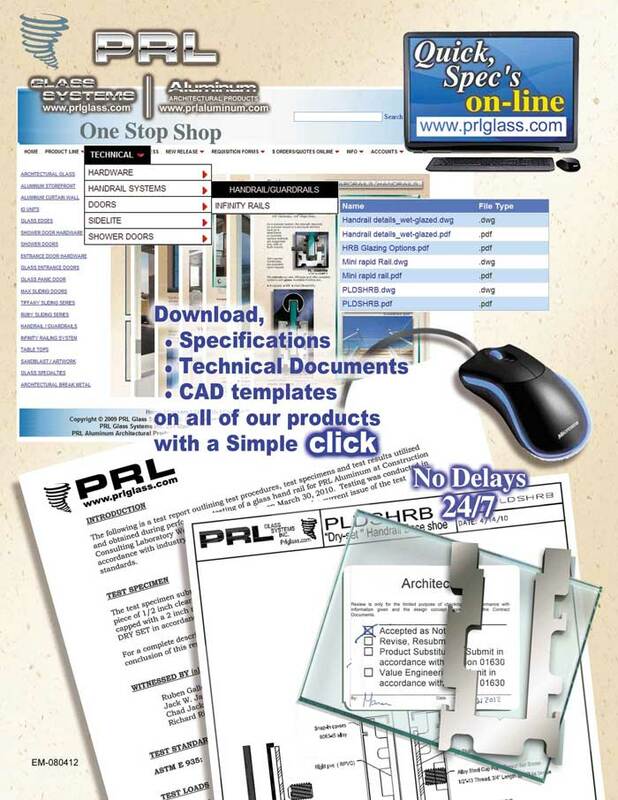 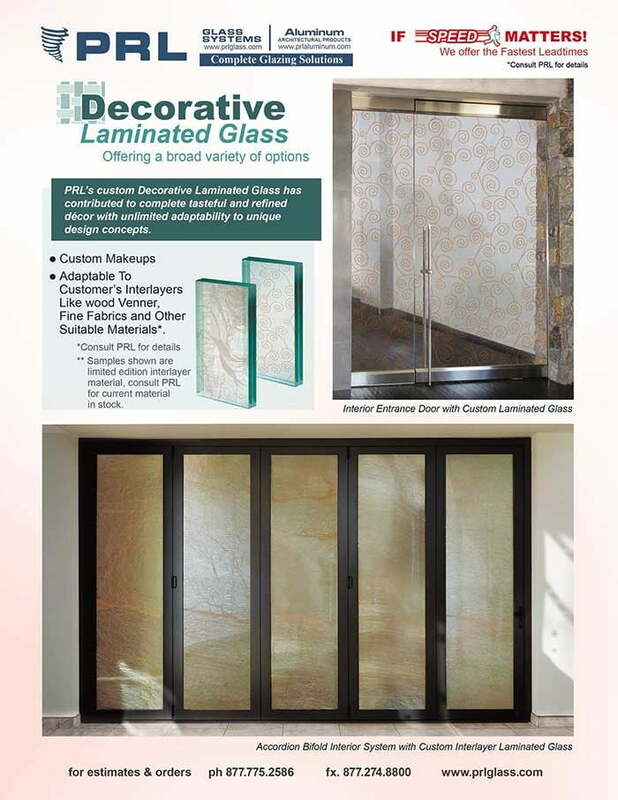 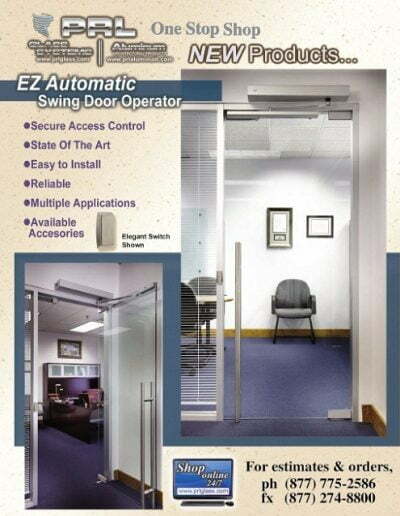 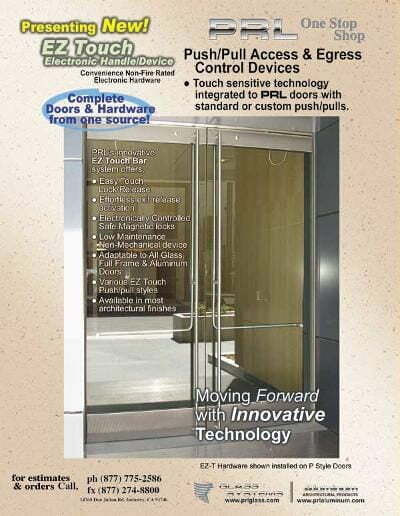 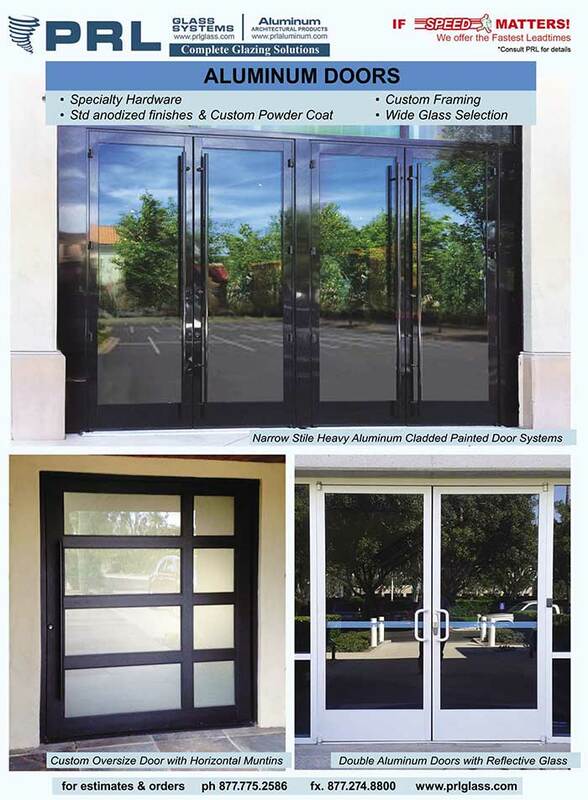 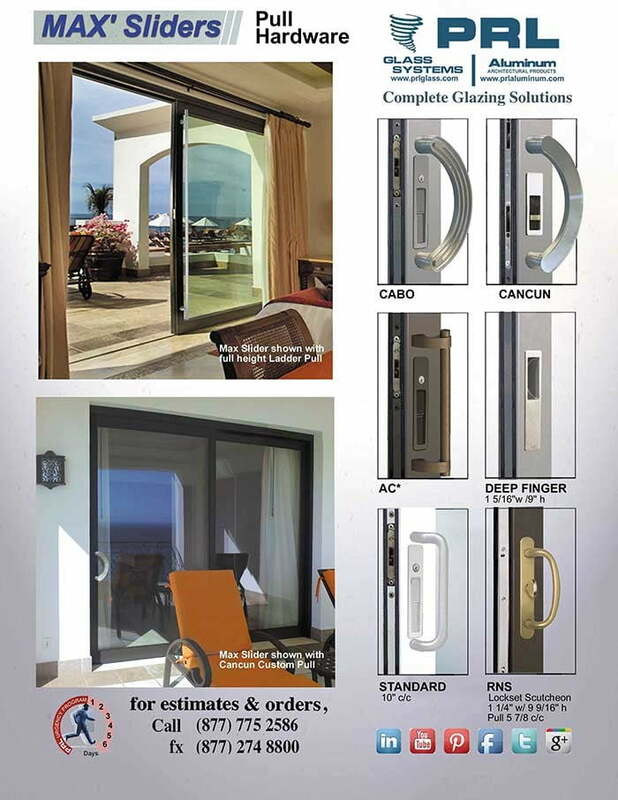 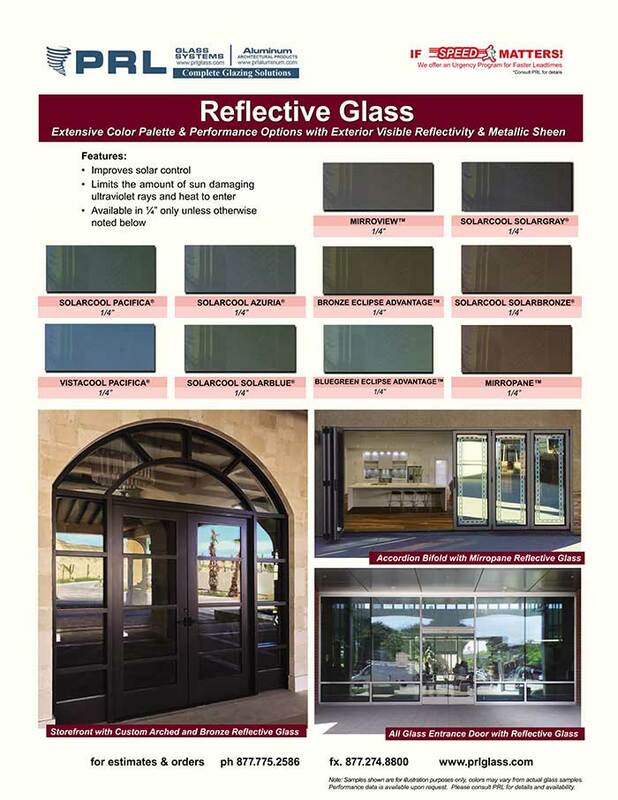 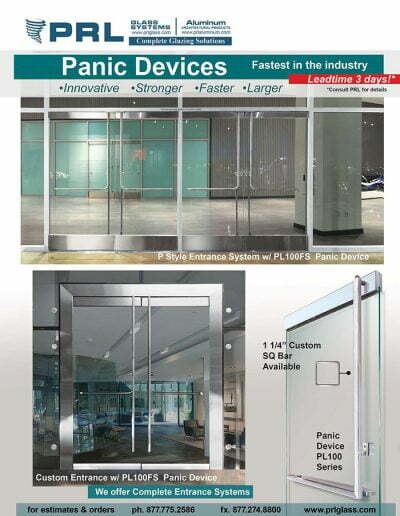 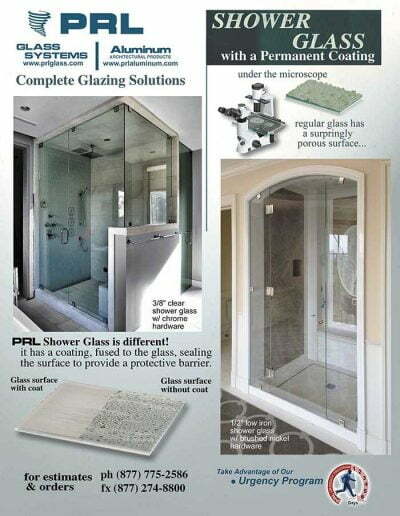 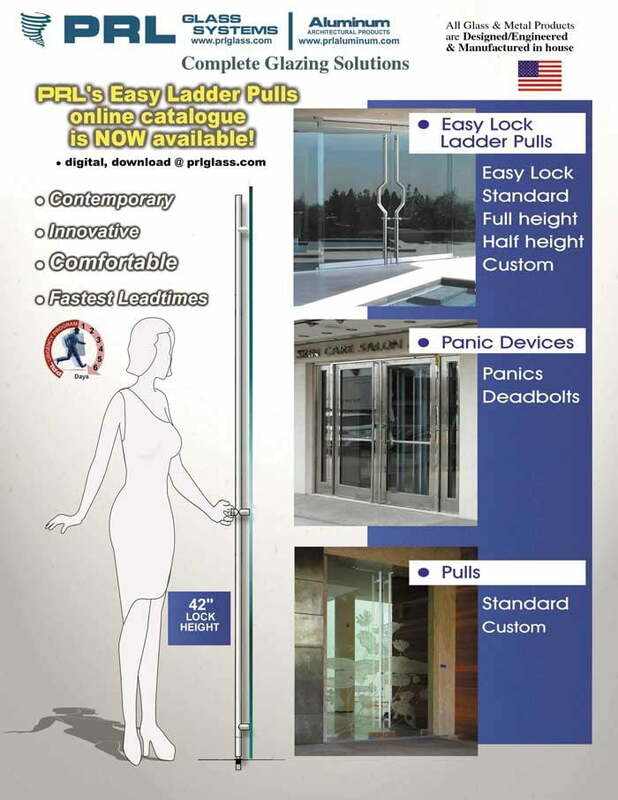 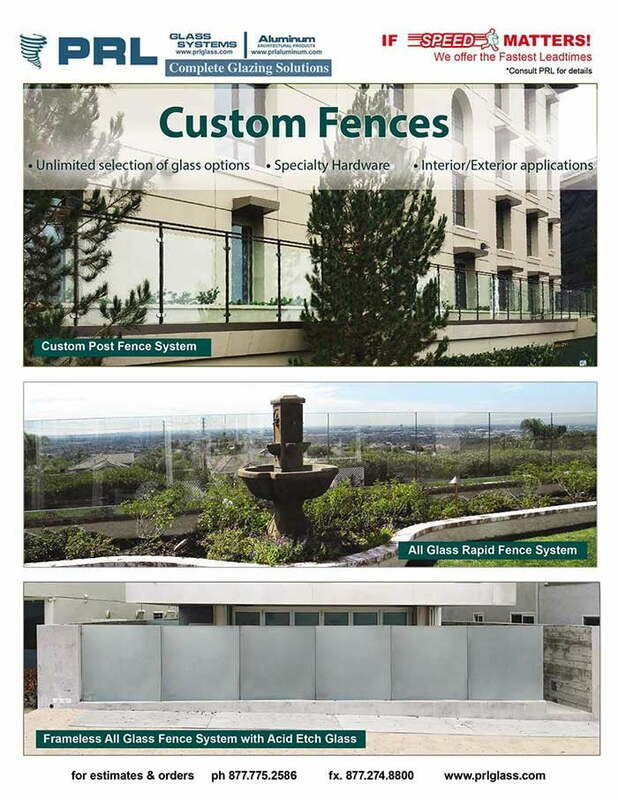 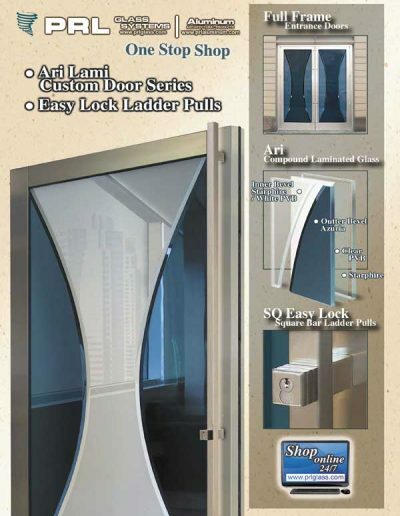 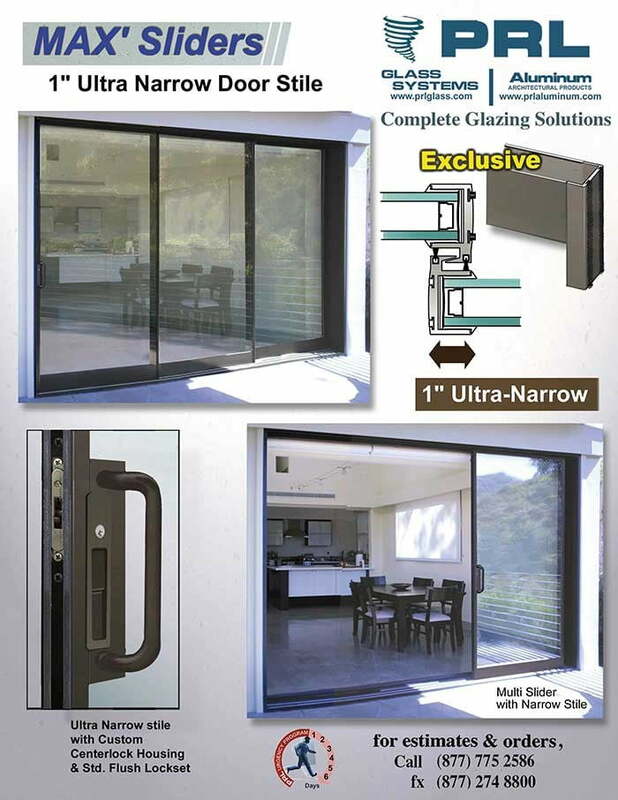 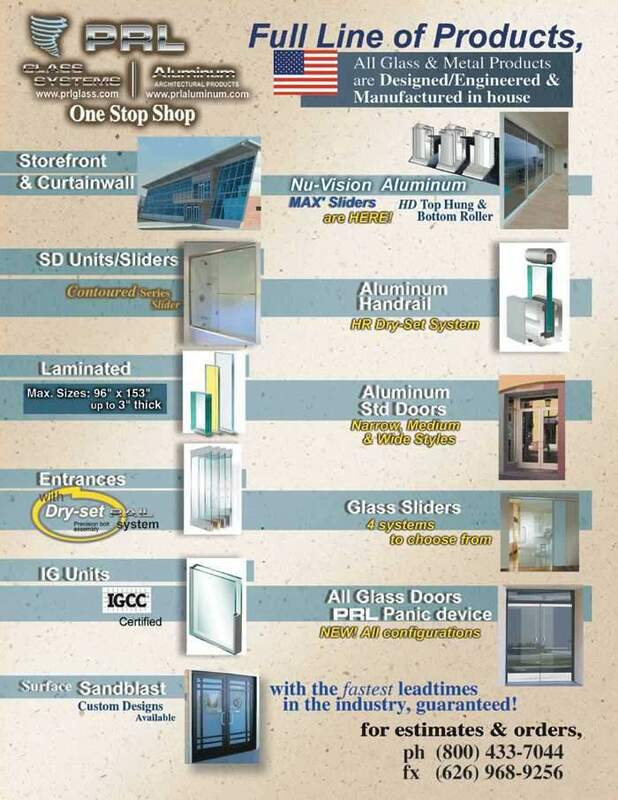 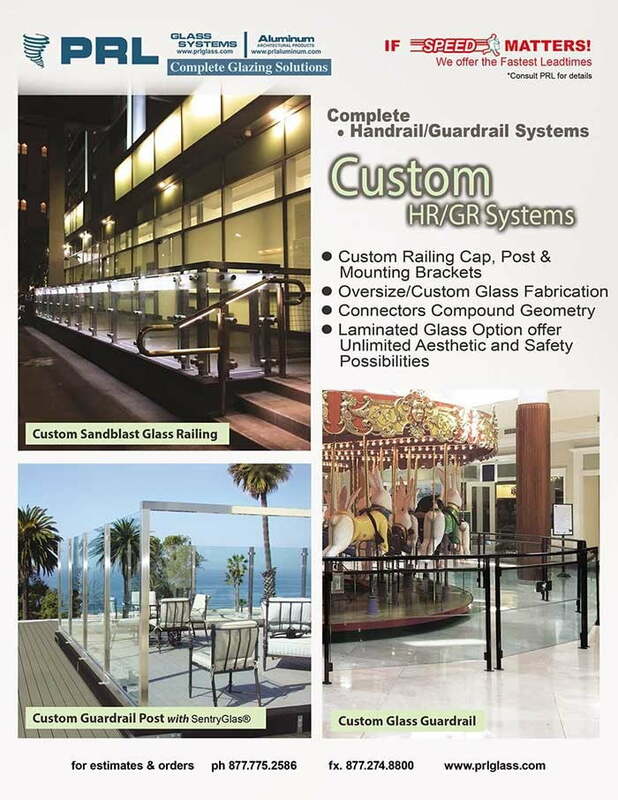 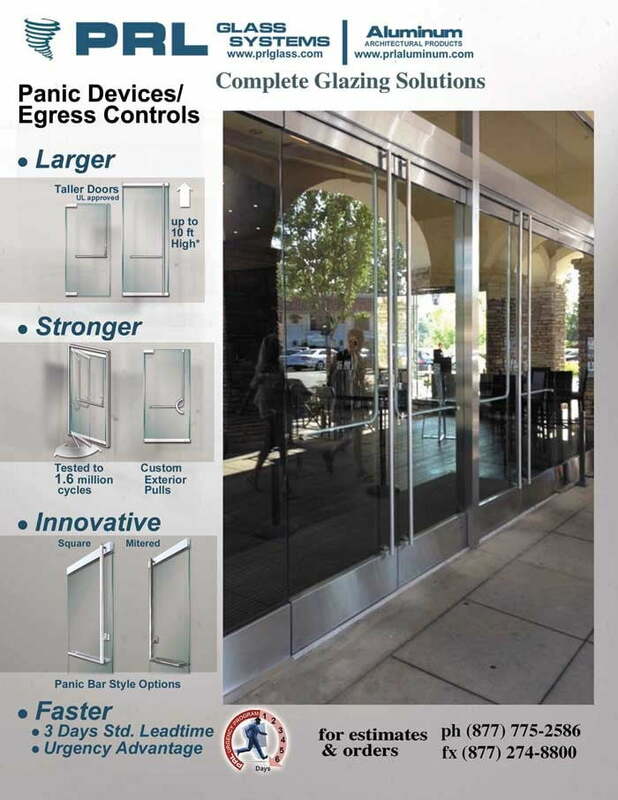 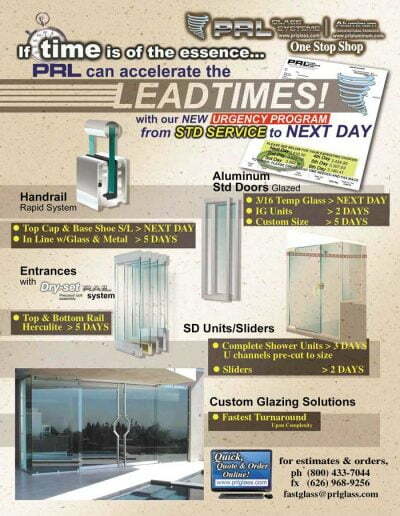 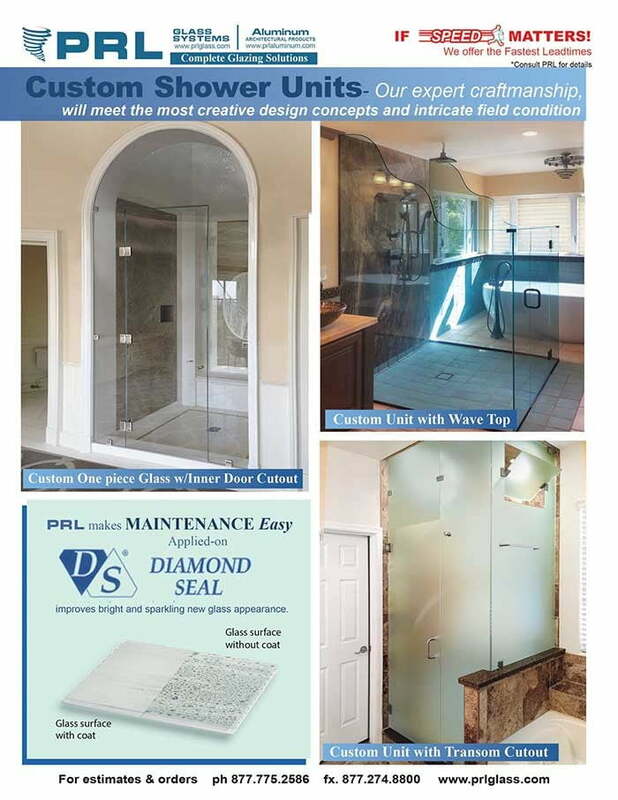 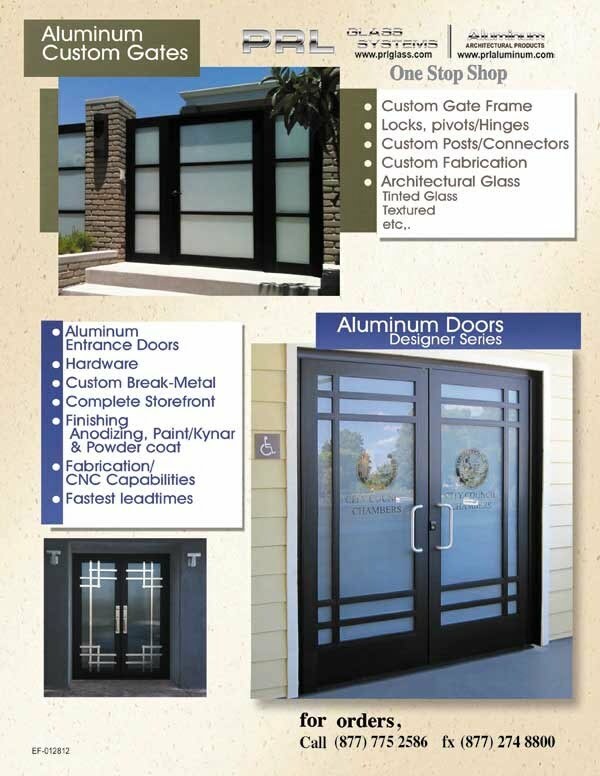 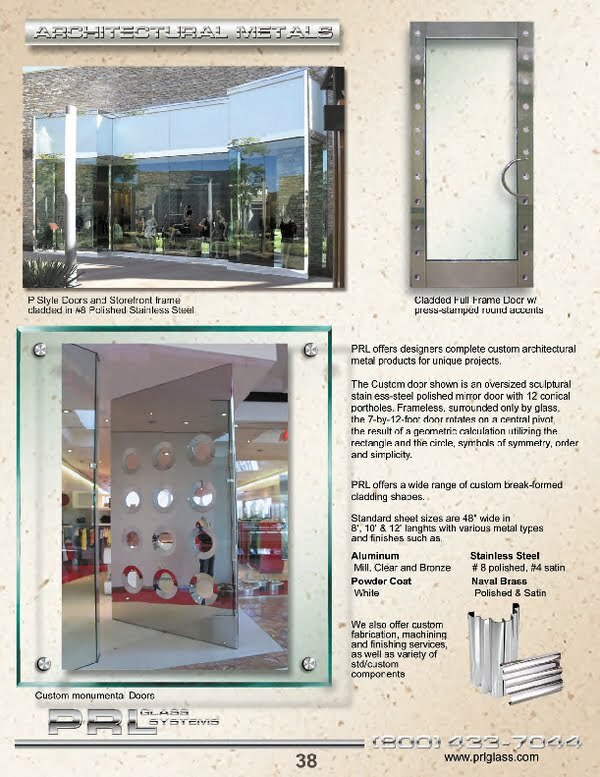 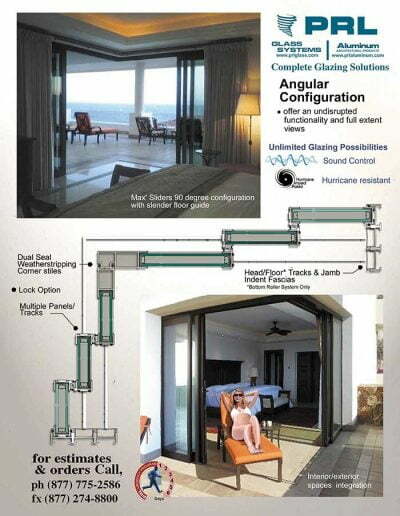 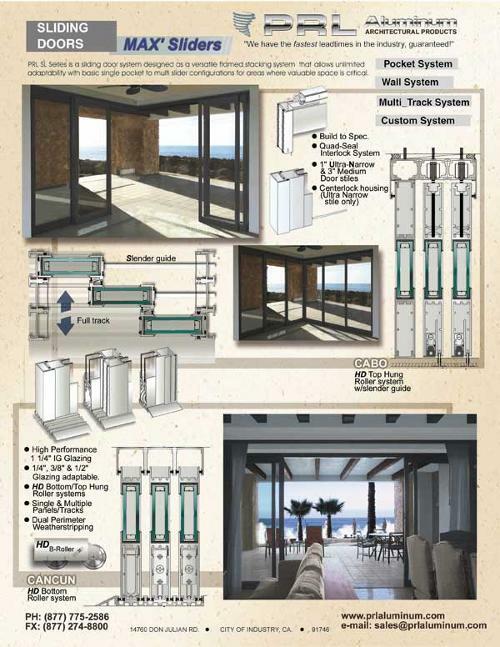 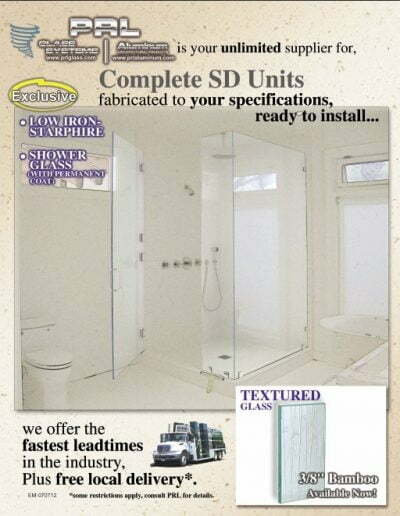 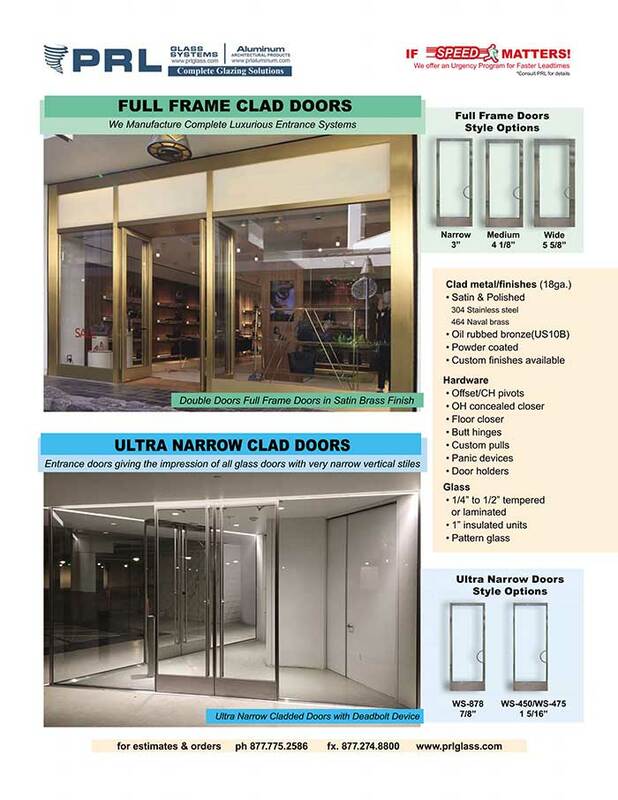 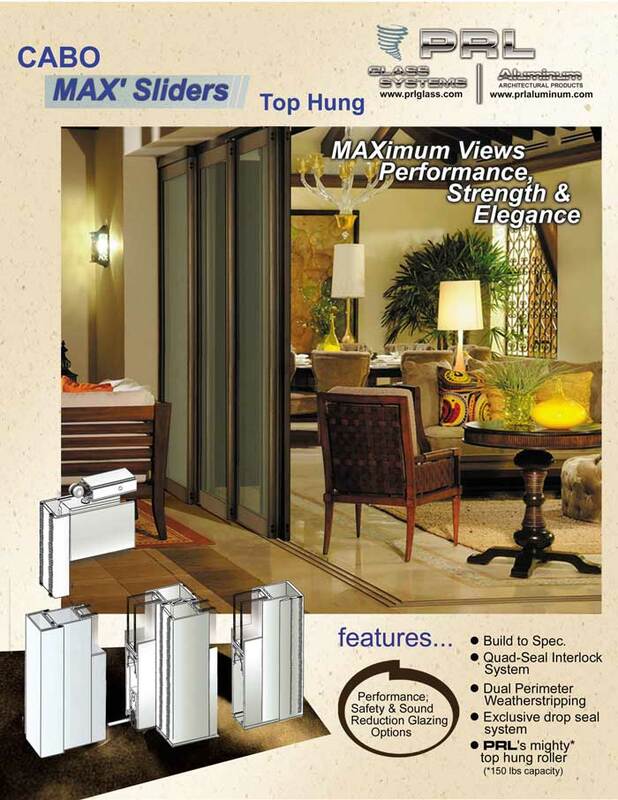 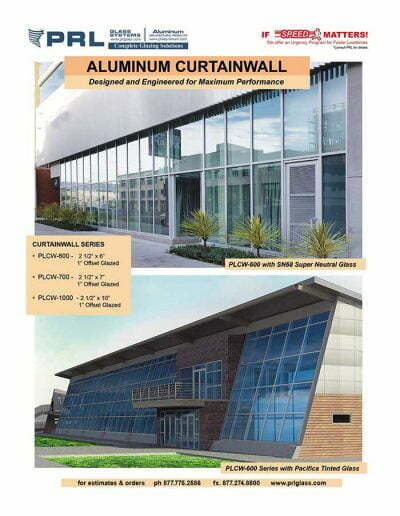 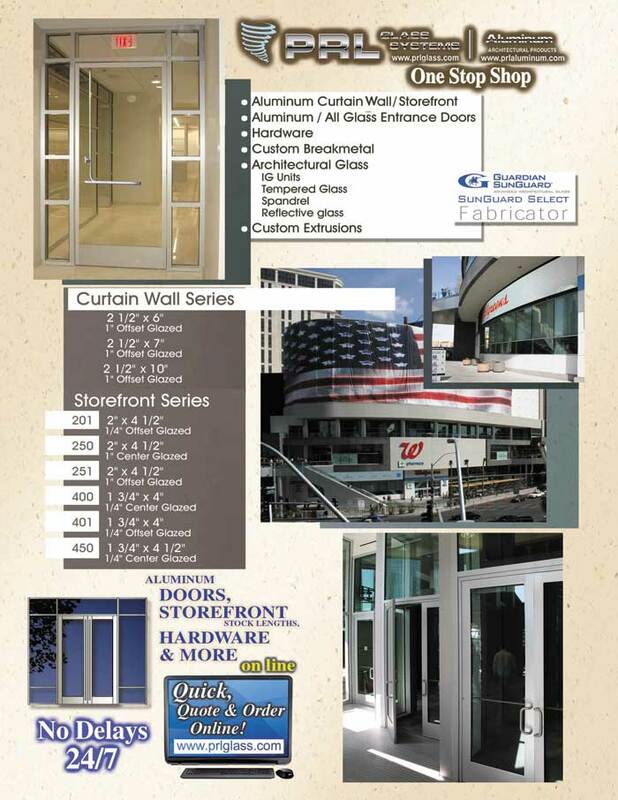 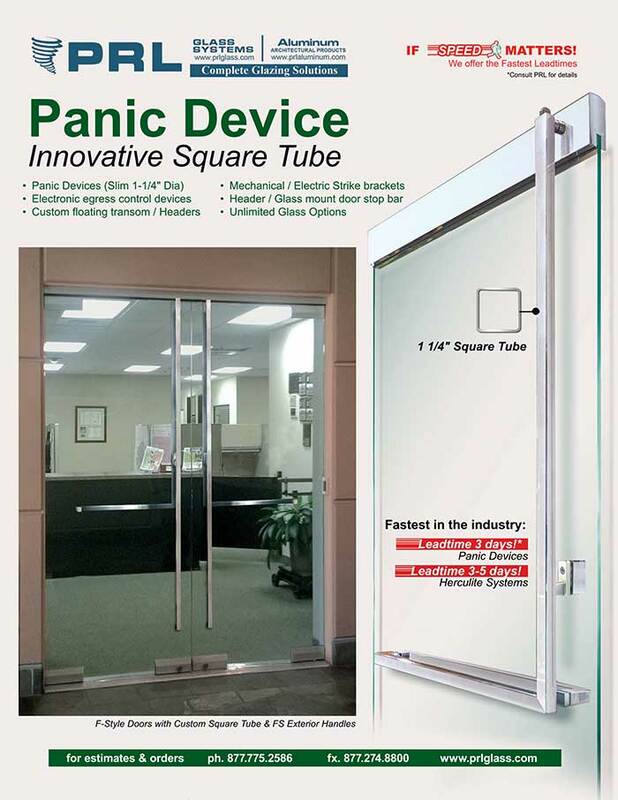 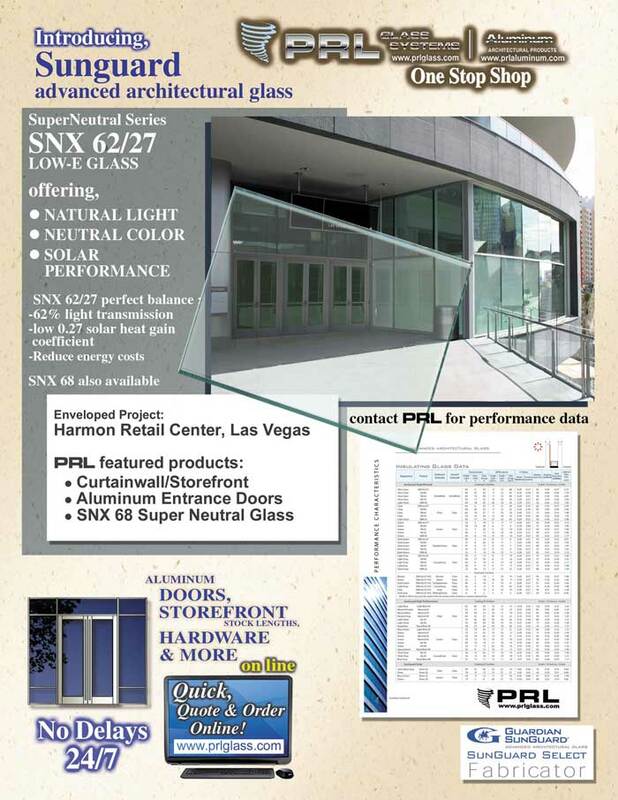 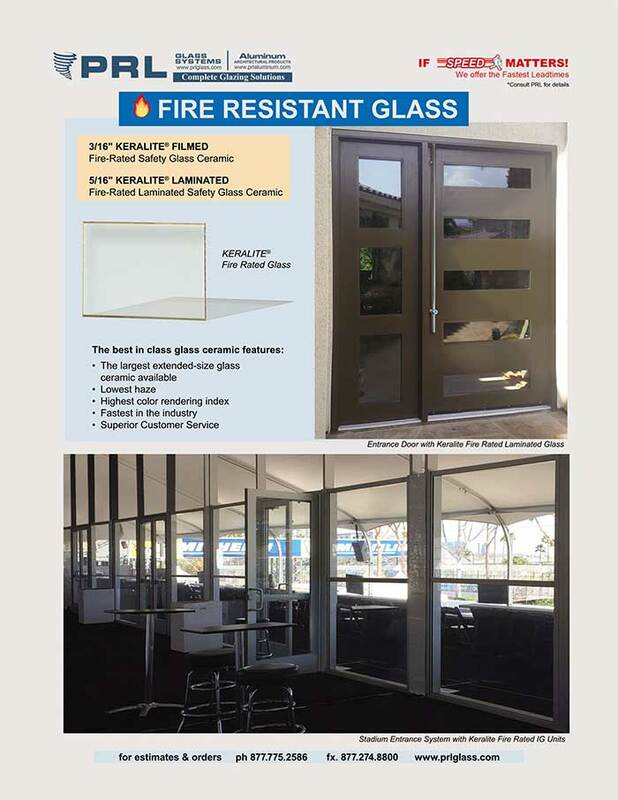 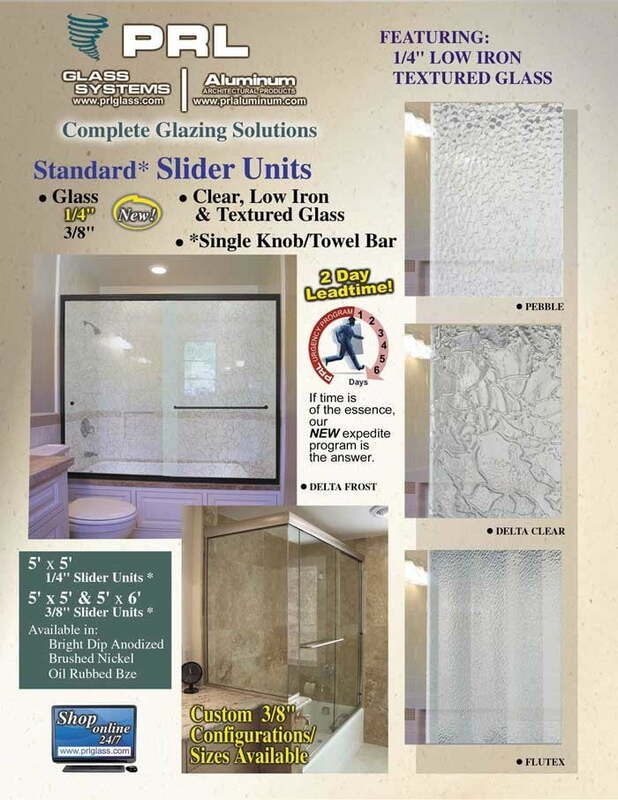 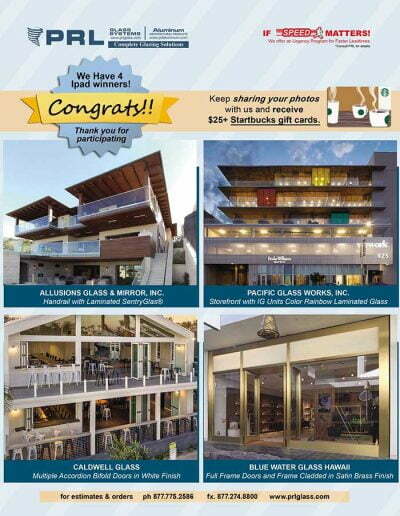 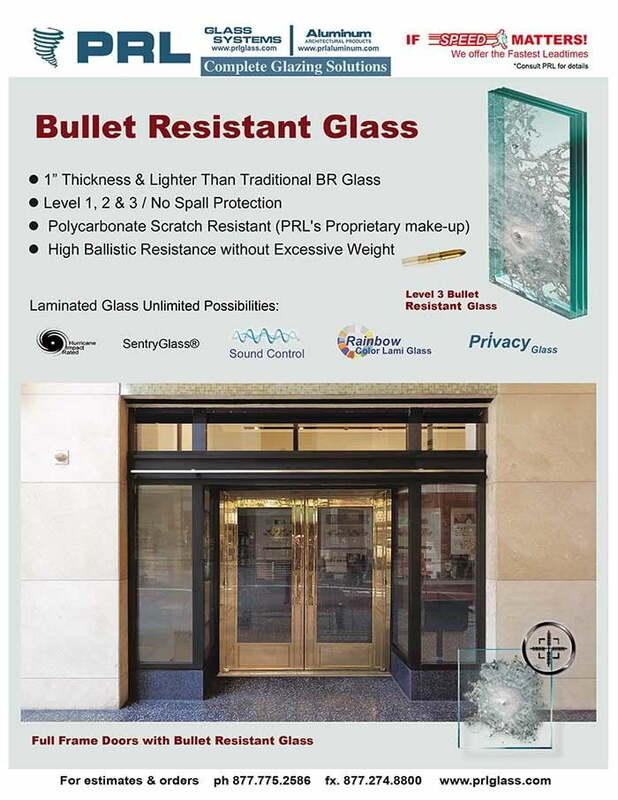 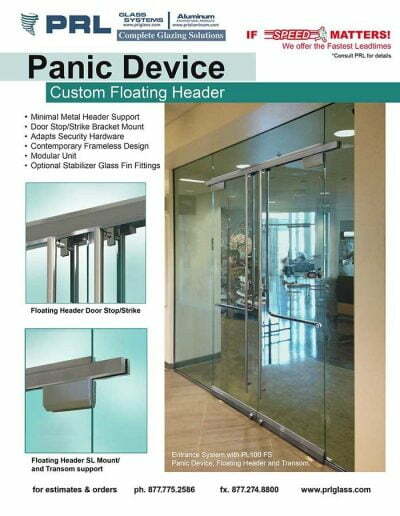 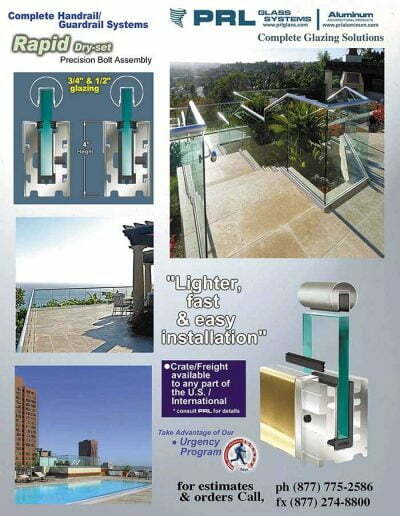 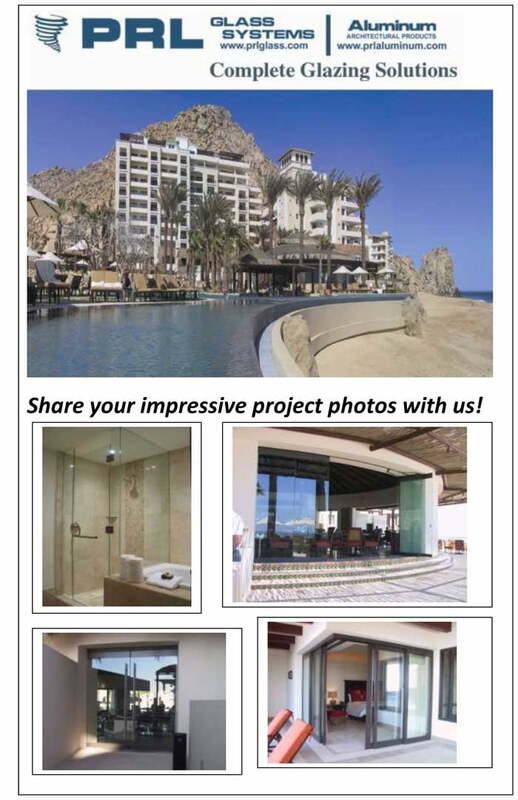 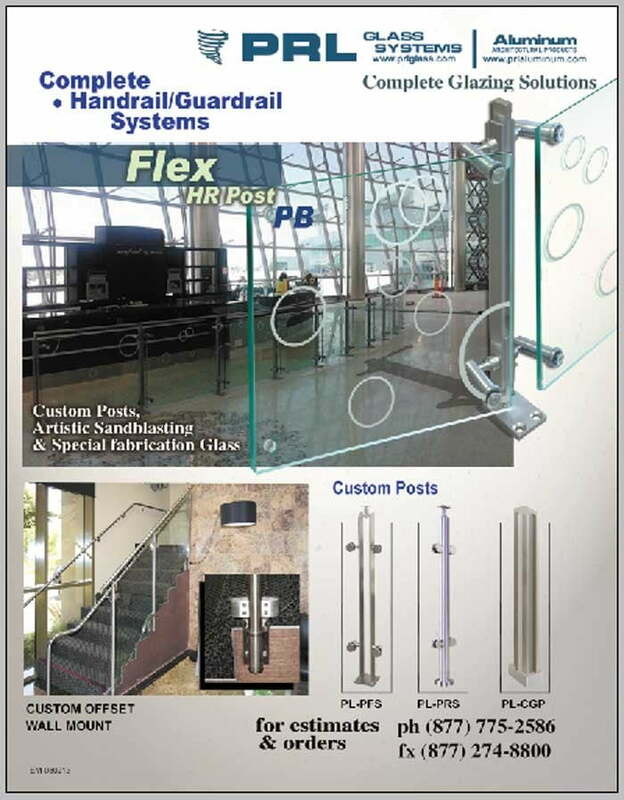 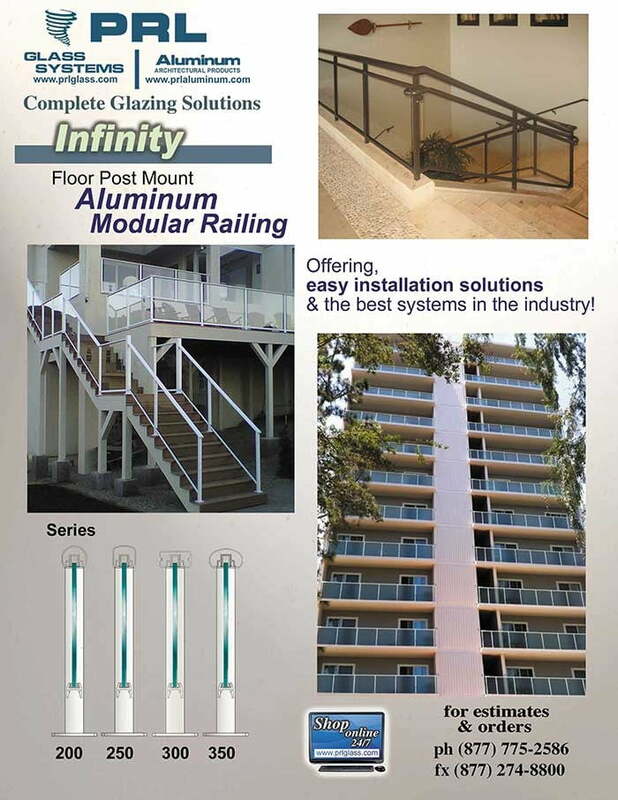 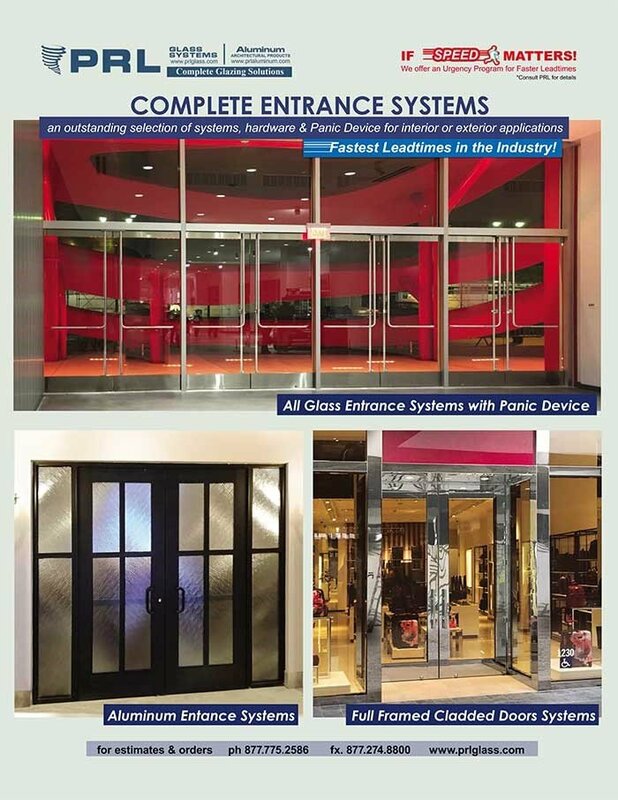 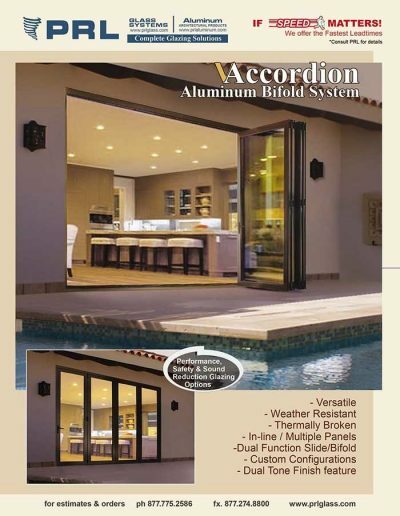 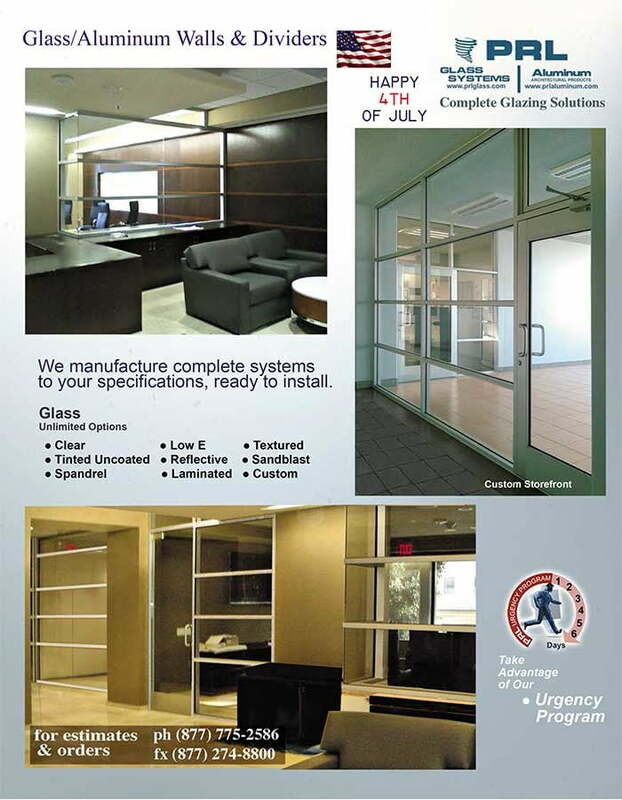 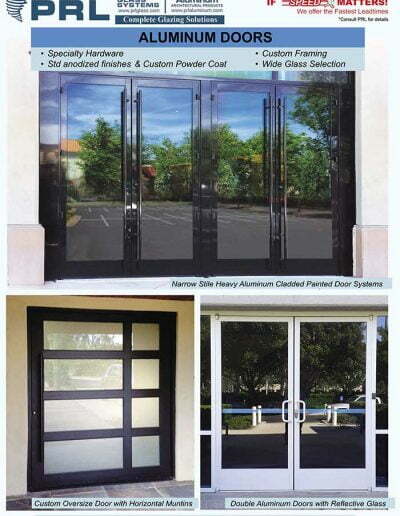 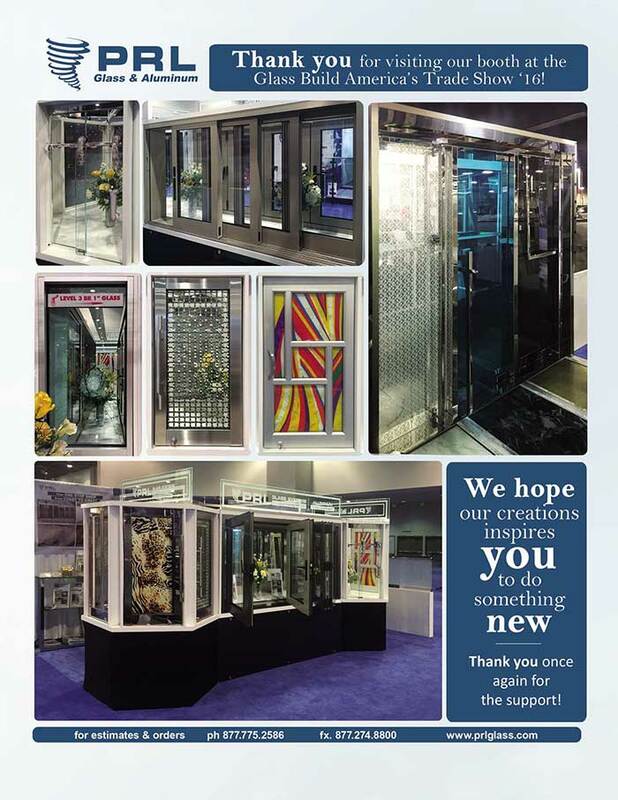 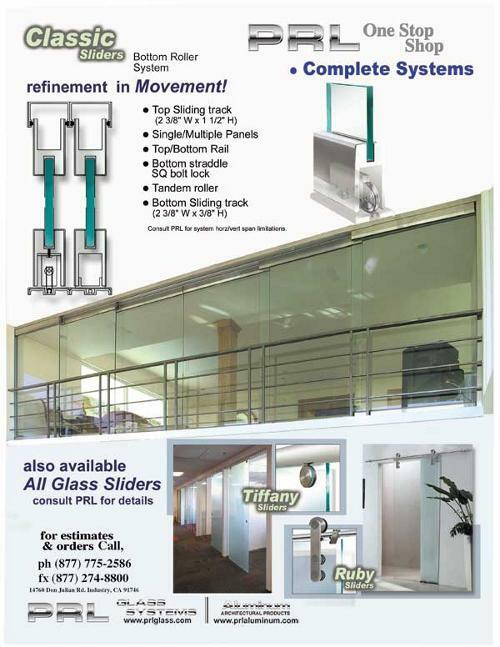 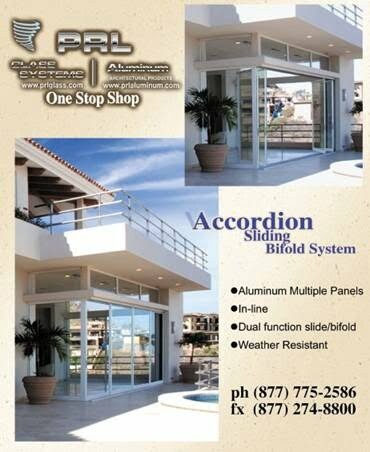 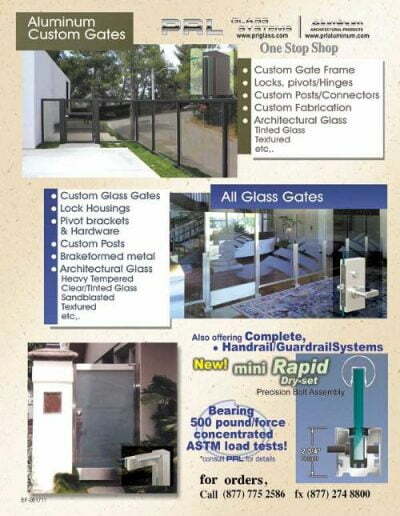 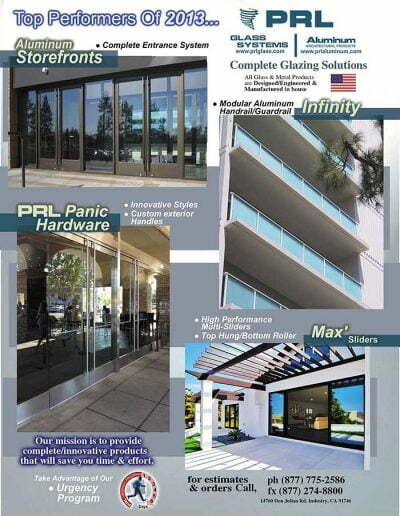 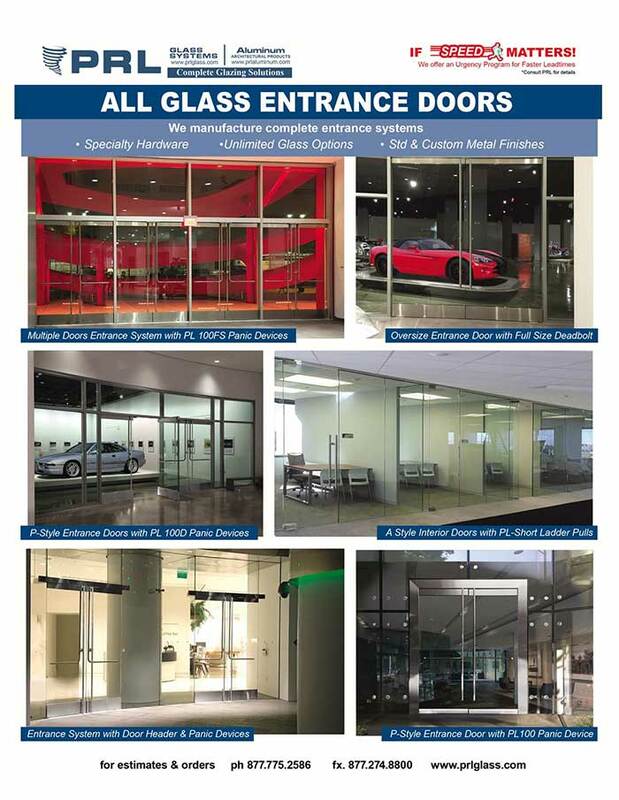 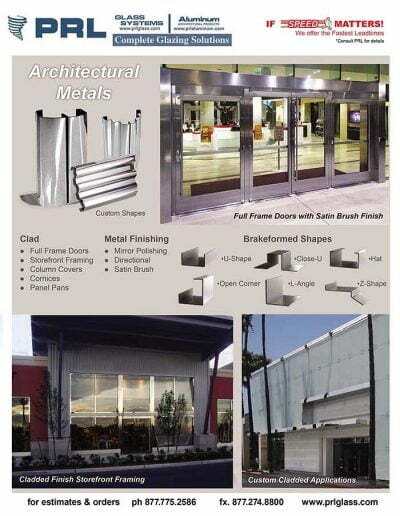 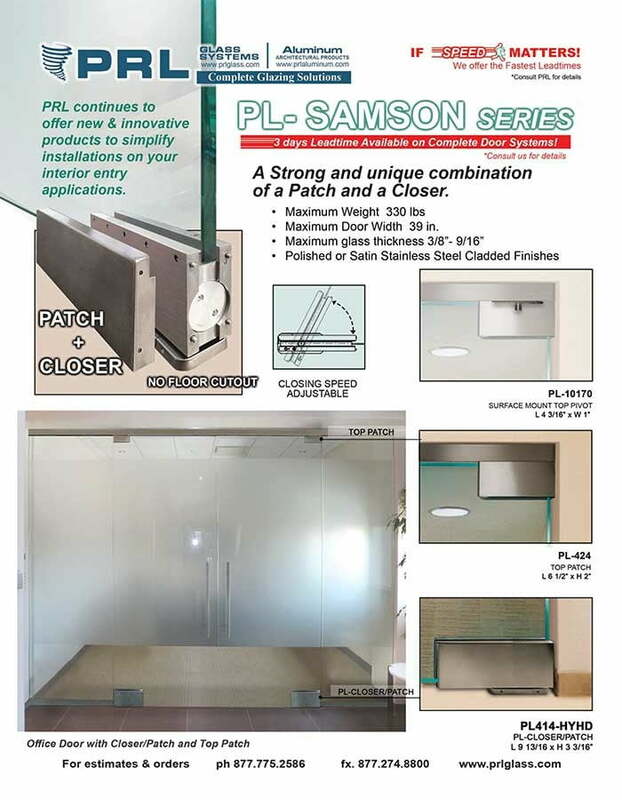 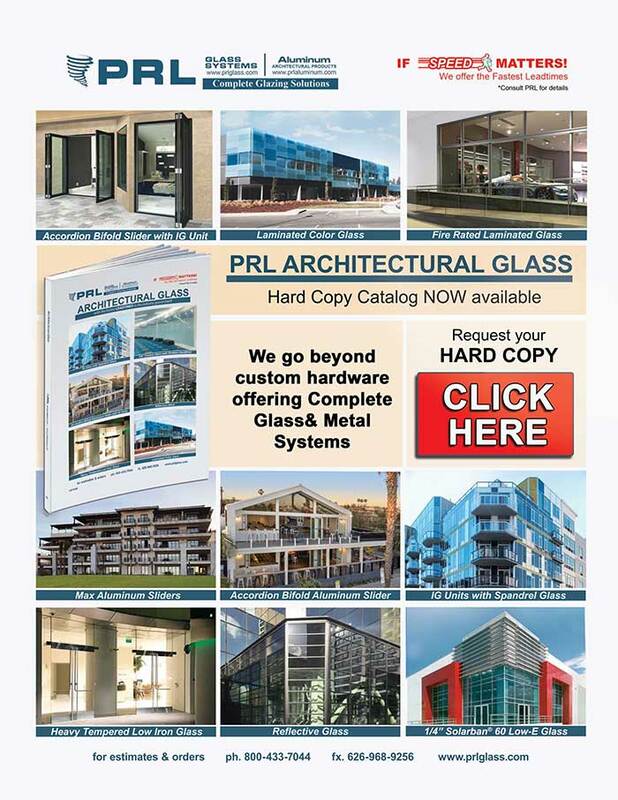 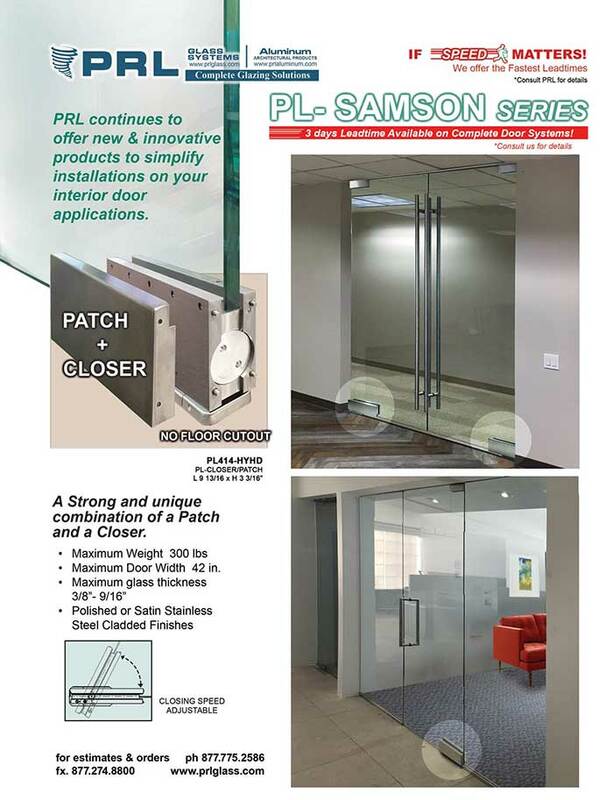 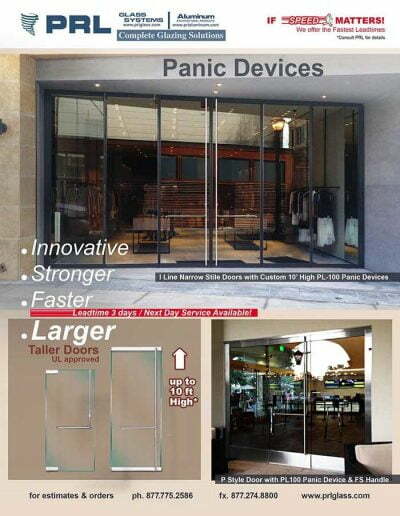 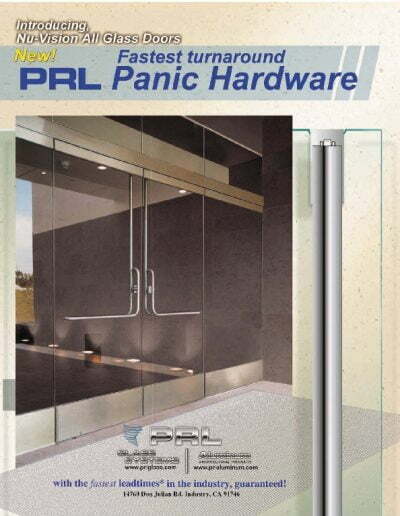 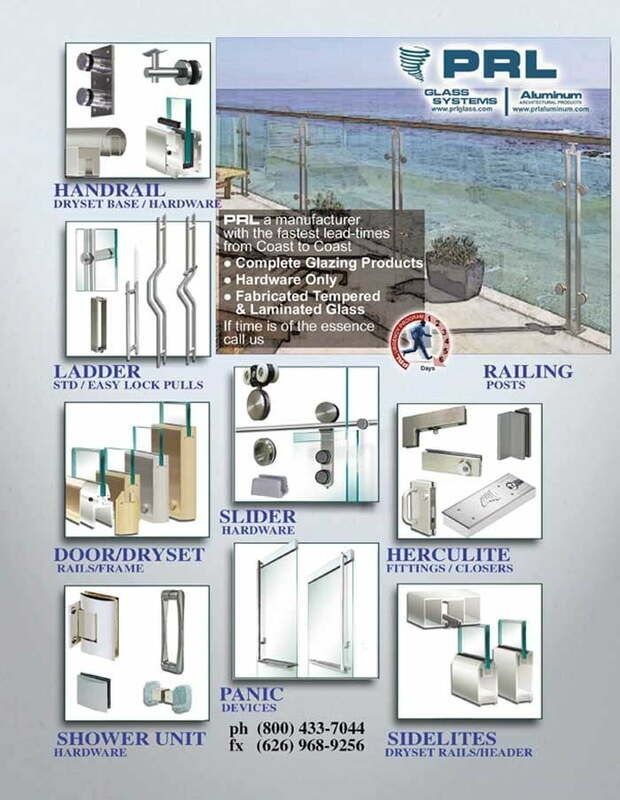 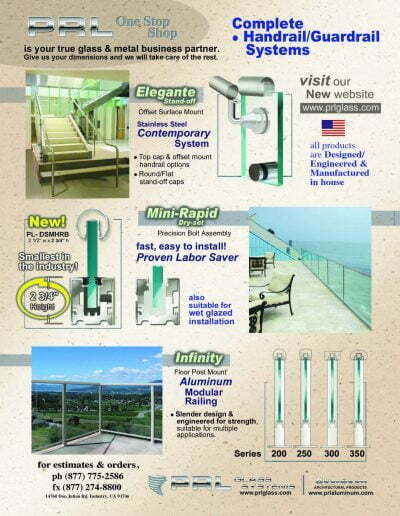 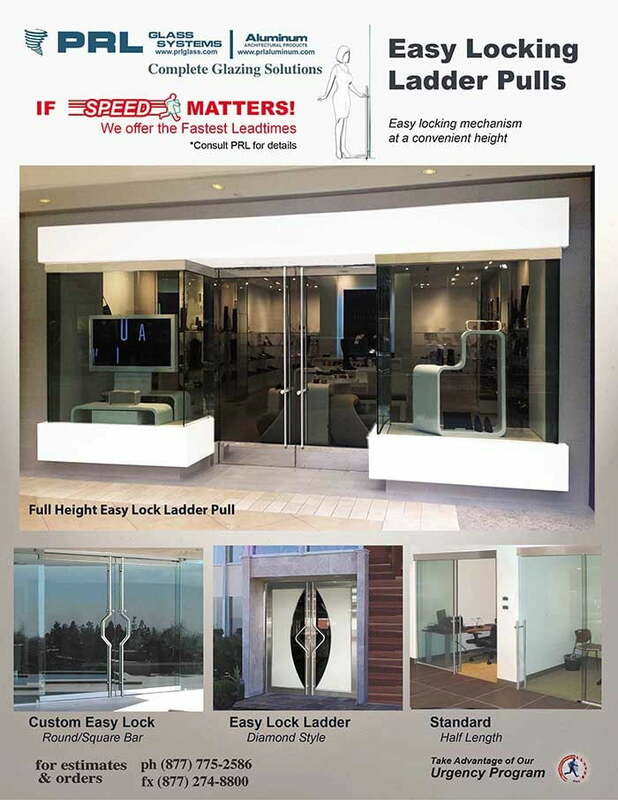 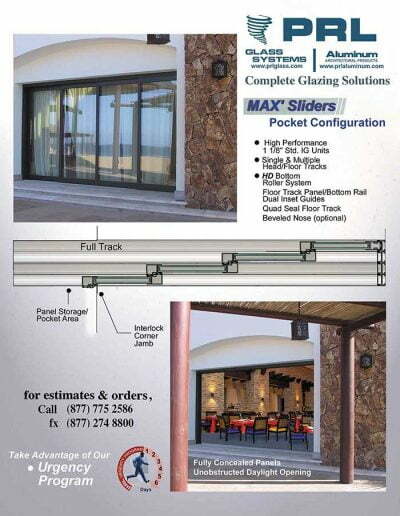 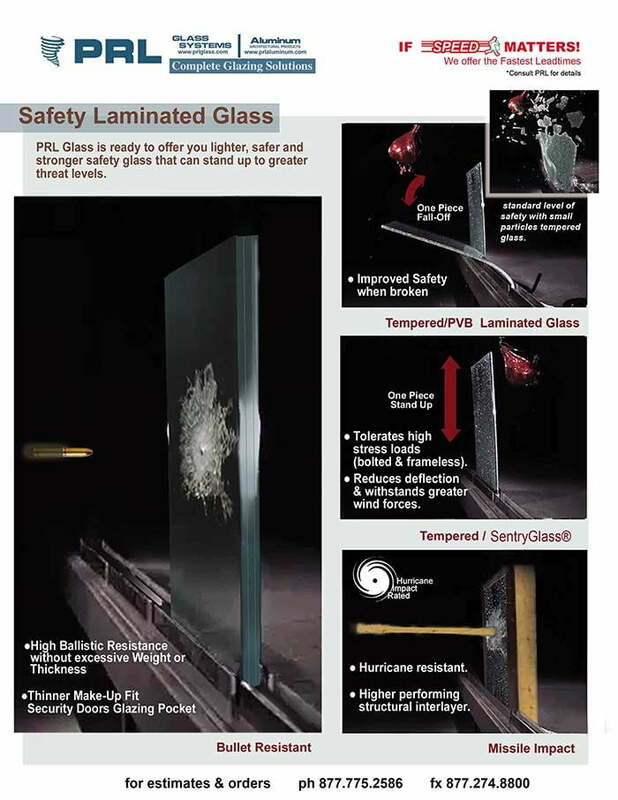 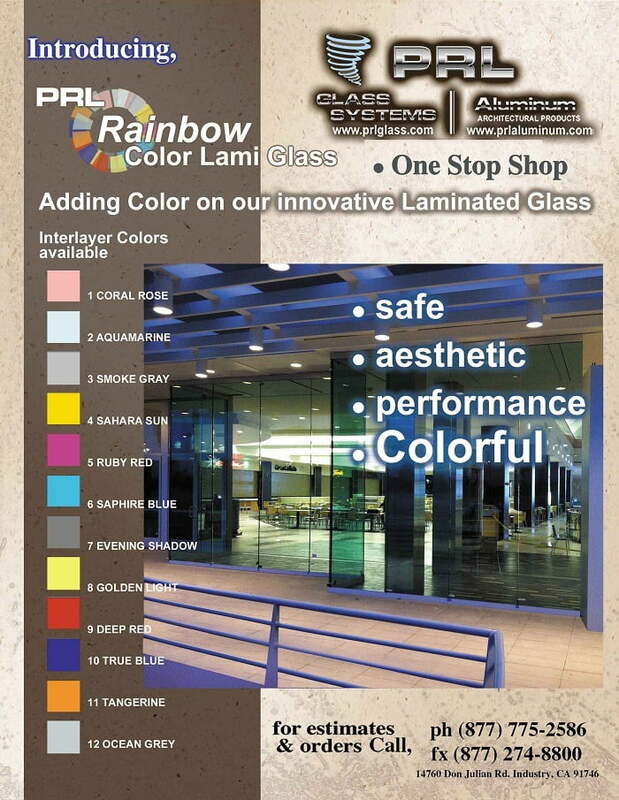 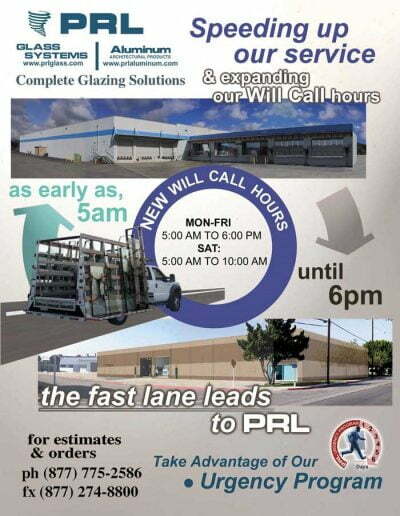 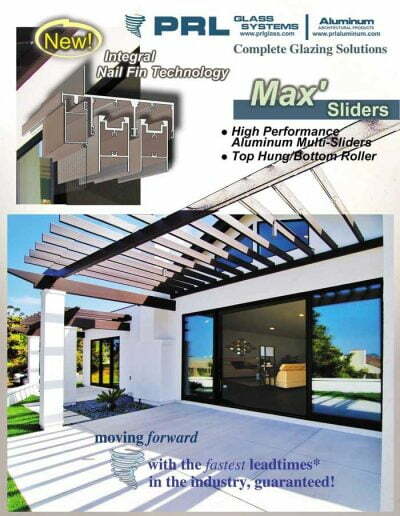 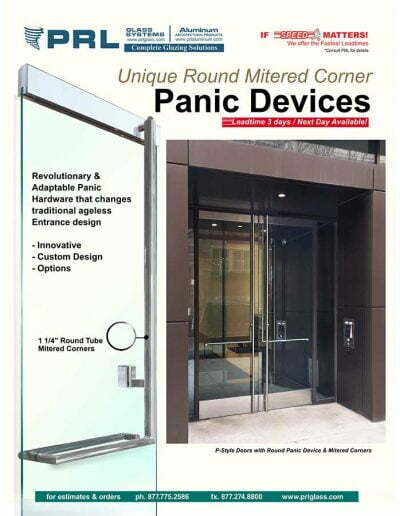 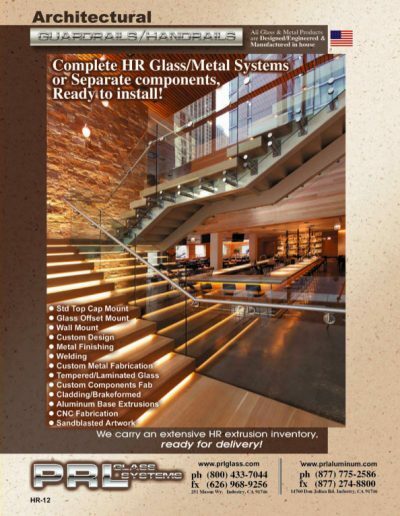 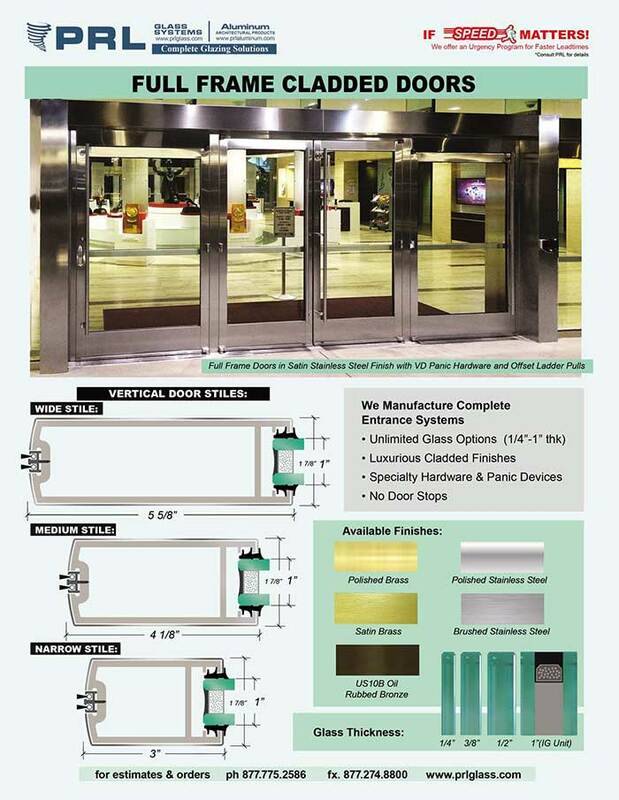 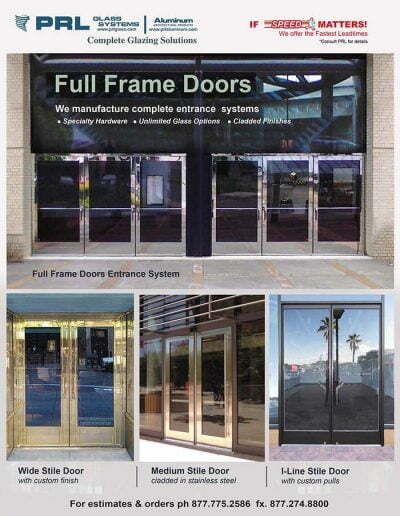 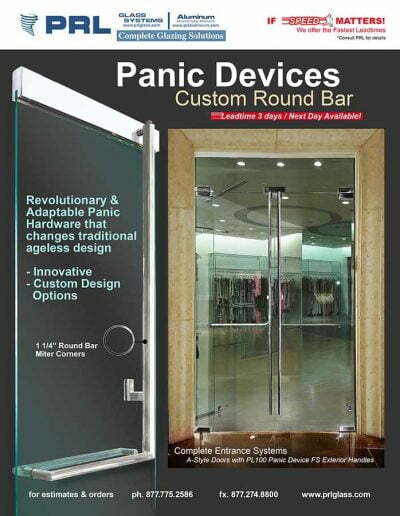 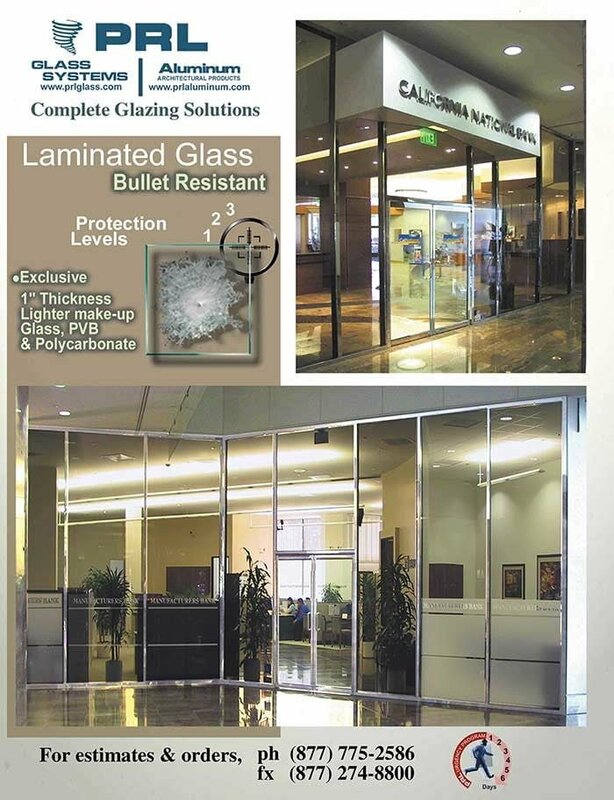 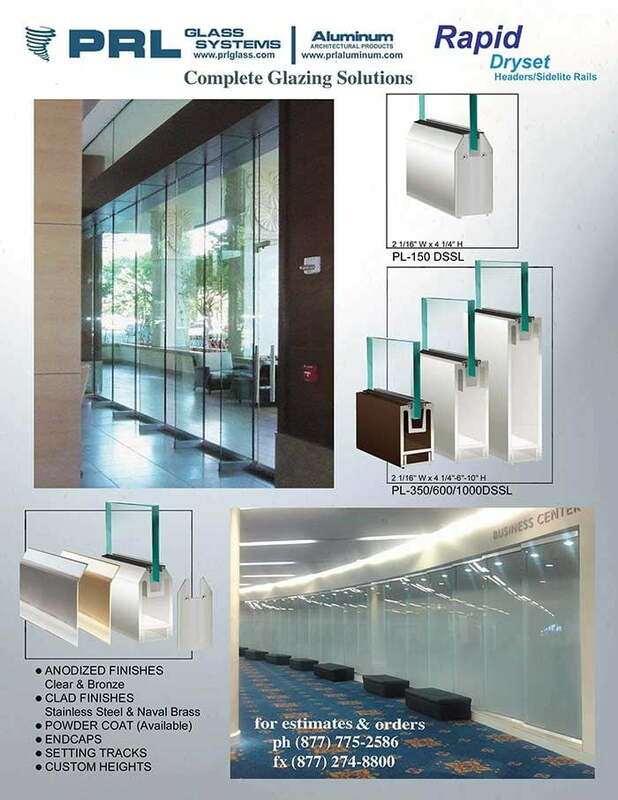 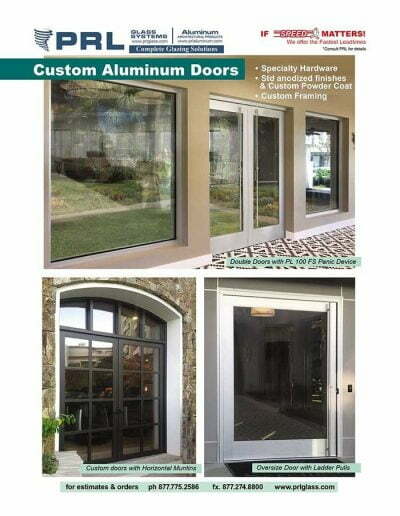 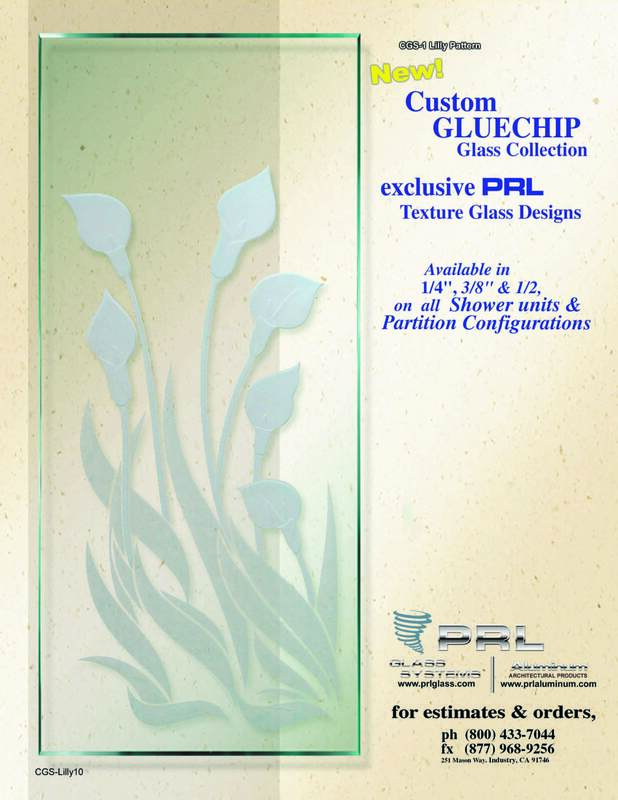 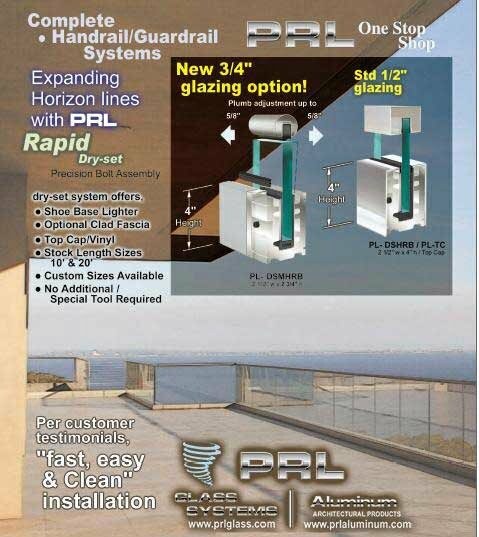 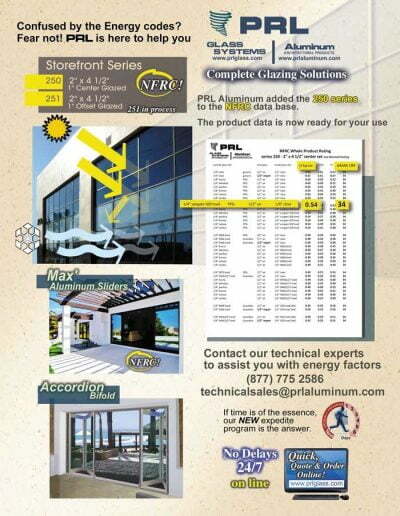 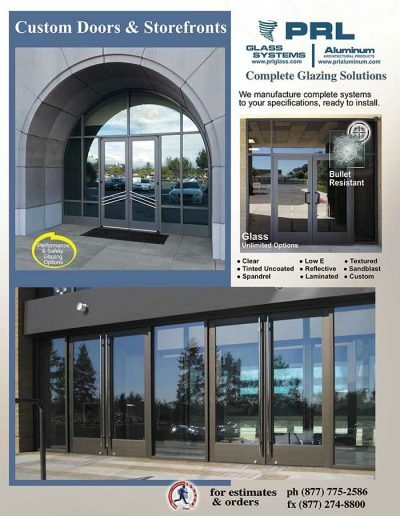 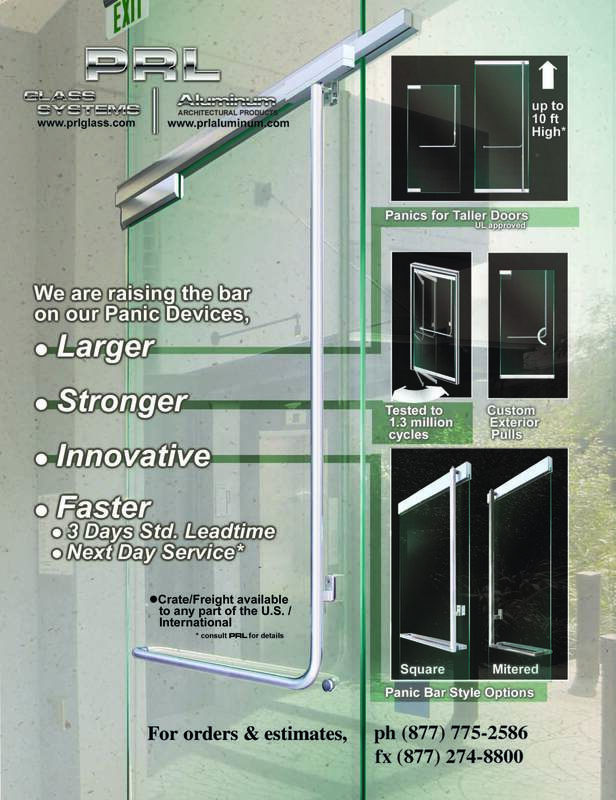 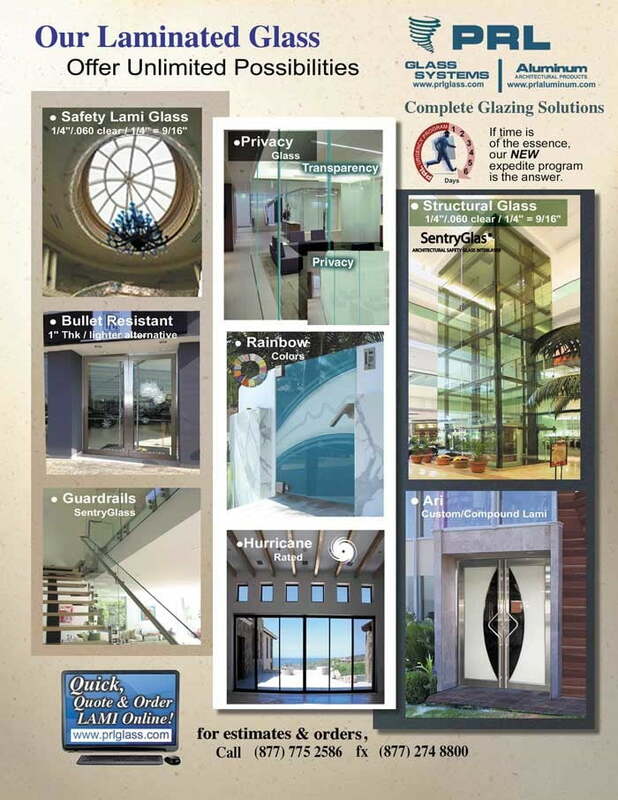 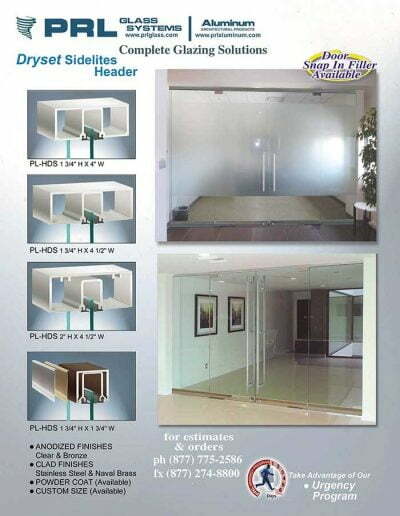 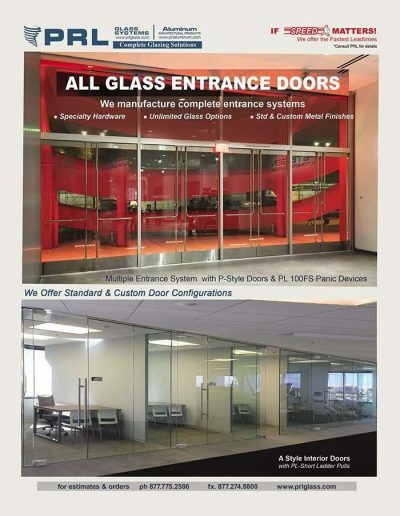 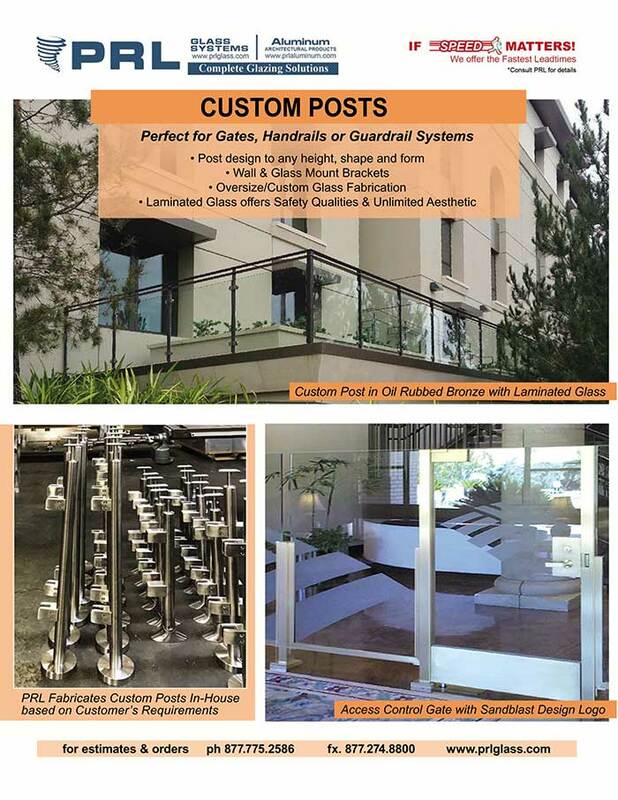 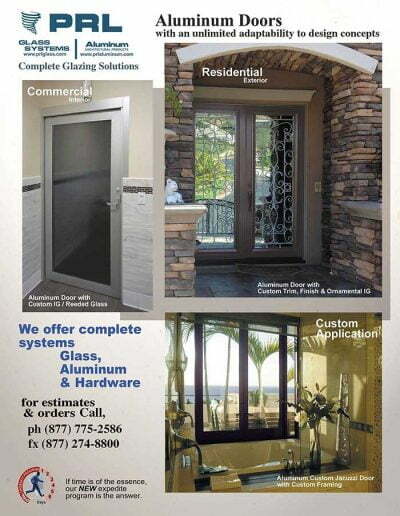 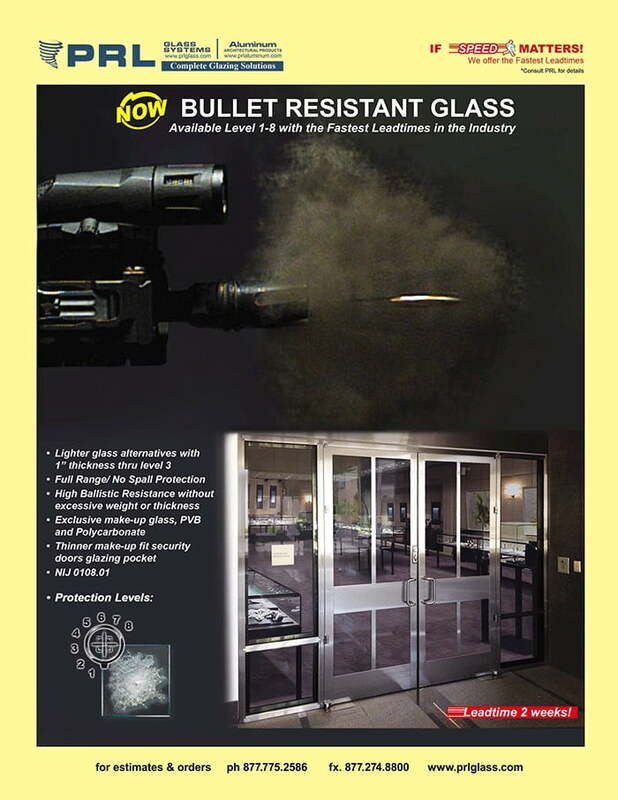 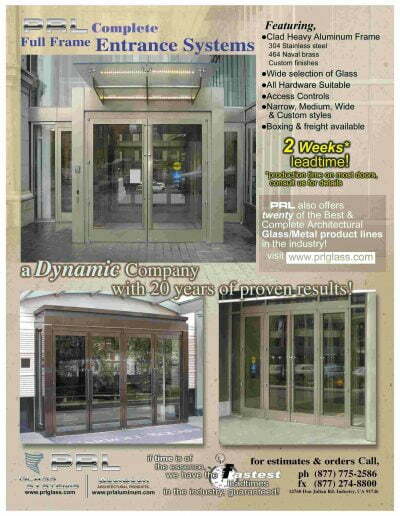 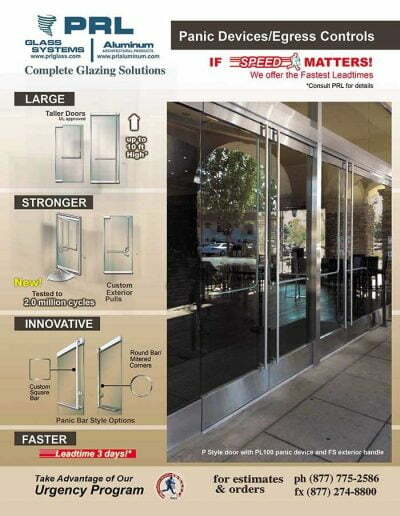 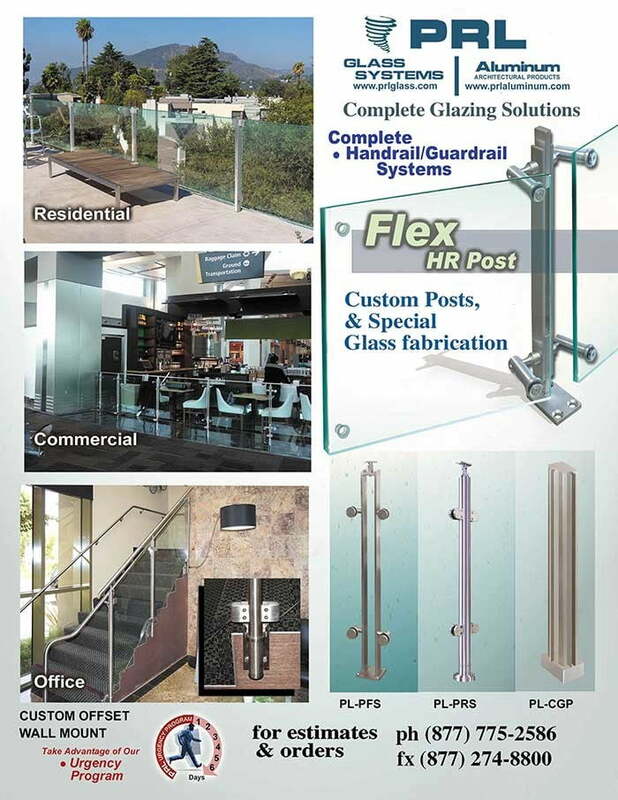 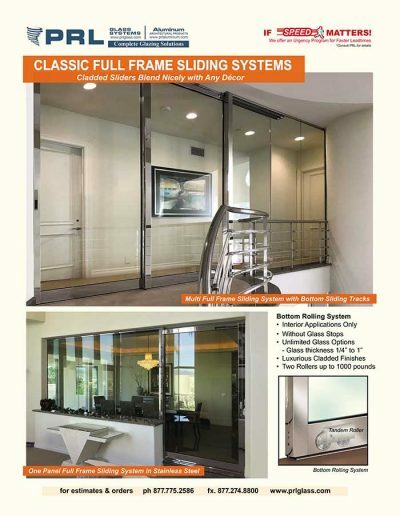 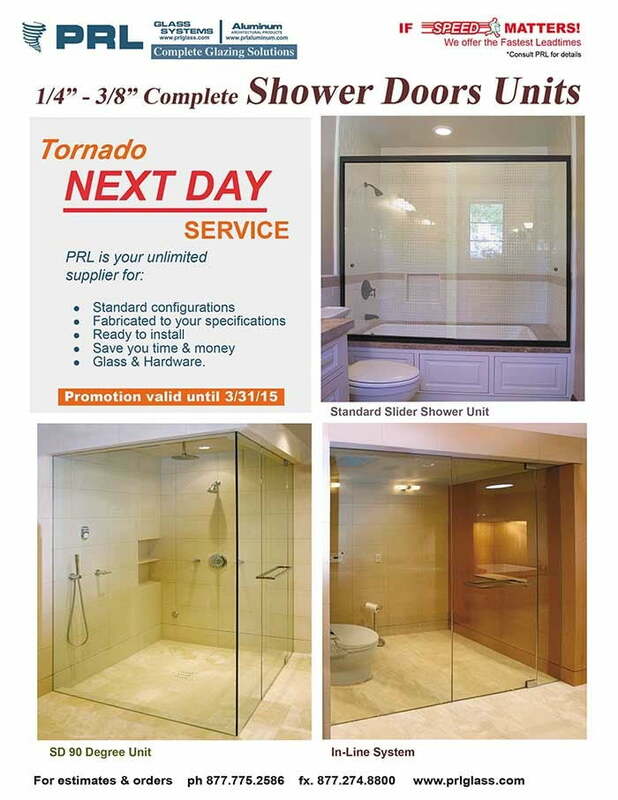 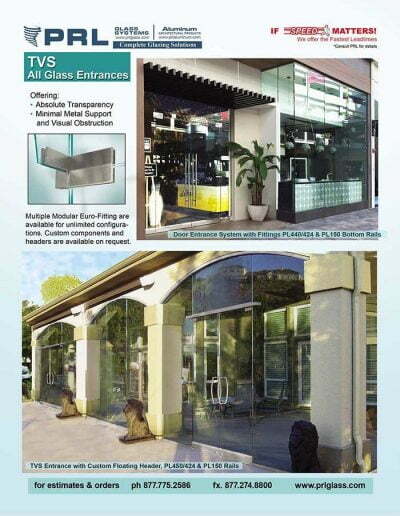 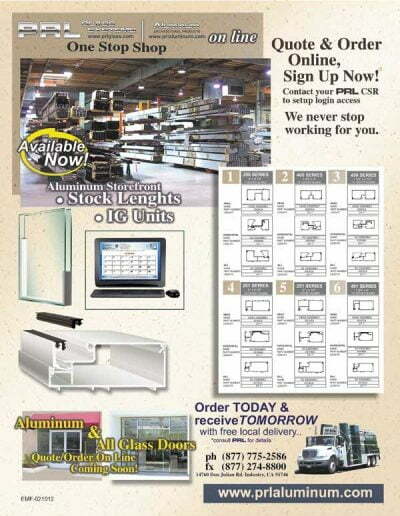 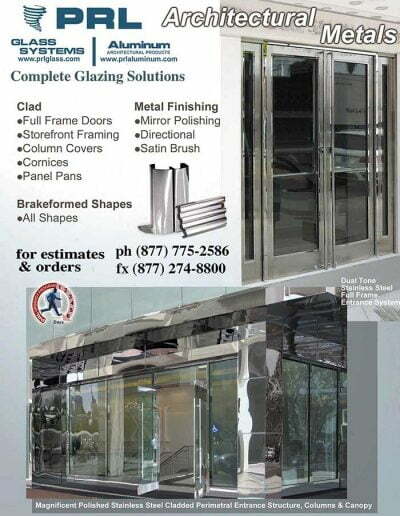 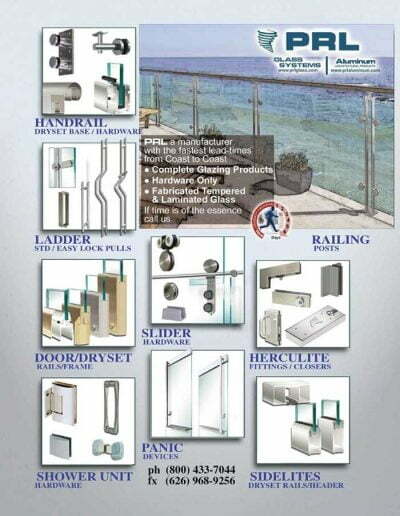 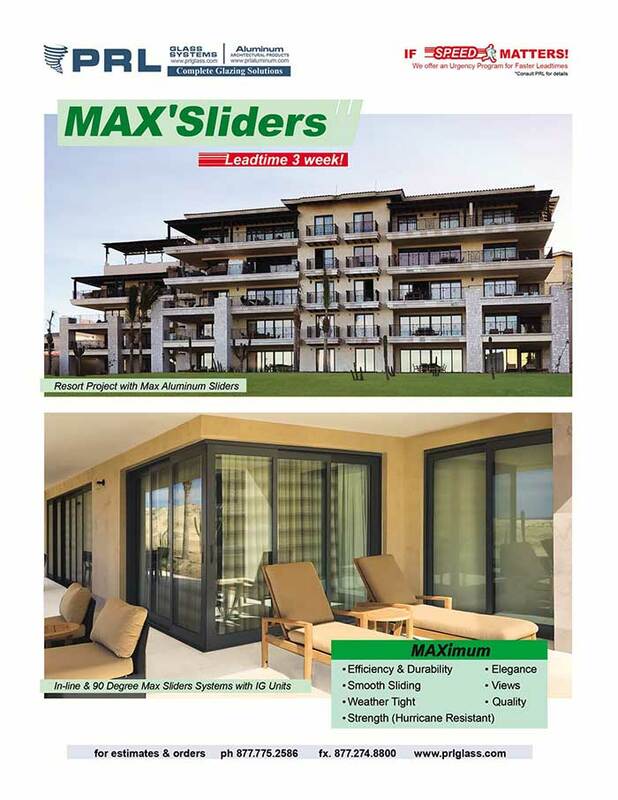 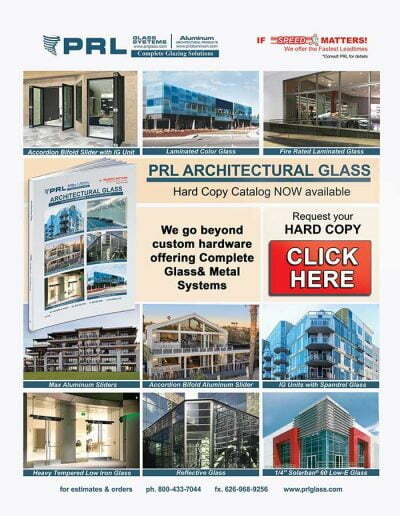 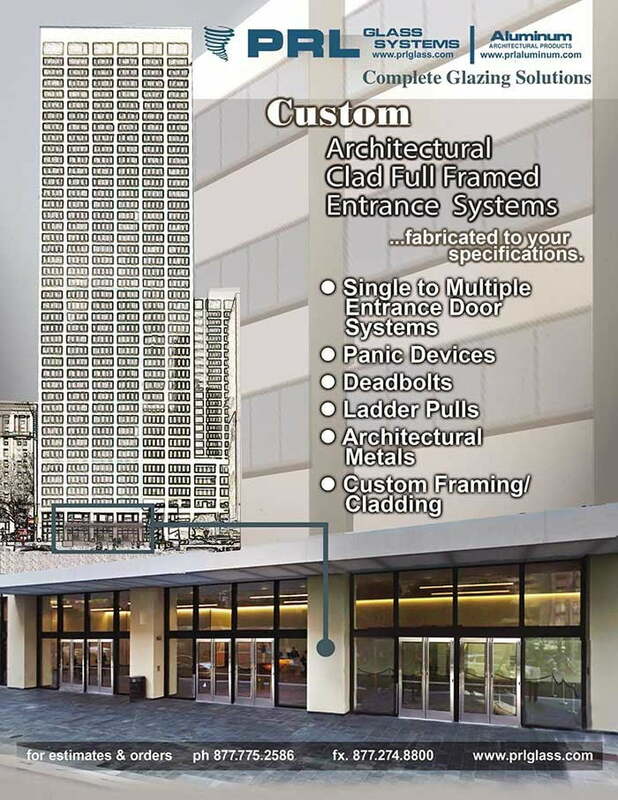 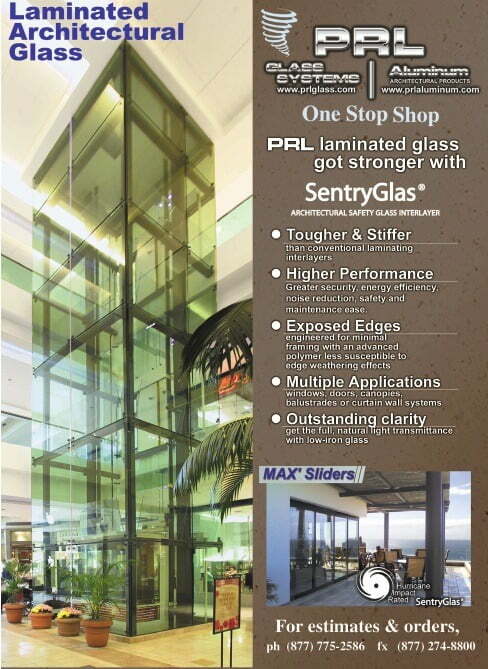 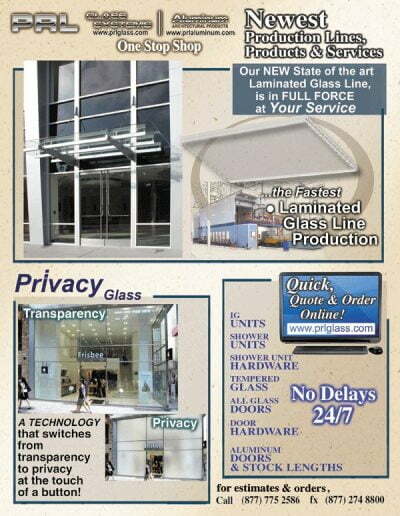 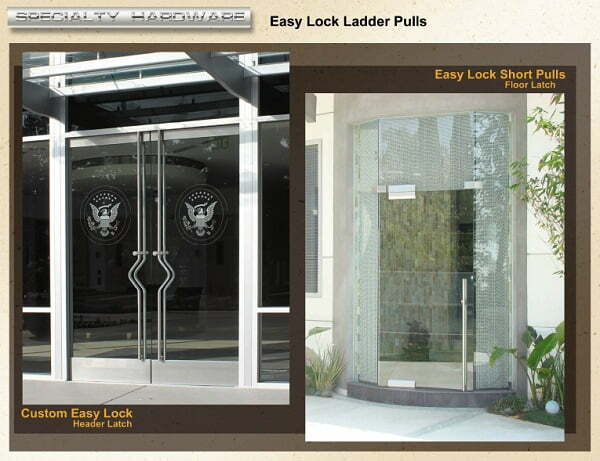 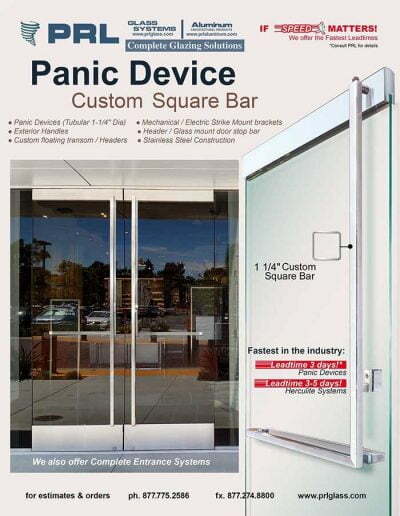 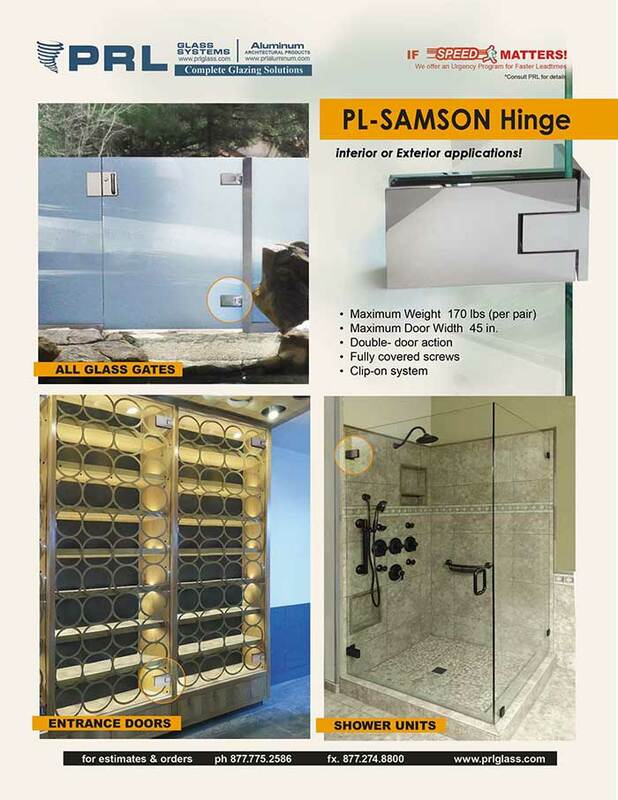 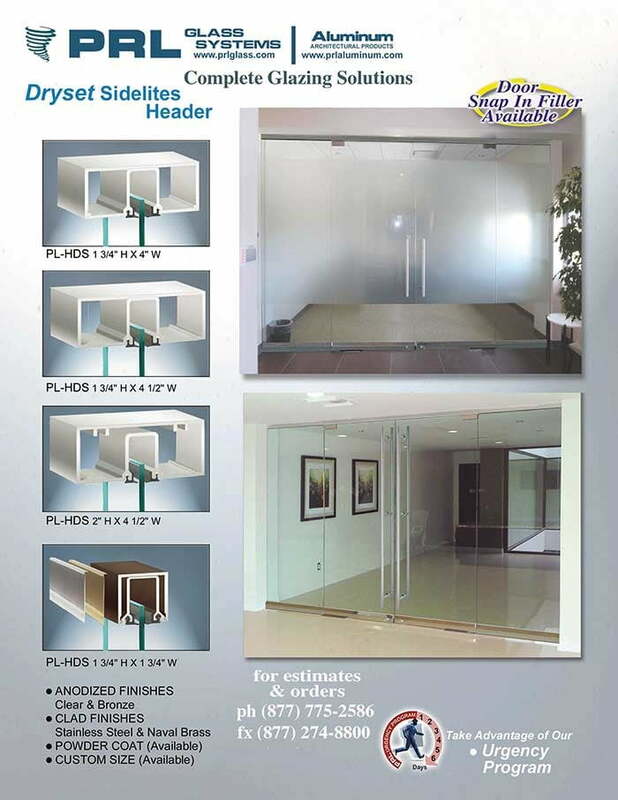 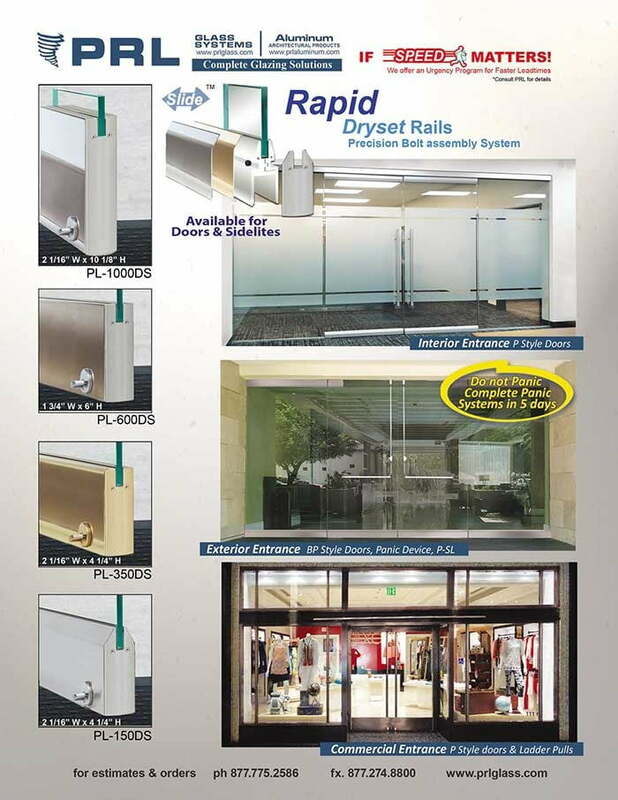 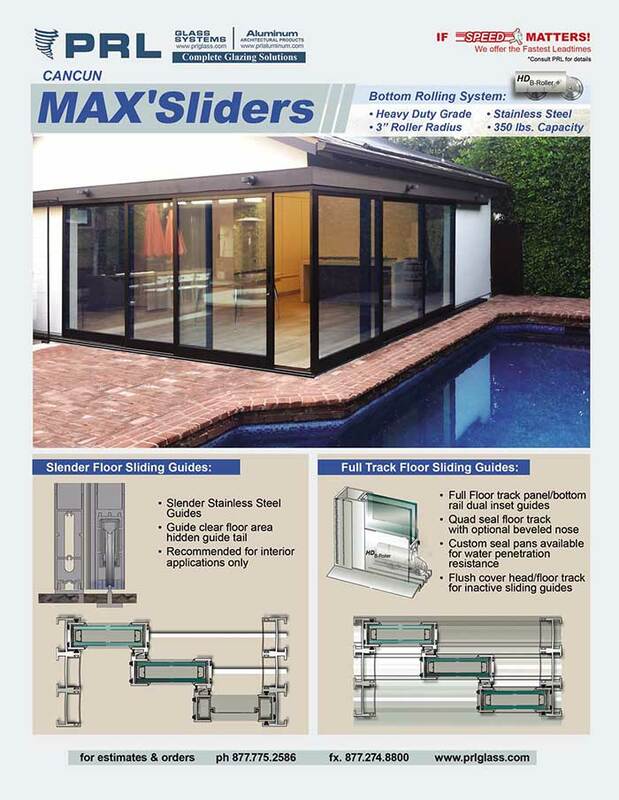 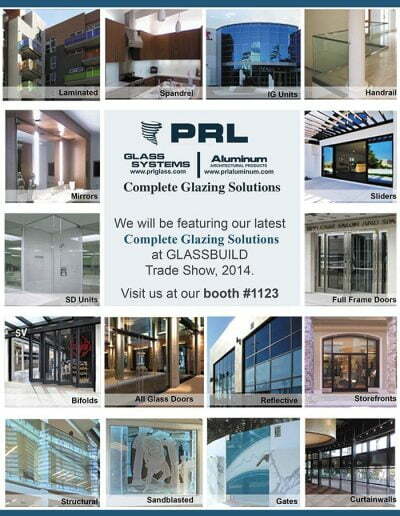 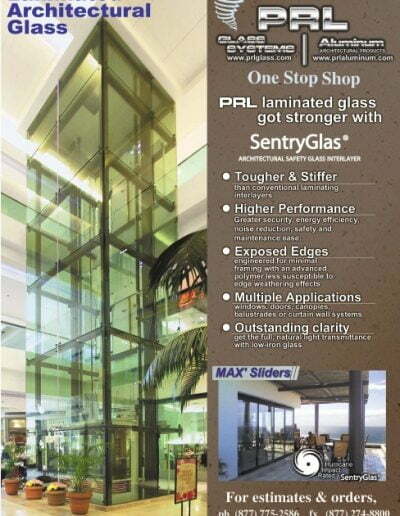 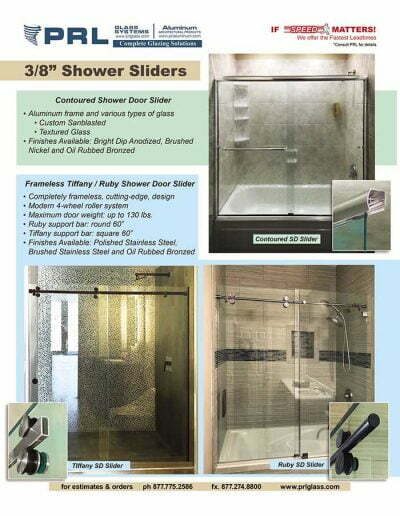 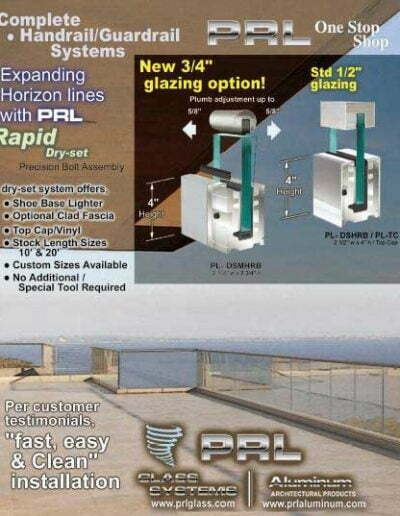 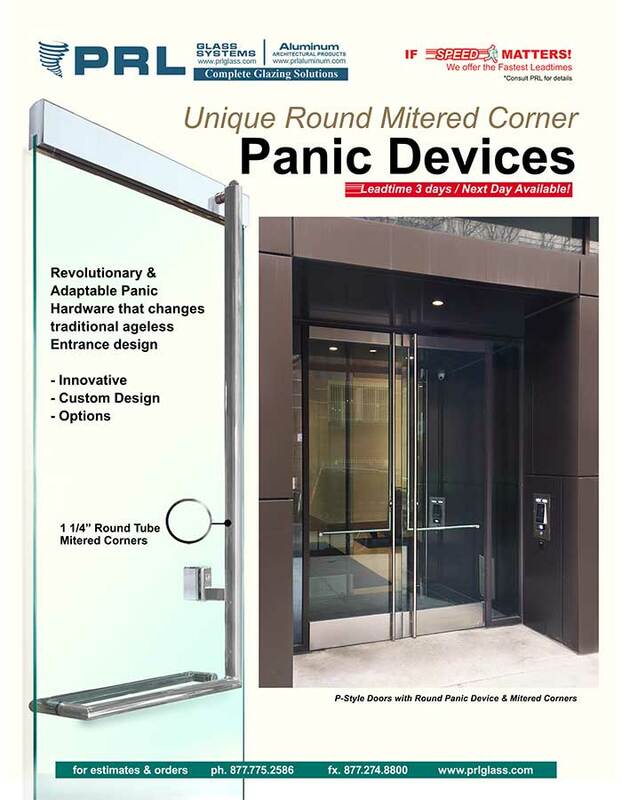 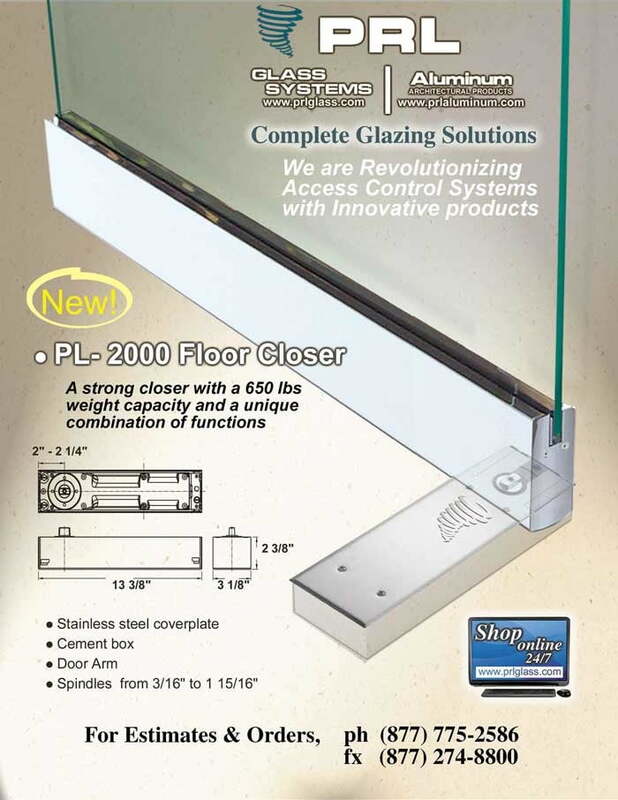 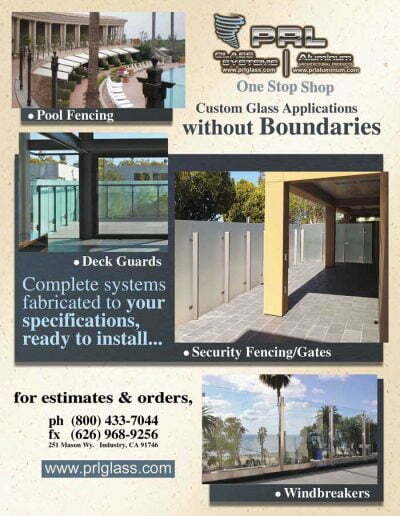 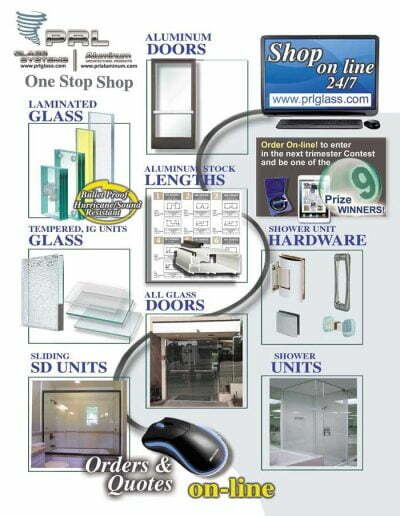 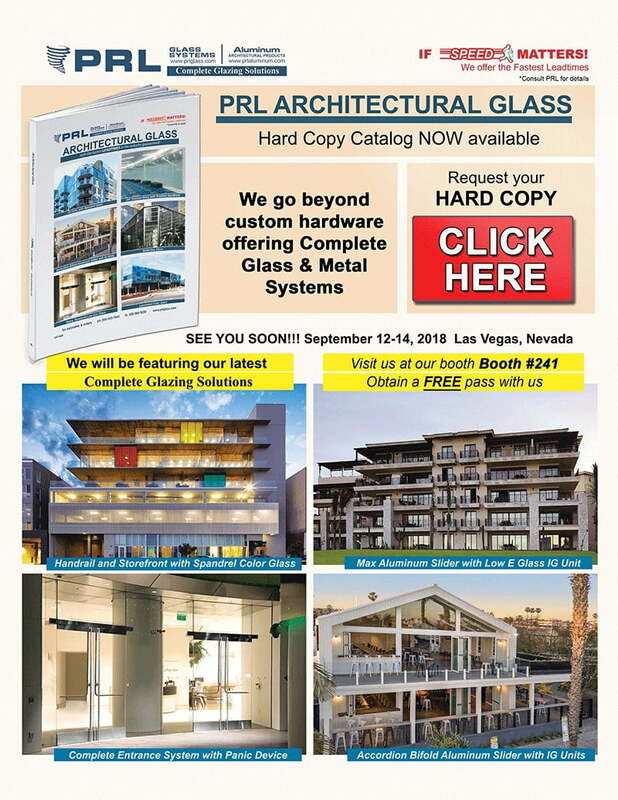 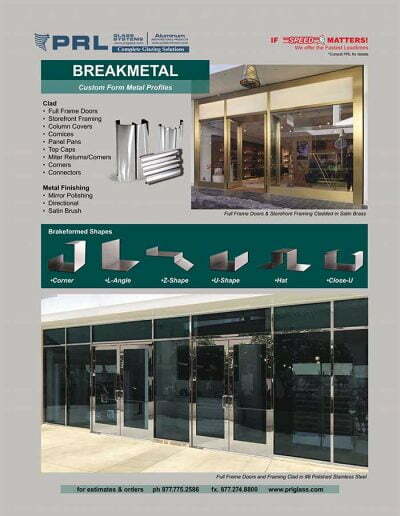 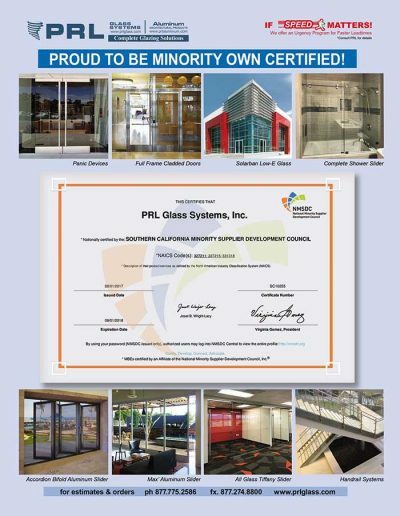 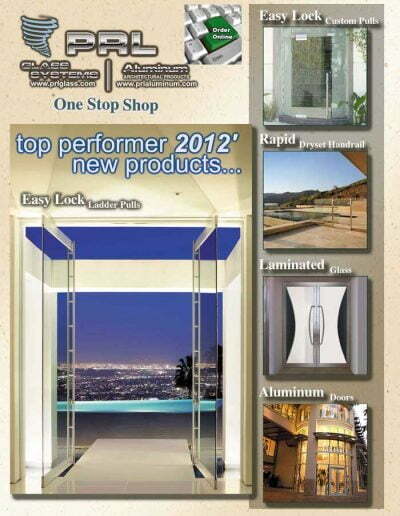 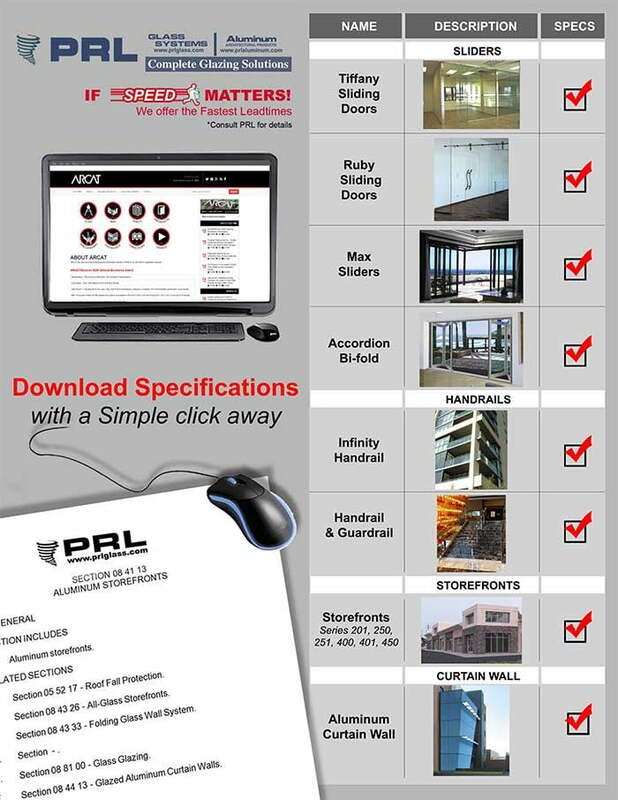 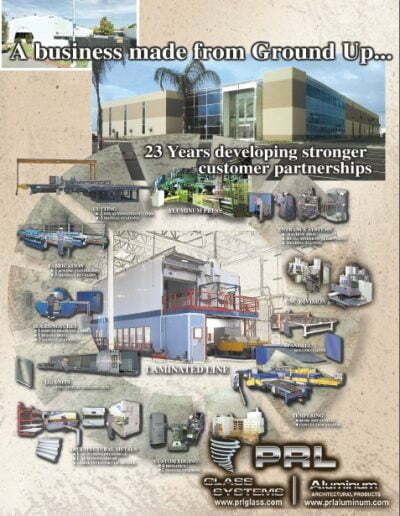 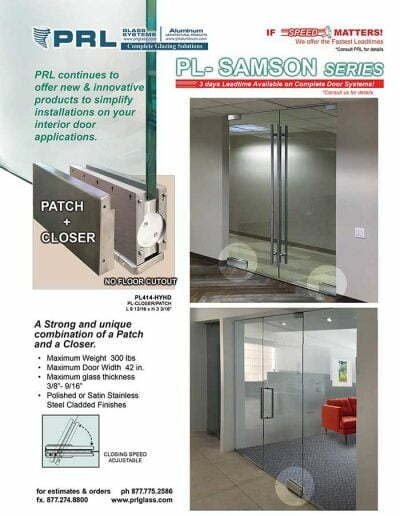 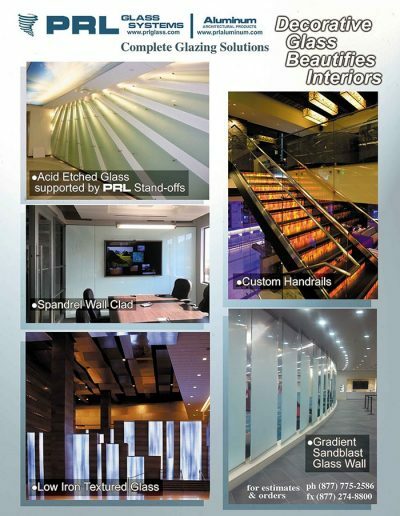 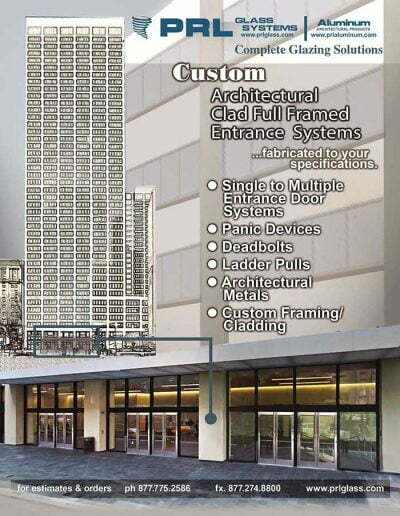 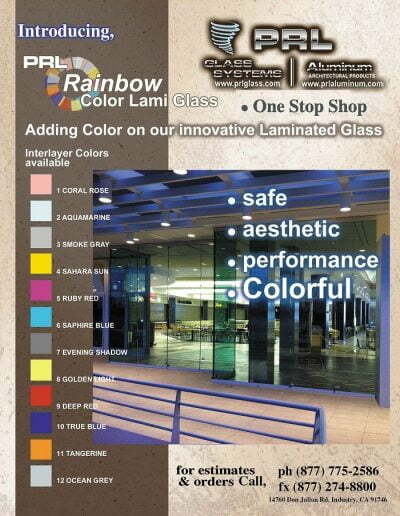 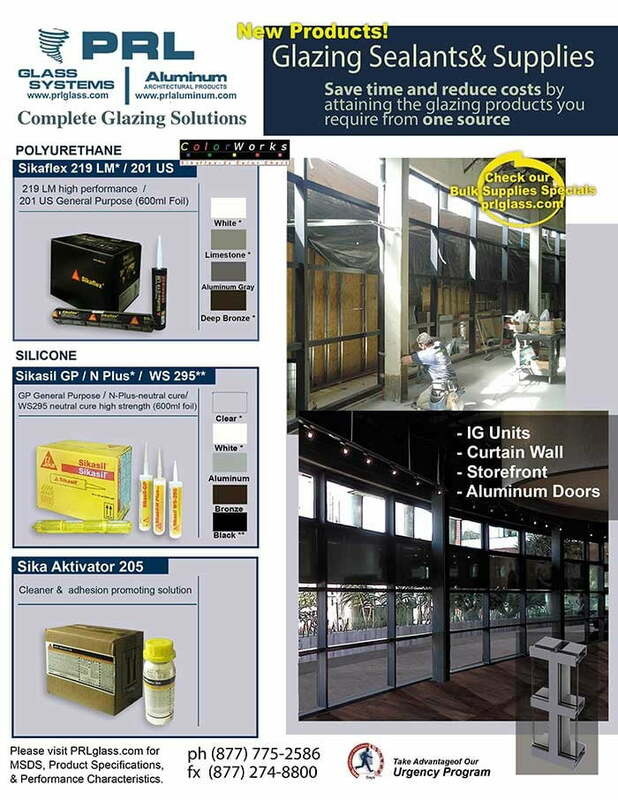 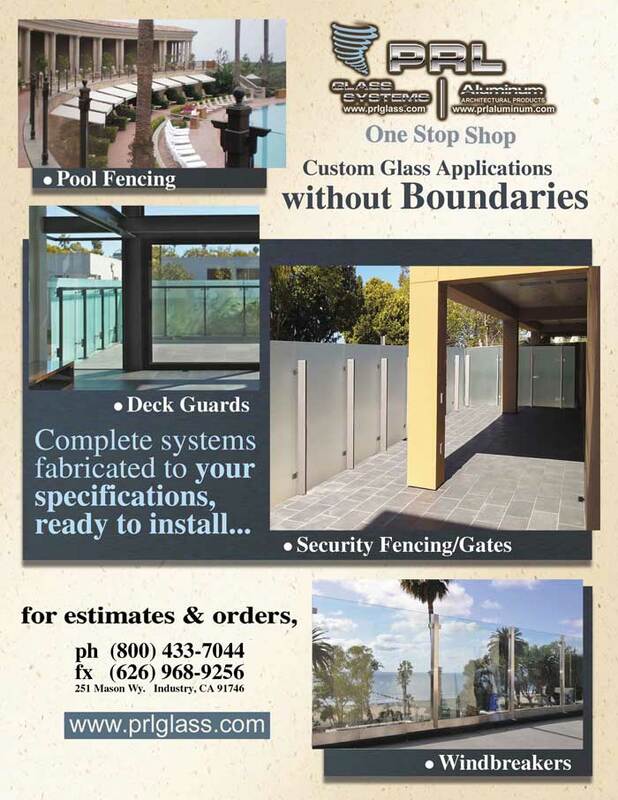 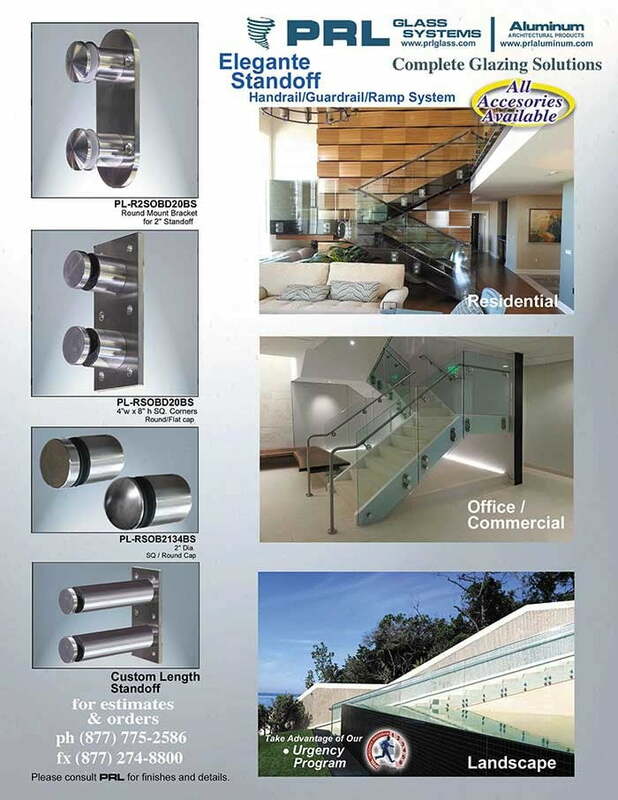 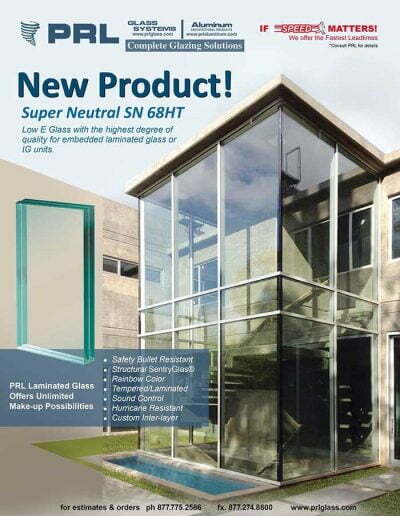 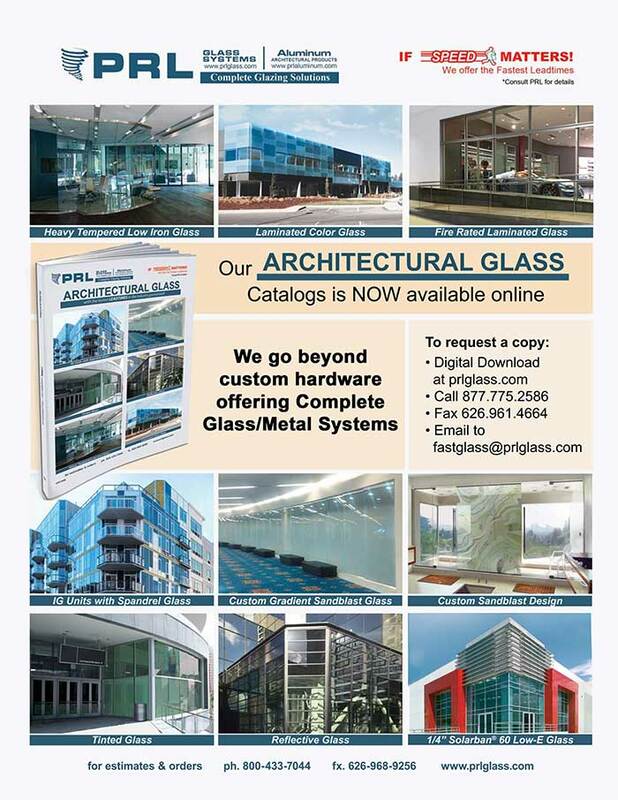 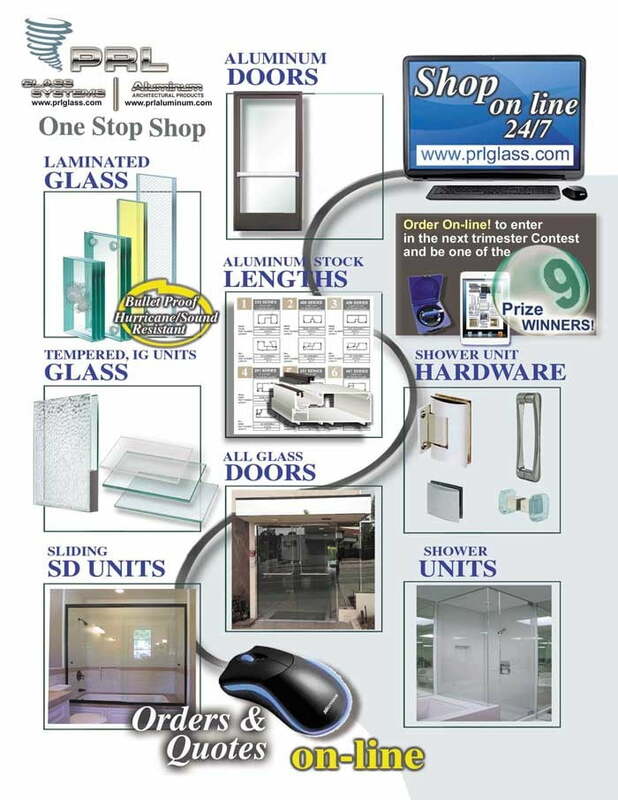 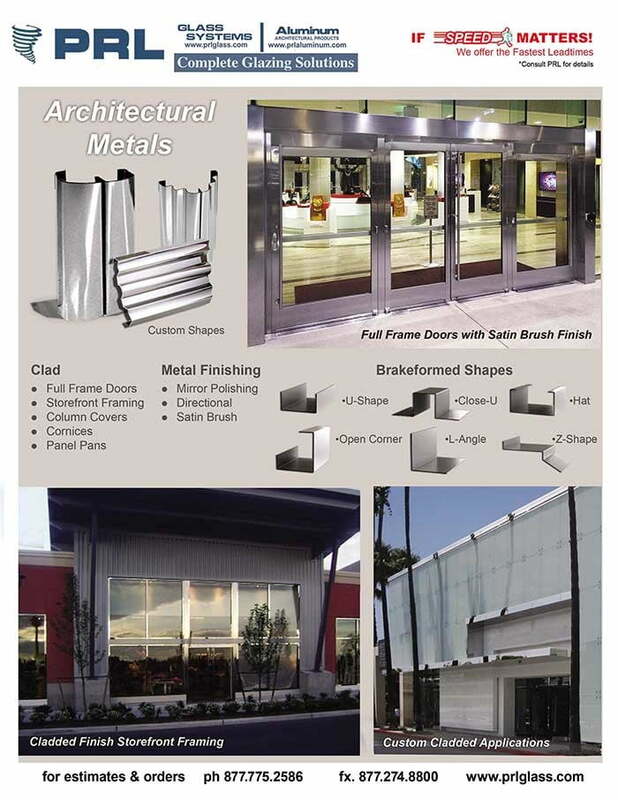 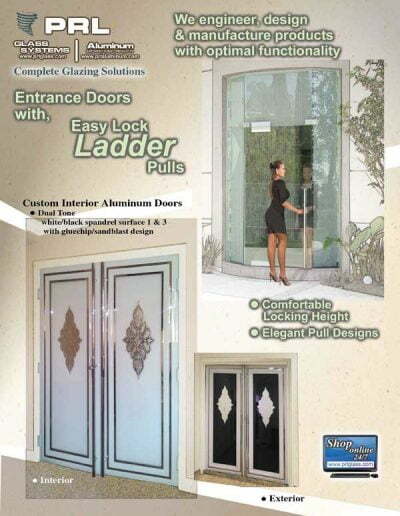 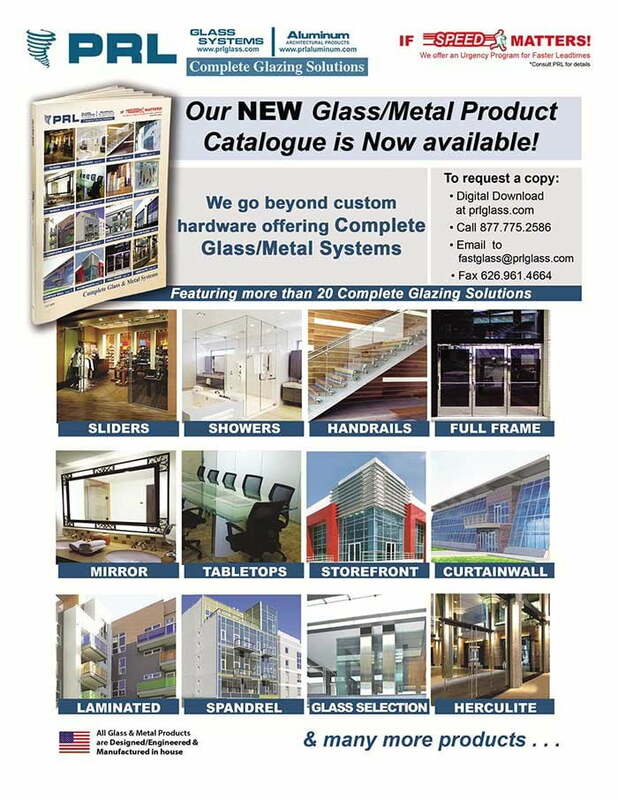 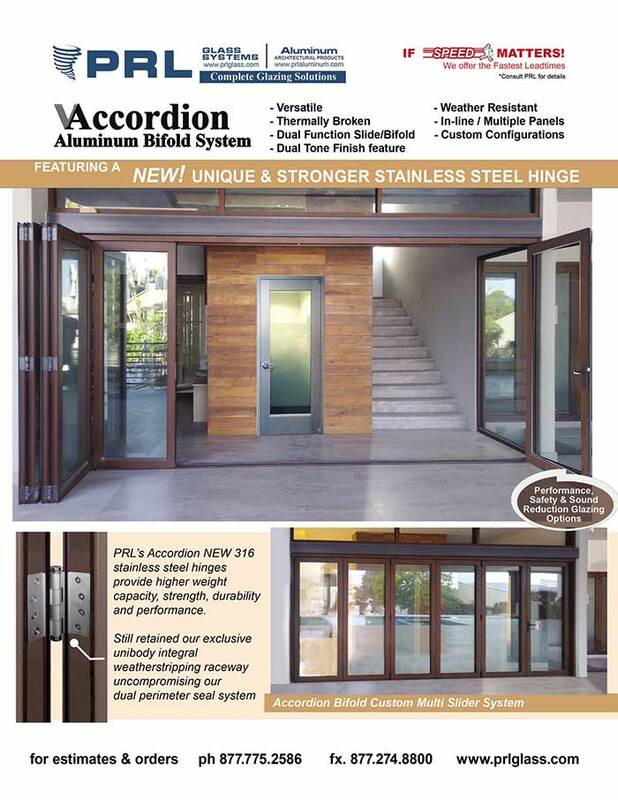 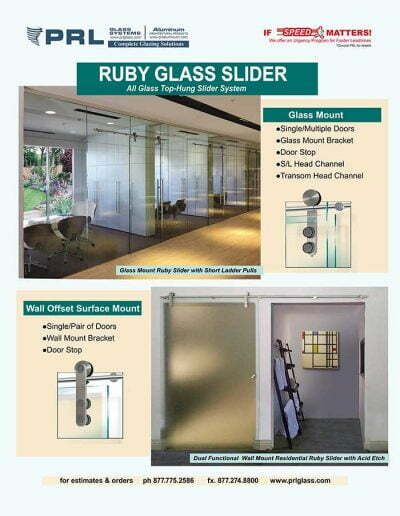 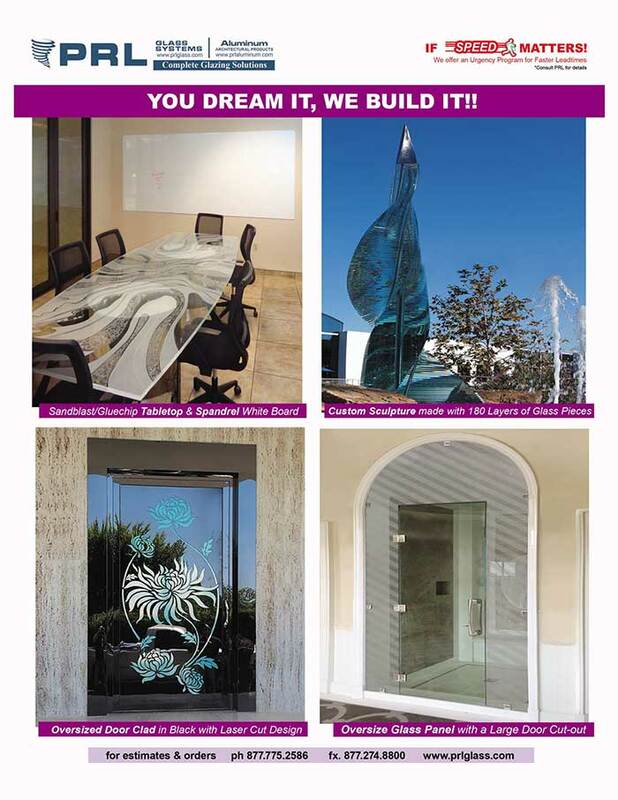 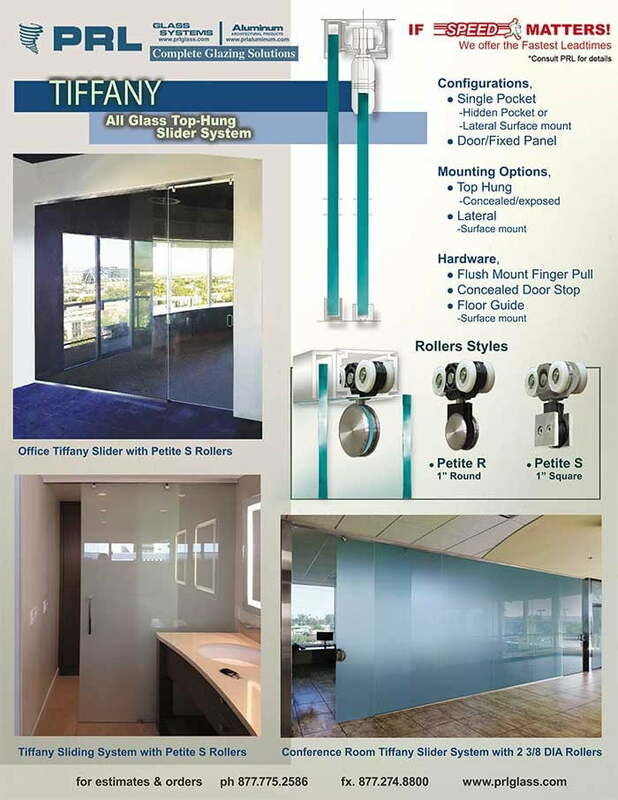 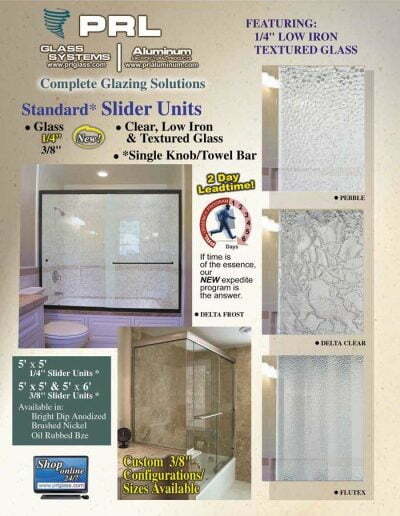 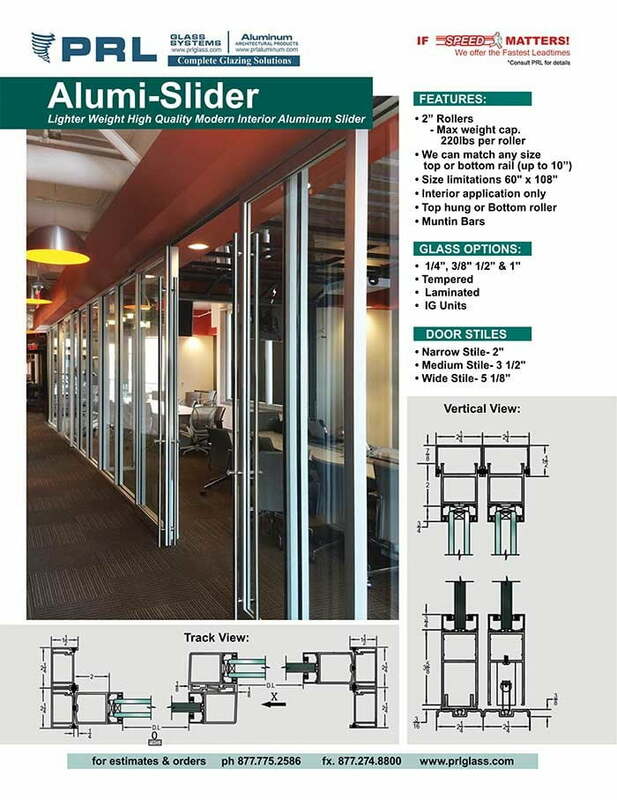 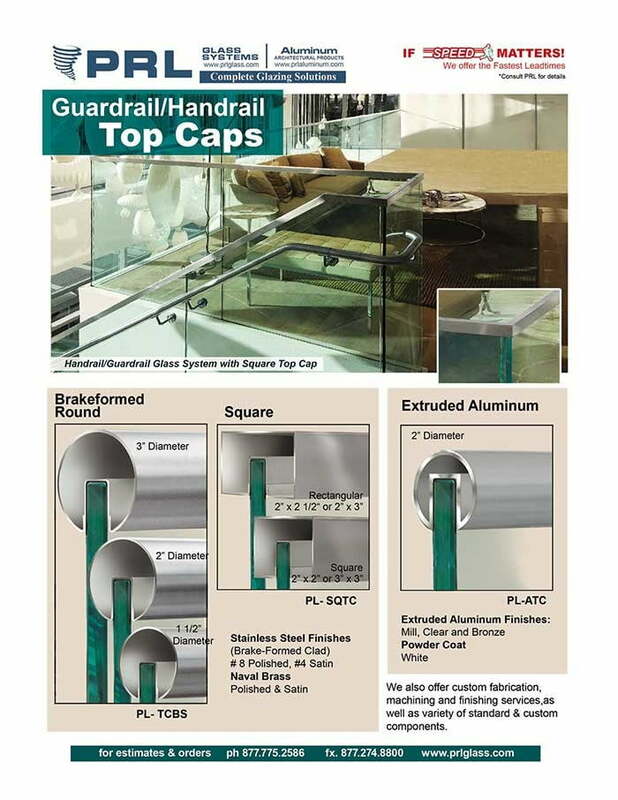 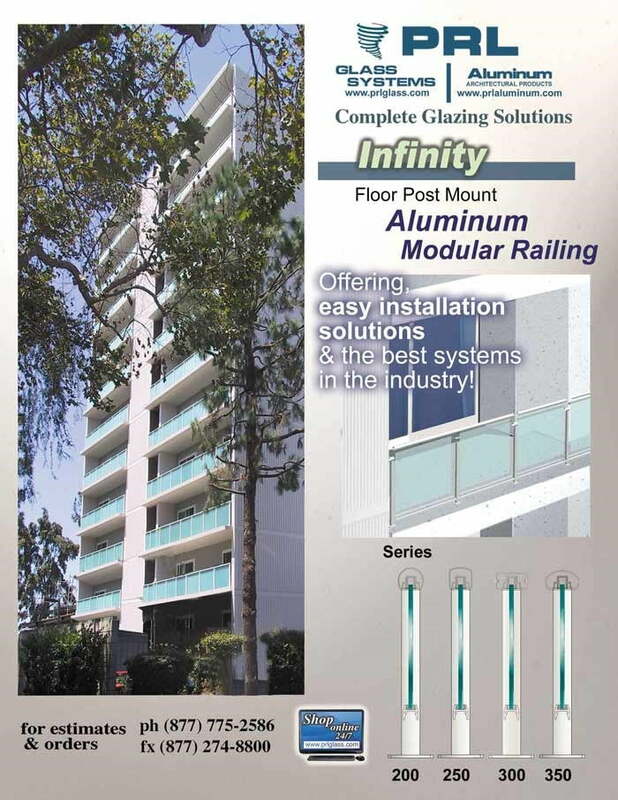 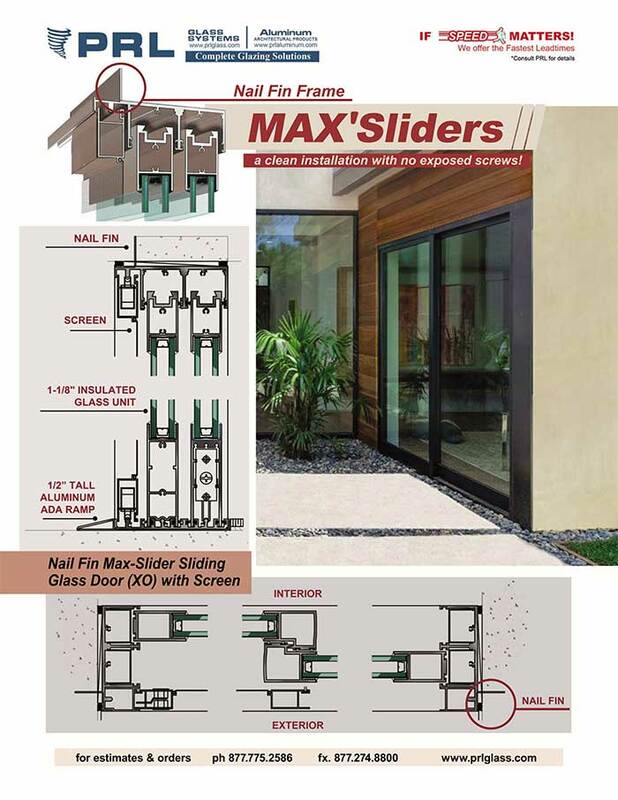 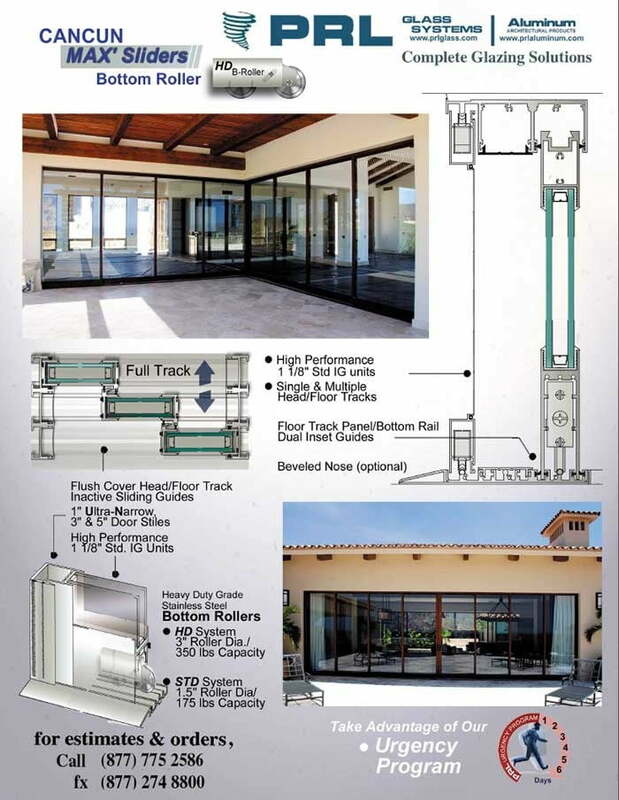 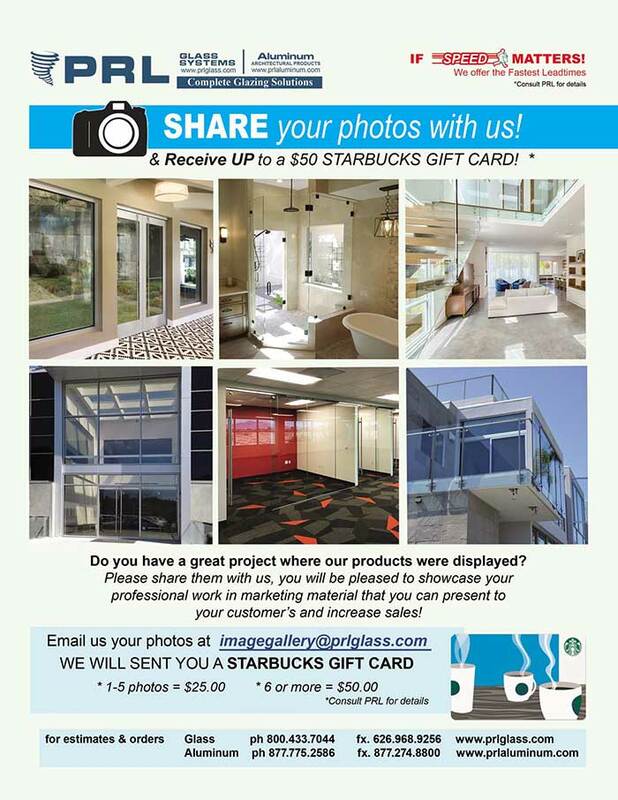 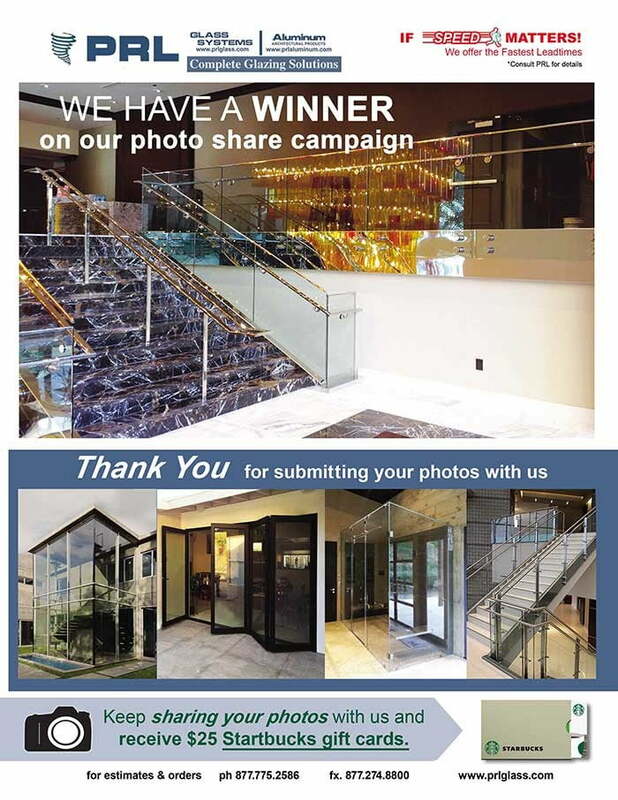 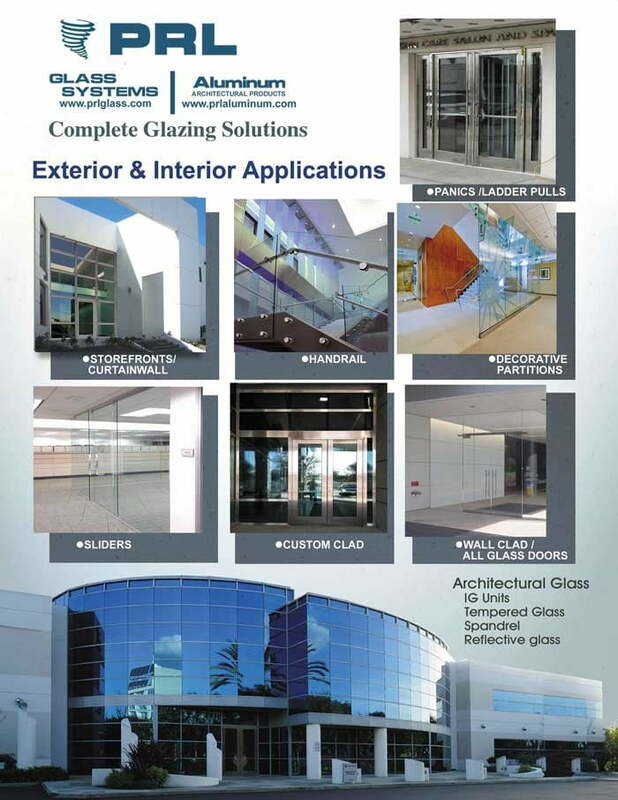 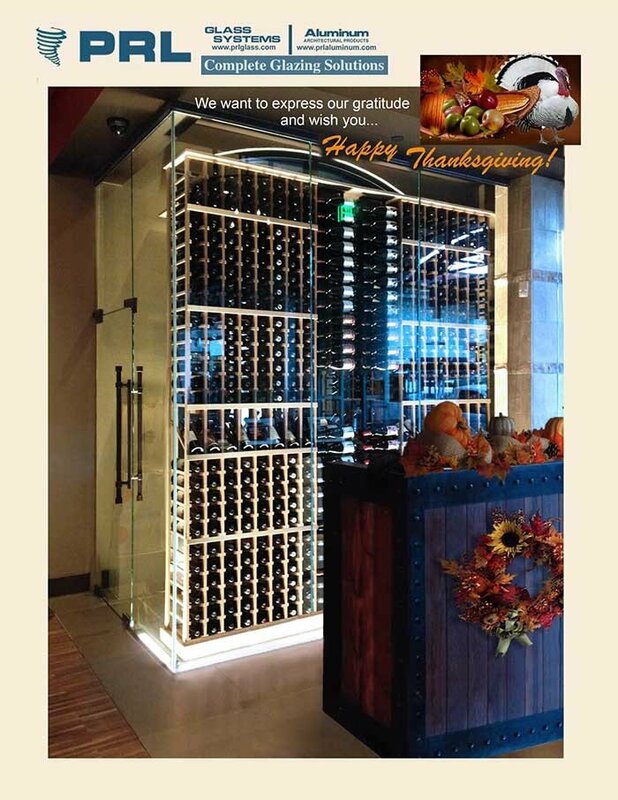 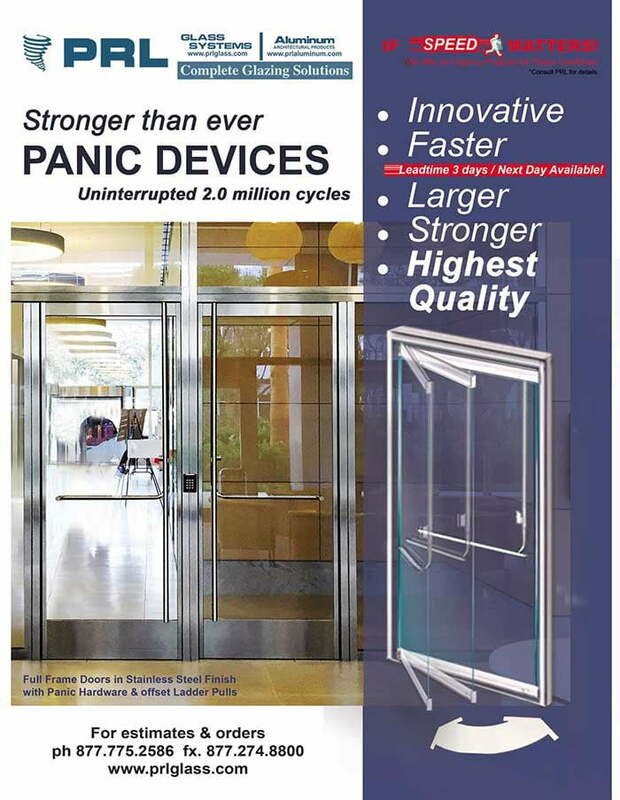 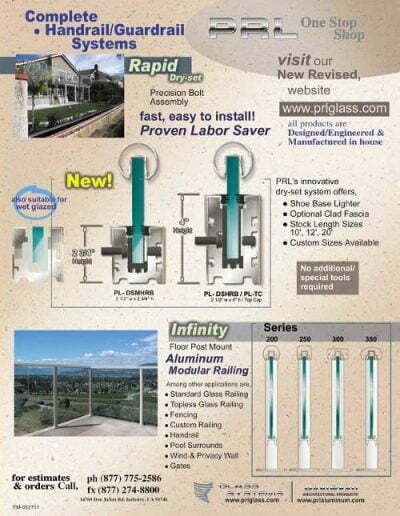 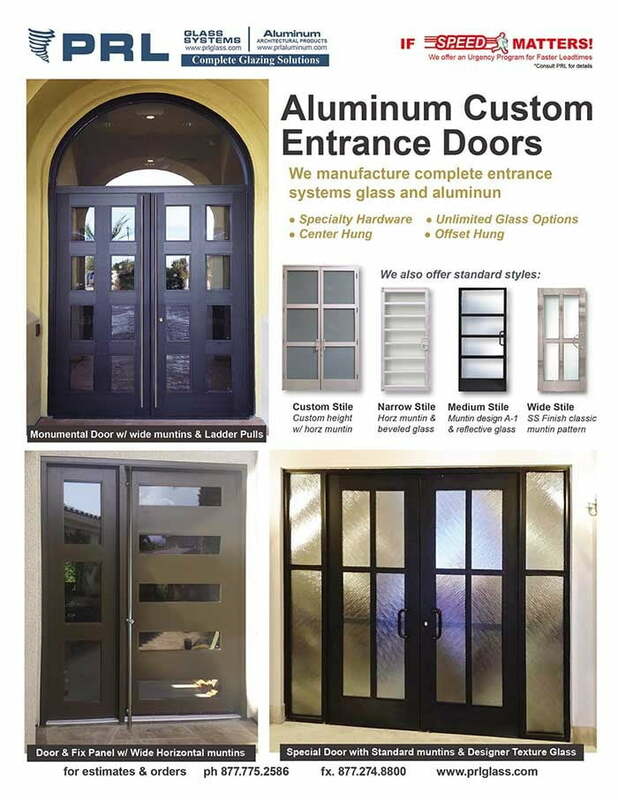 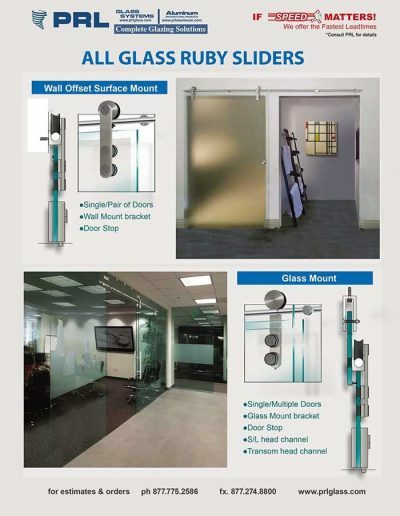 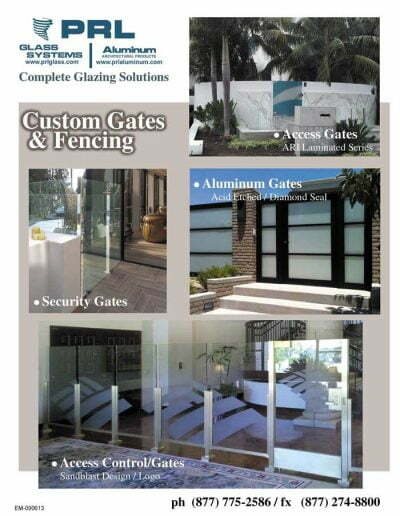 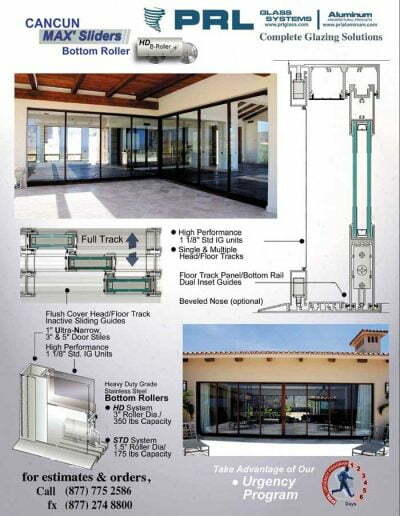 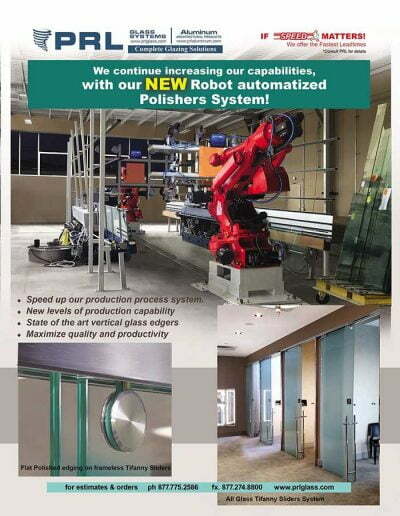 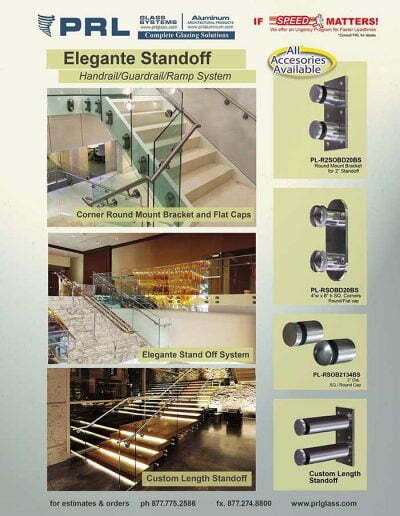 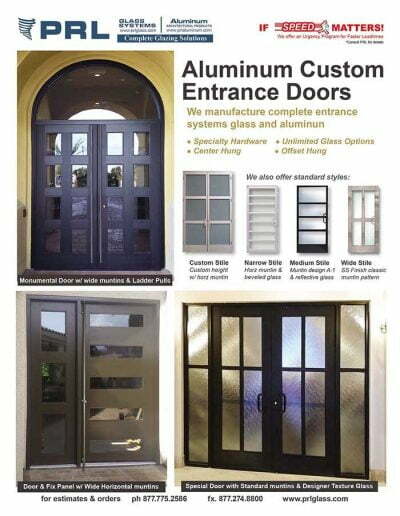 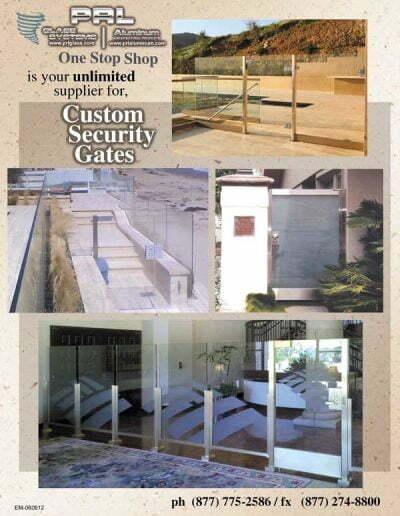 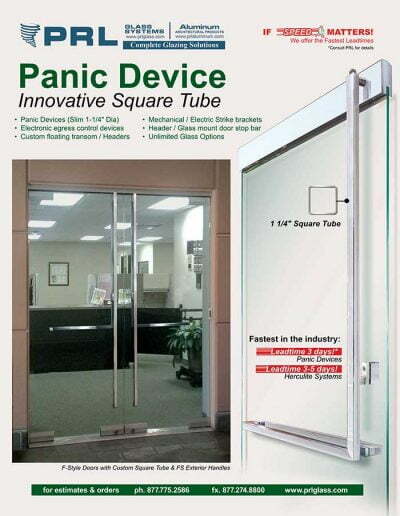 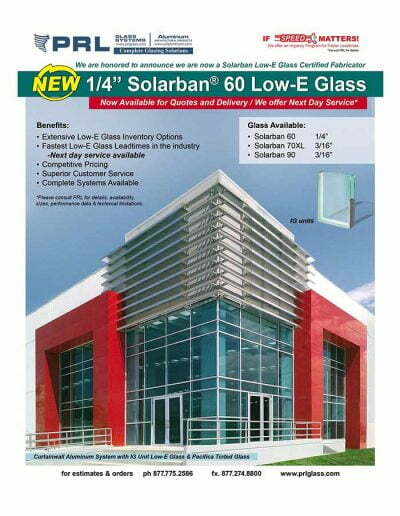 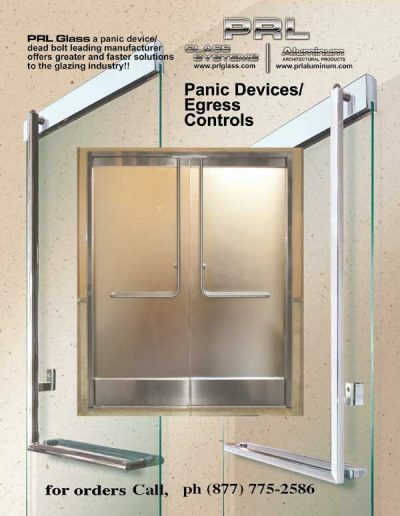 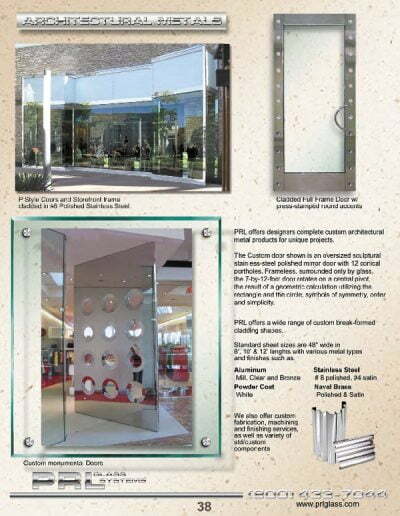 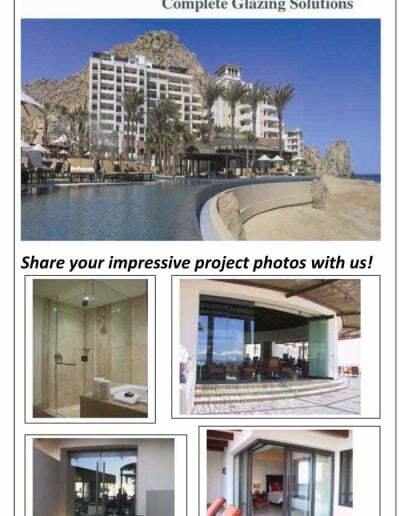 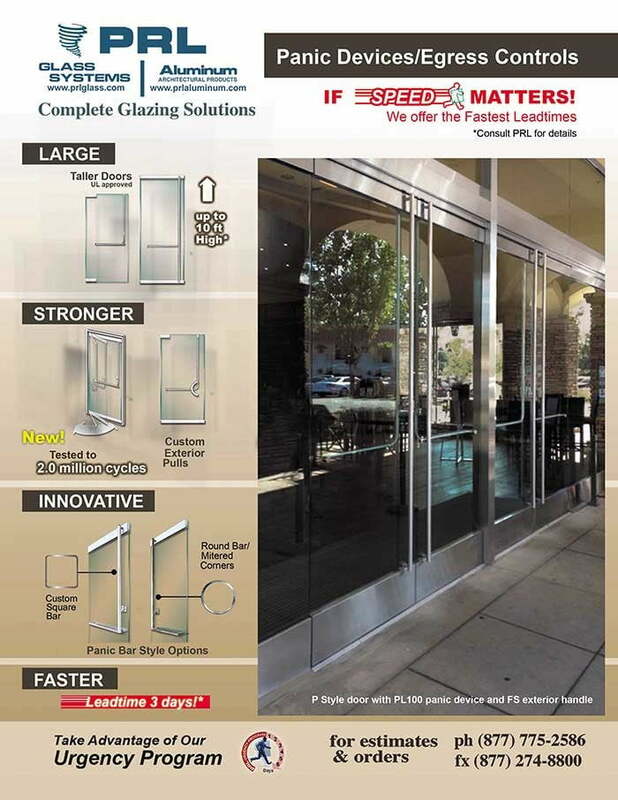 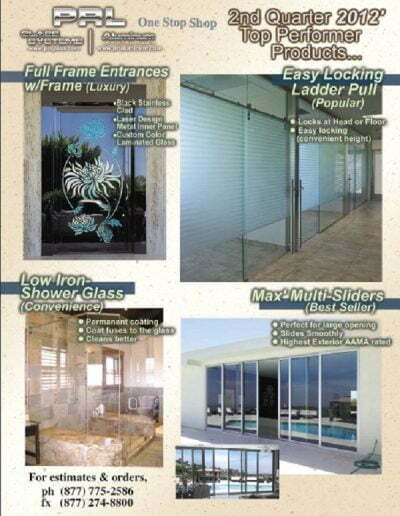 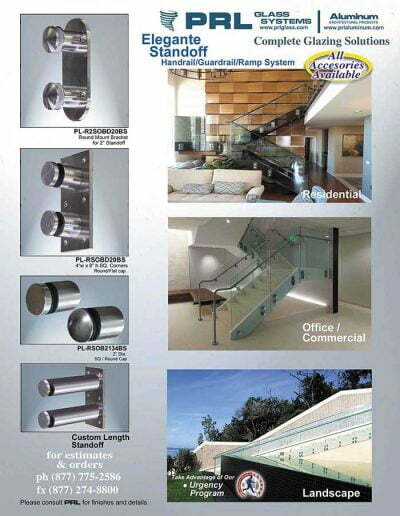 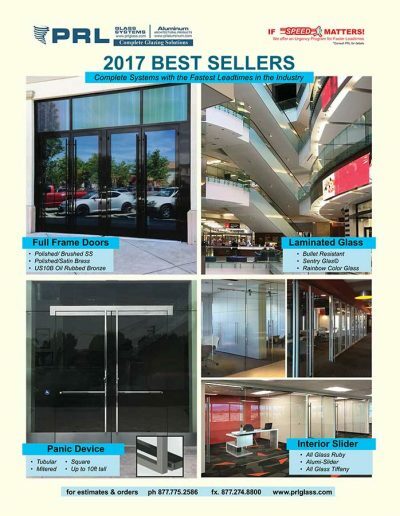 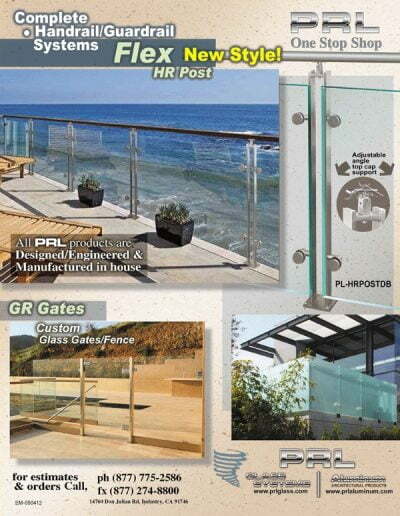 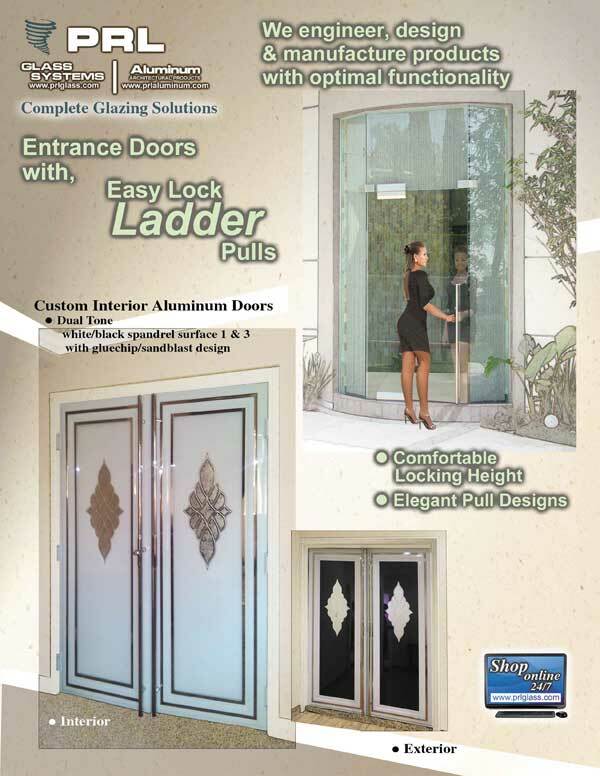 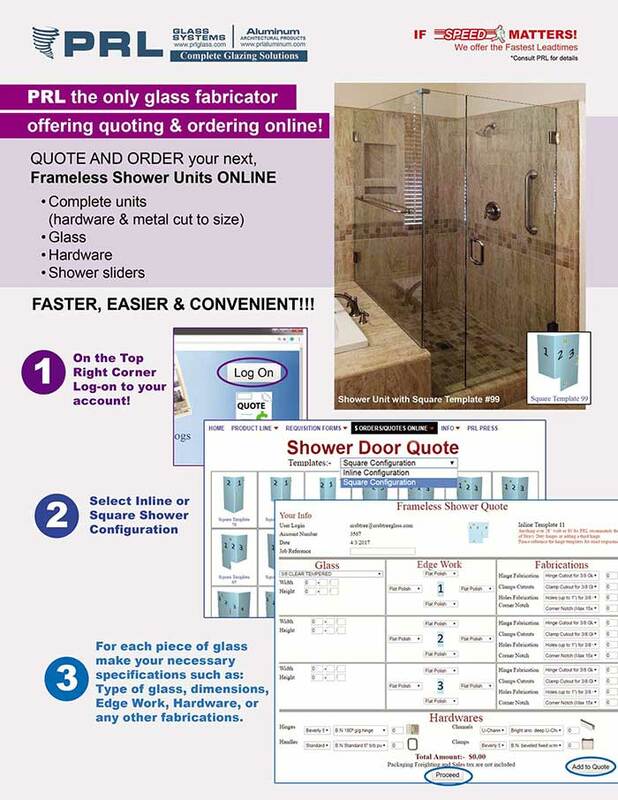 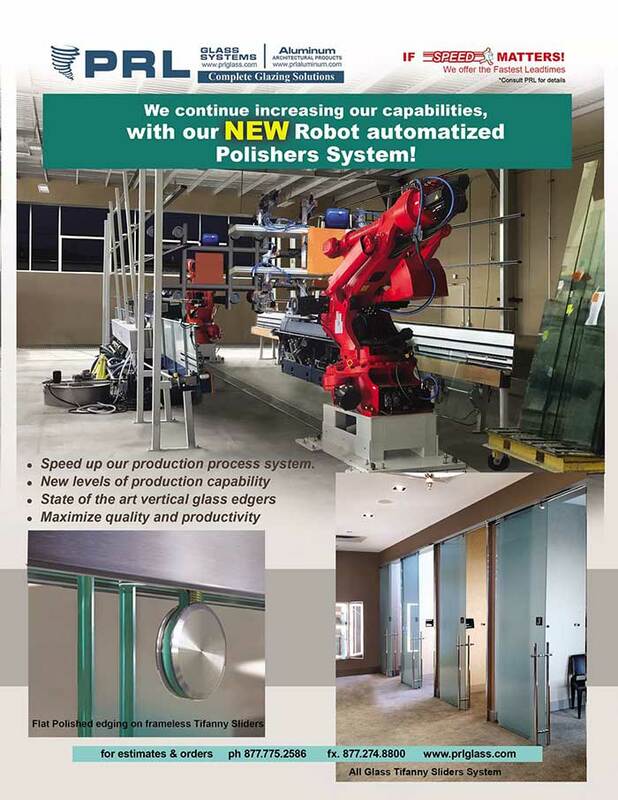 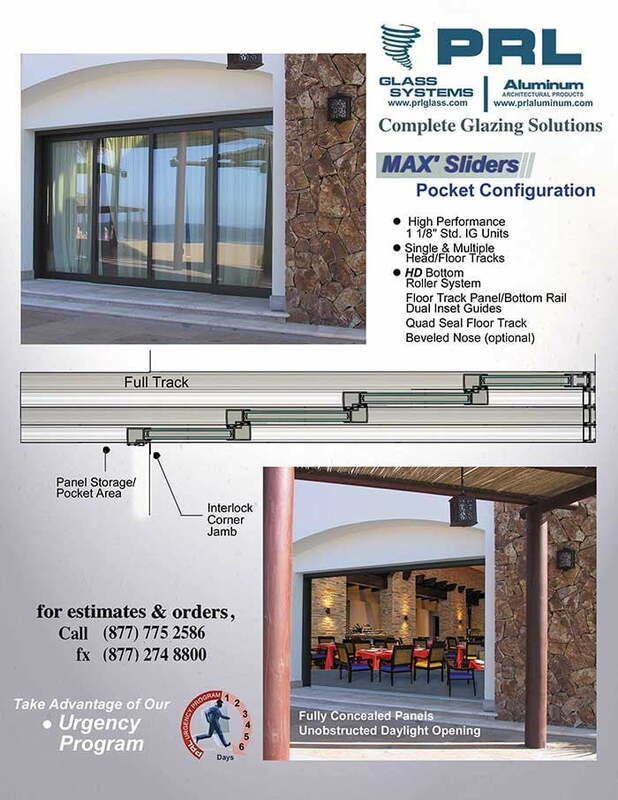 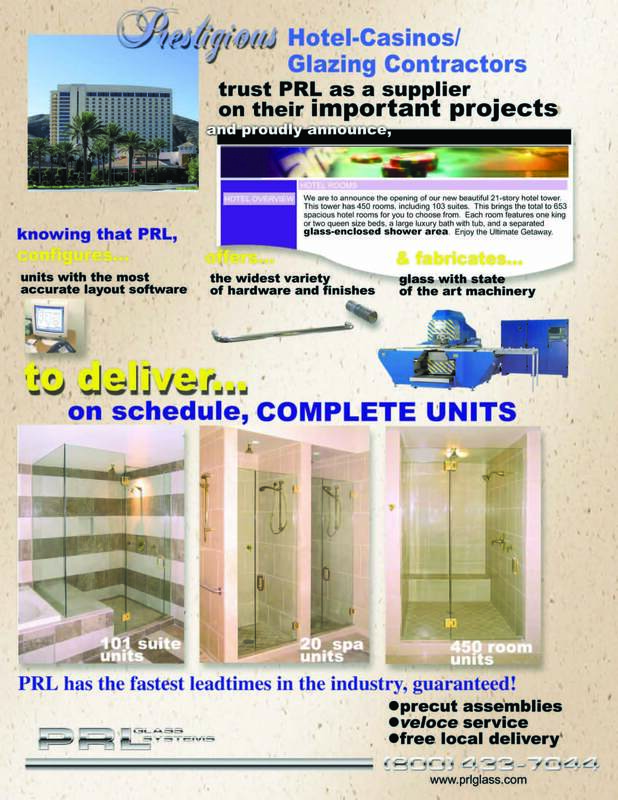 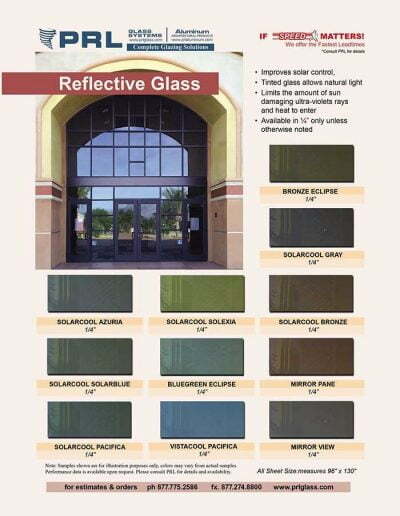 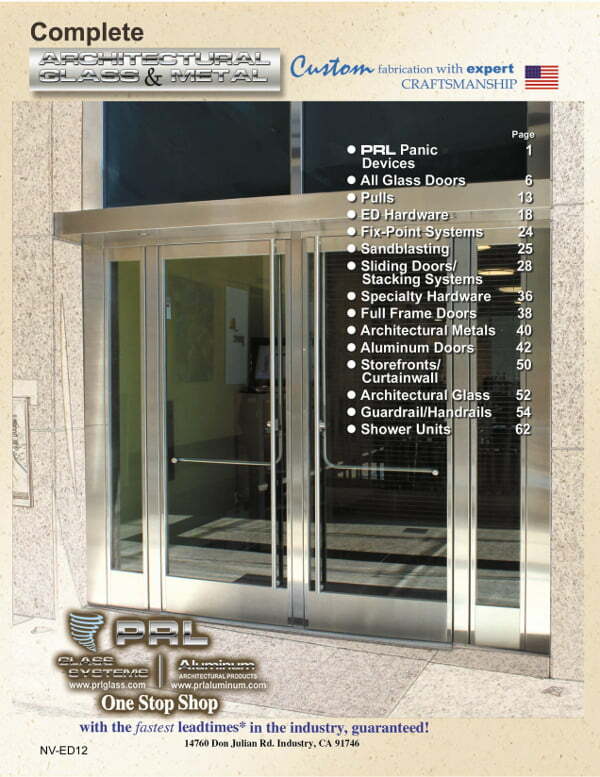 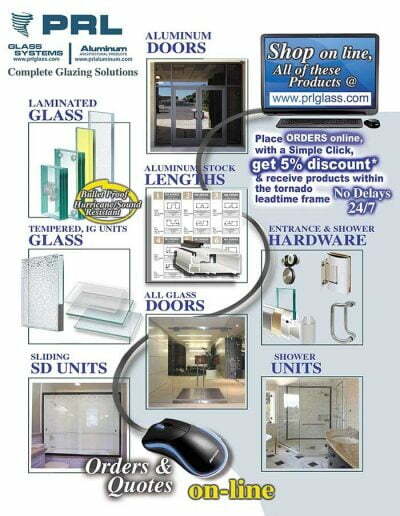 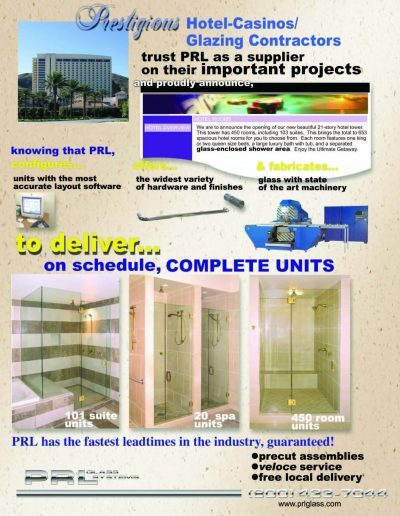 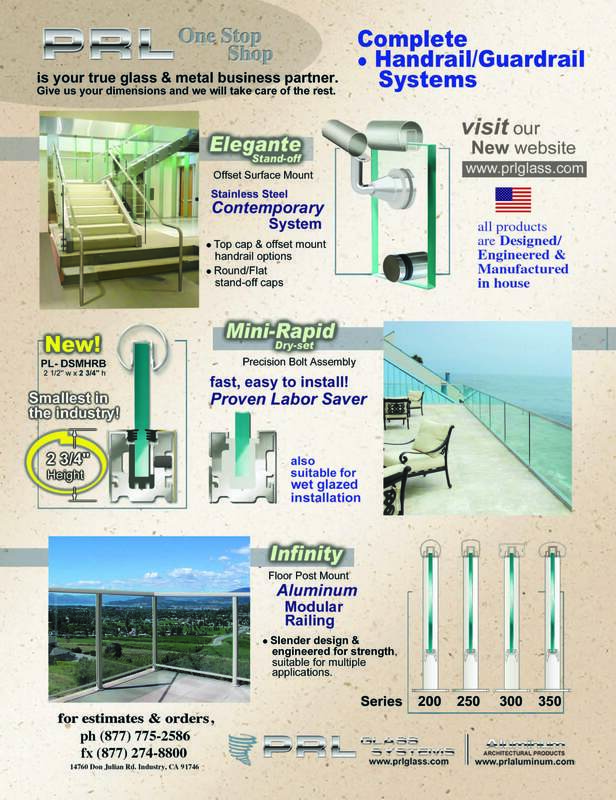 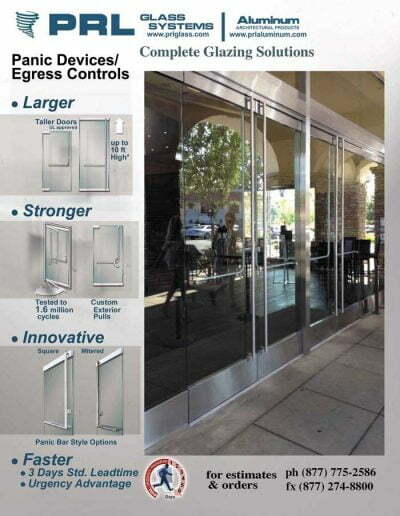 The aluminum storefront systems are compatible with PRL’s sunshade products, aluminum entrance doors, all glass entrance doors and curtain wall systems. 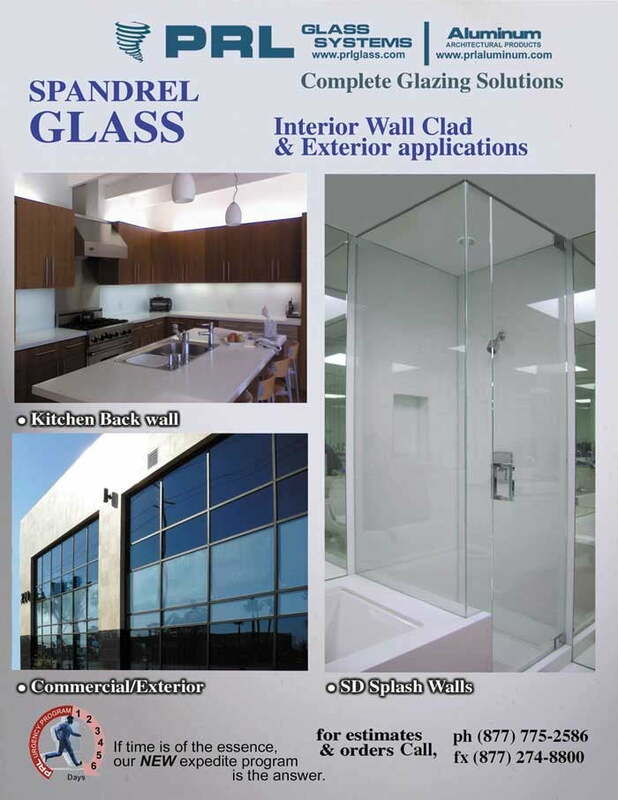 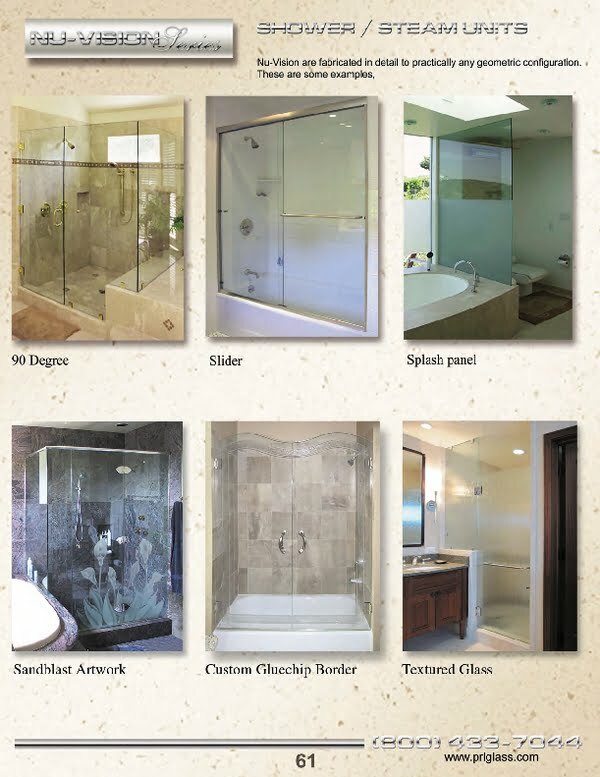 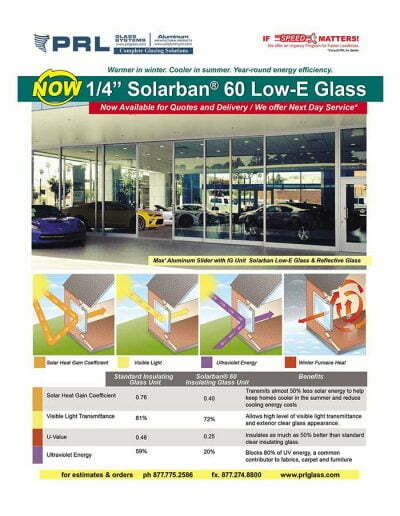 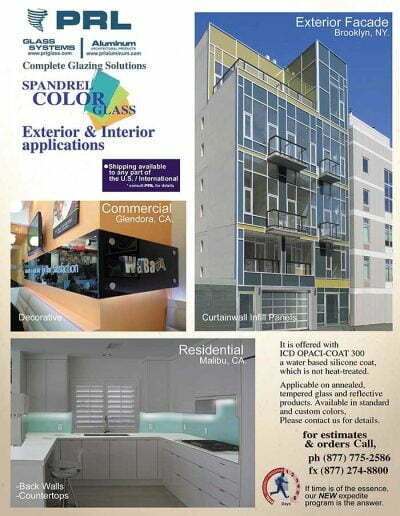 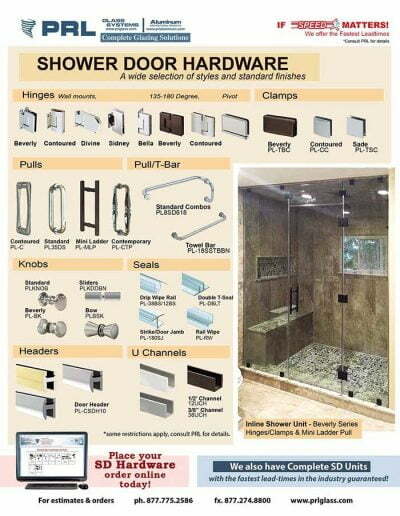 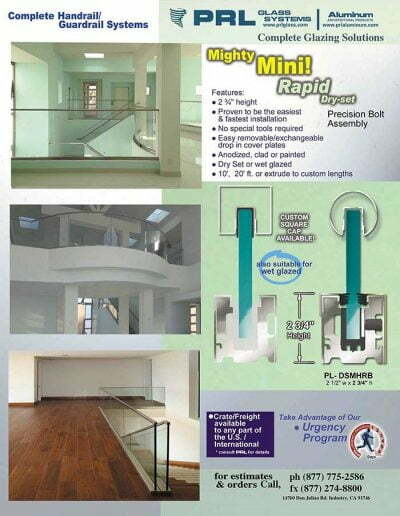 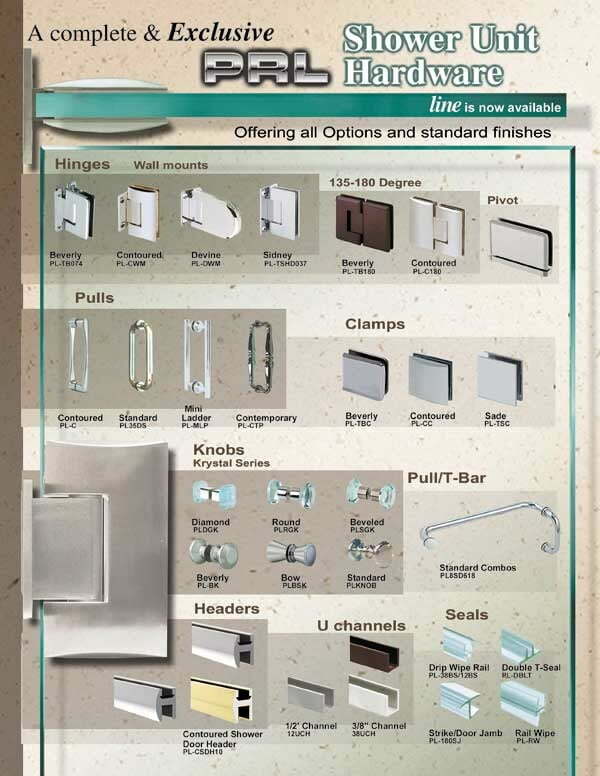 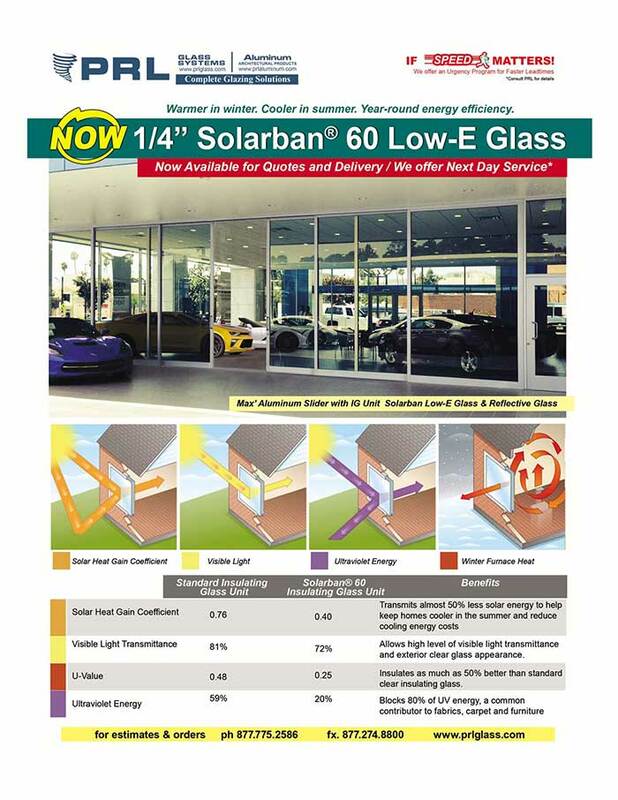 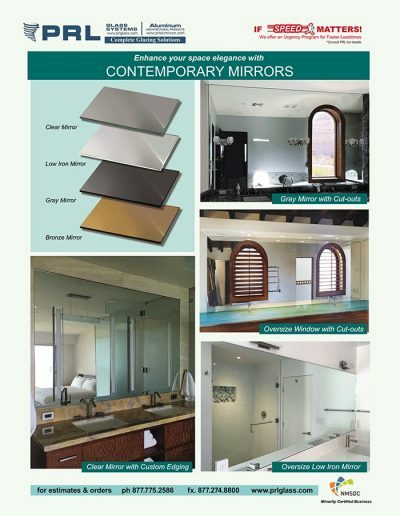 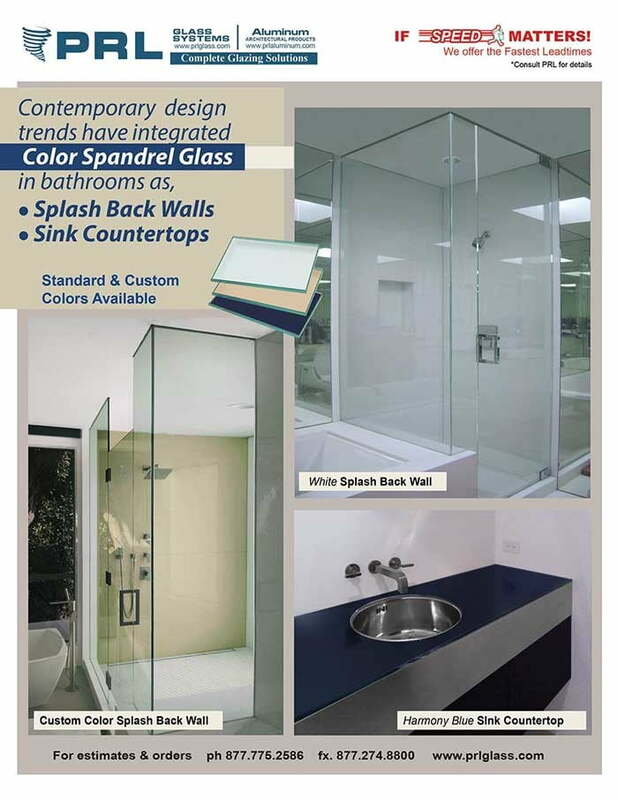 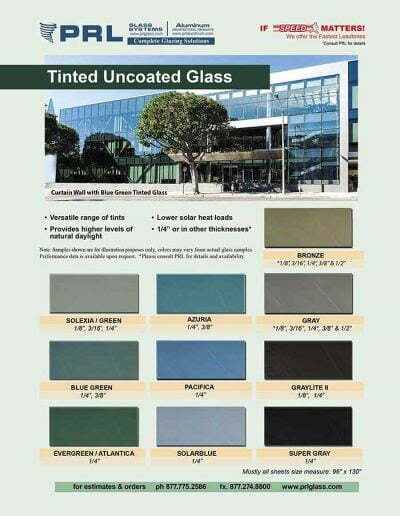 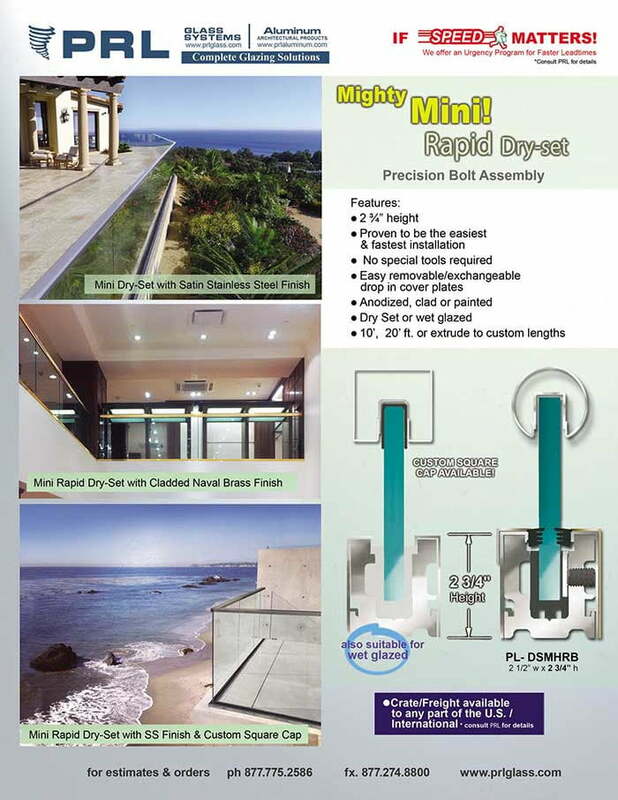 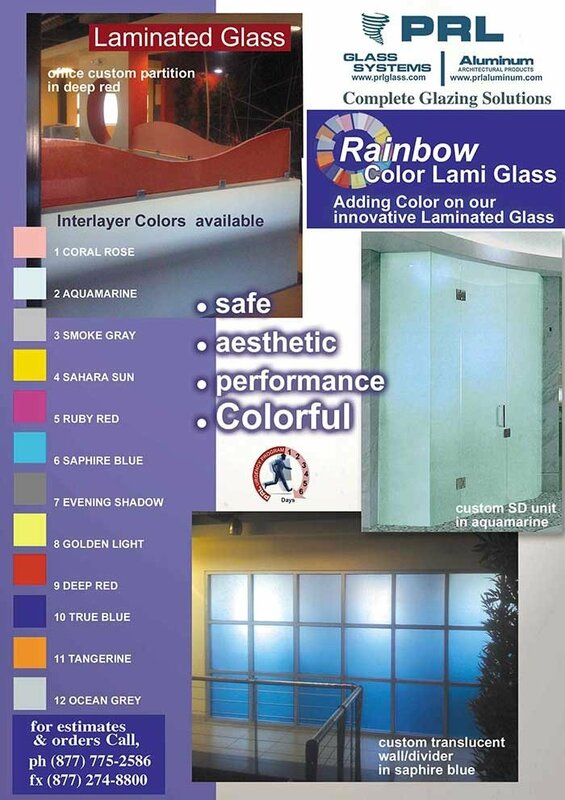 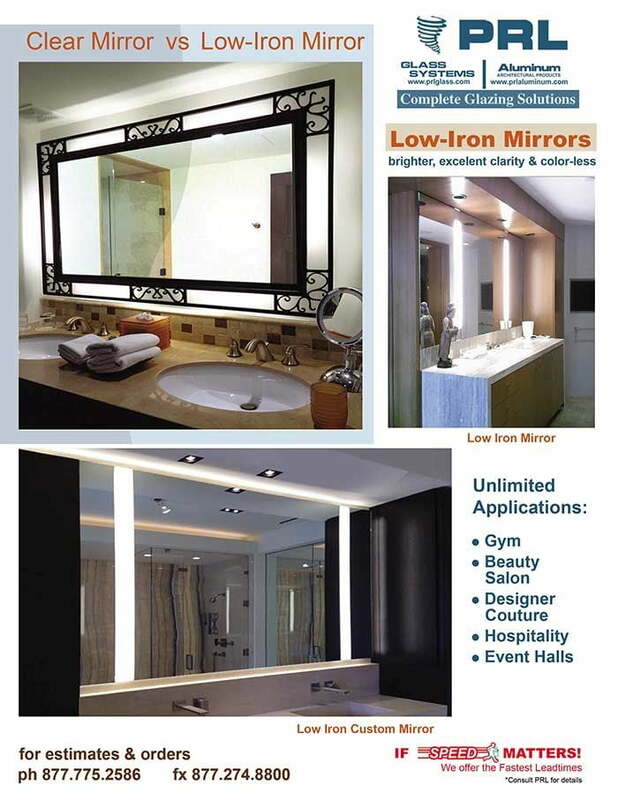 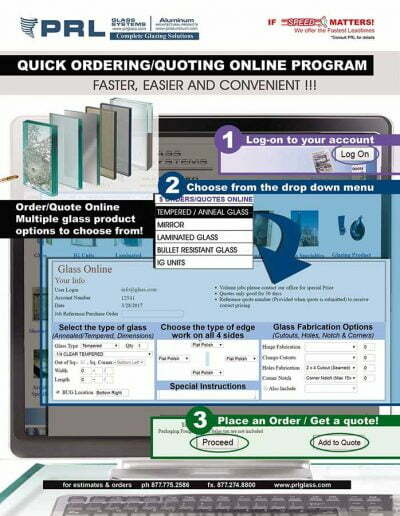 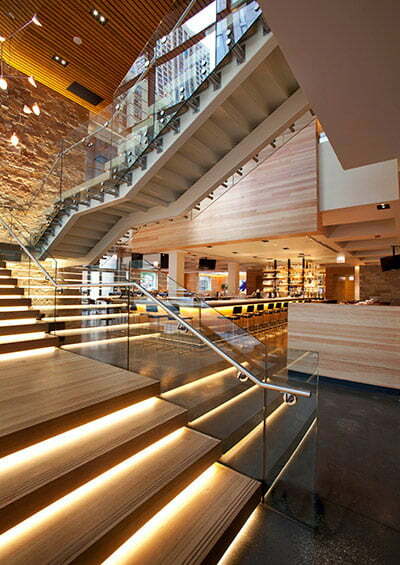 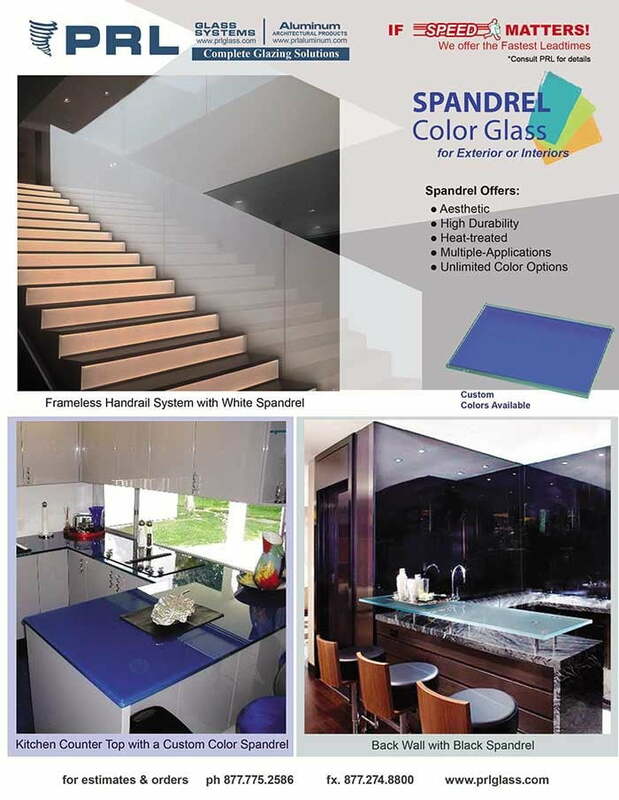 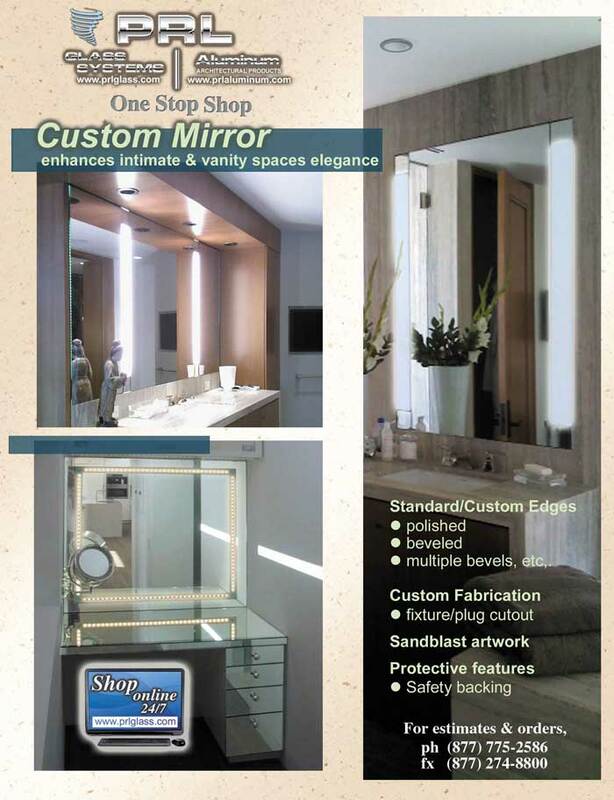 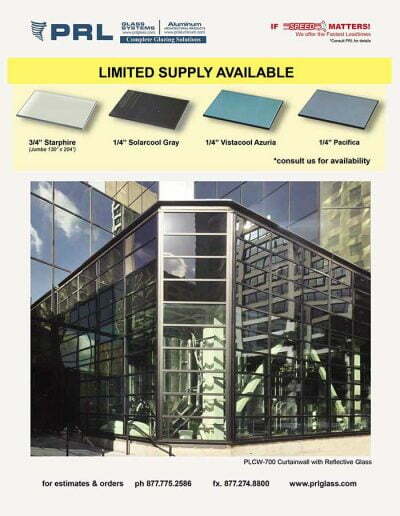 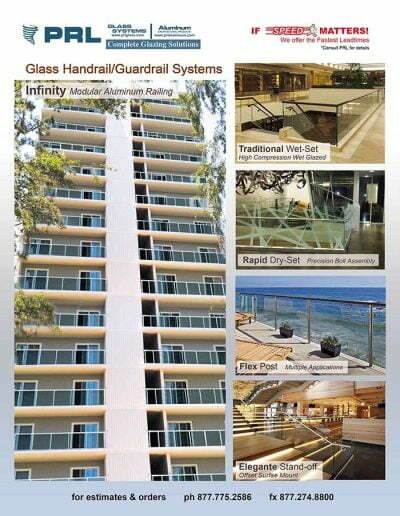 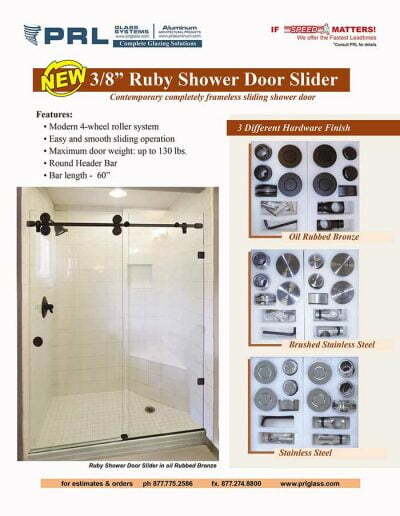 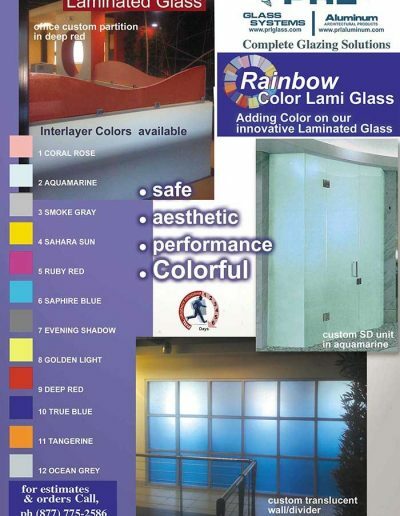 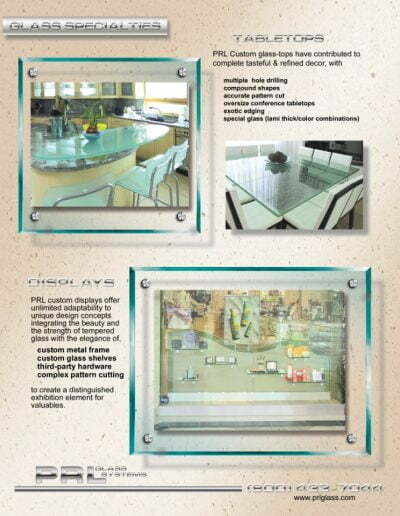 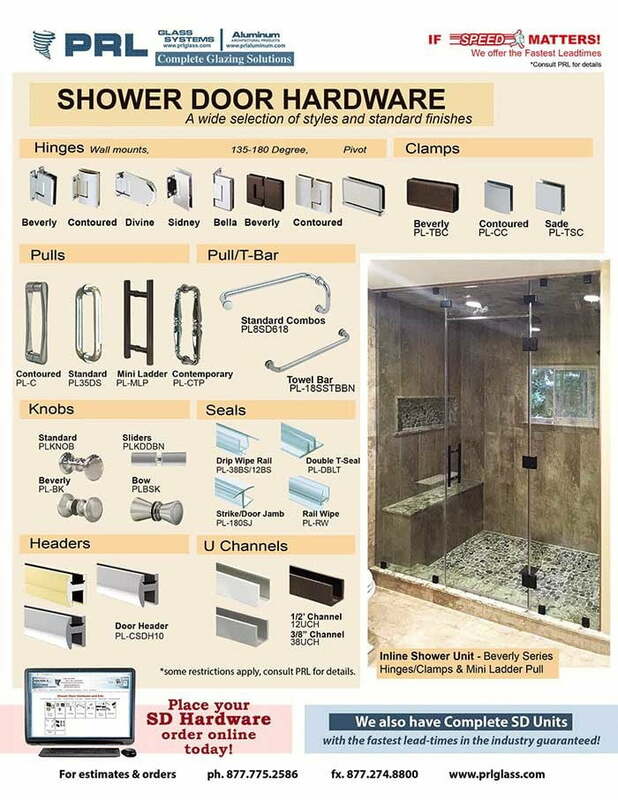 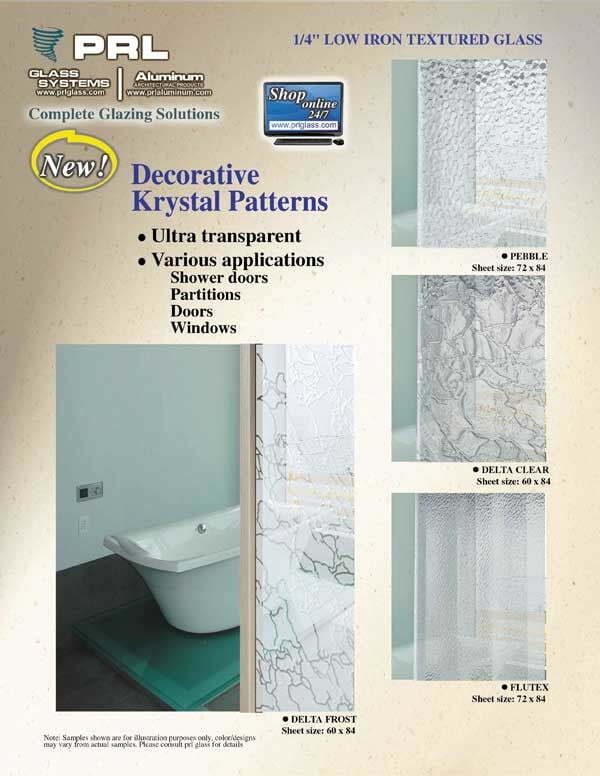 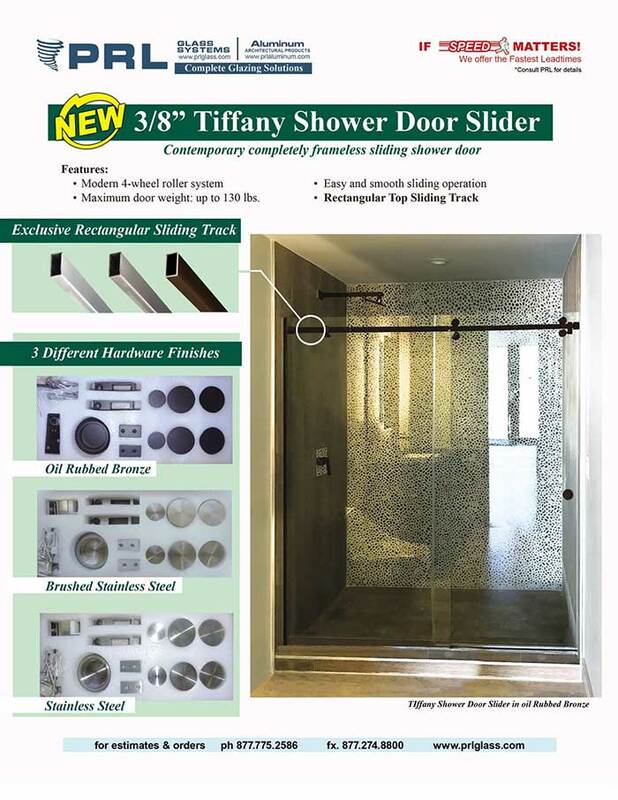 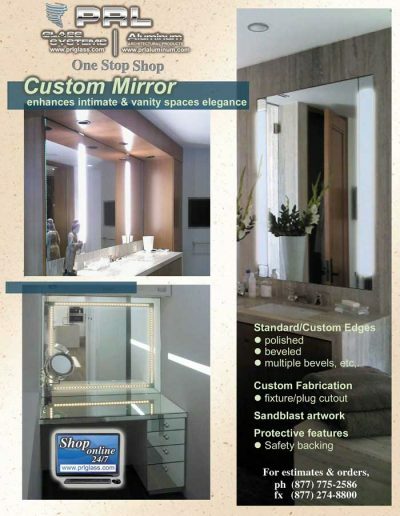 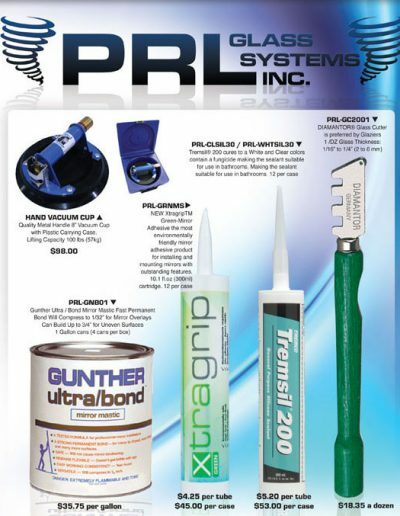 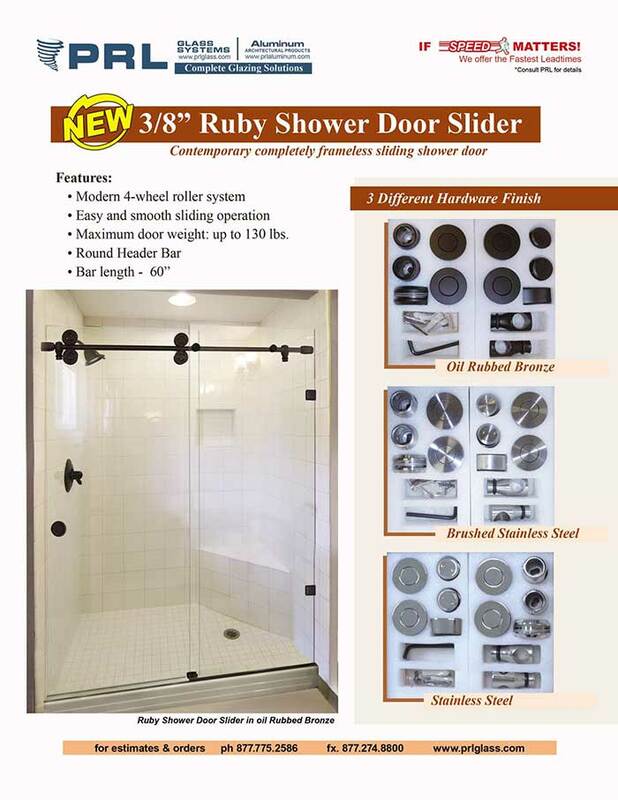 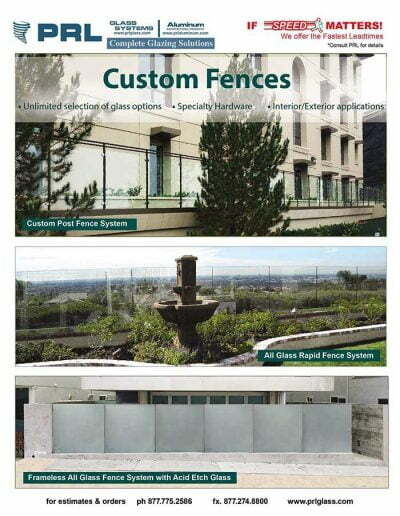 Available finishes are bronze and clear anodized, power coat and kynar paint.